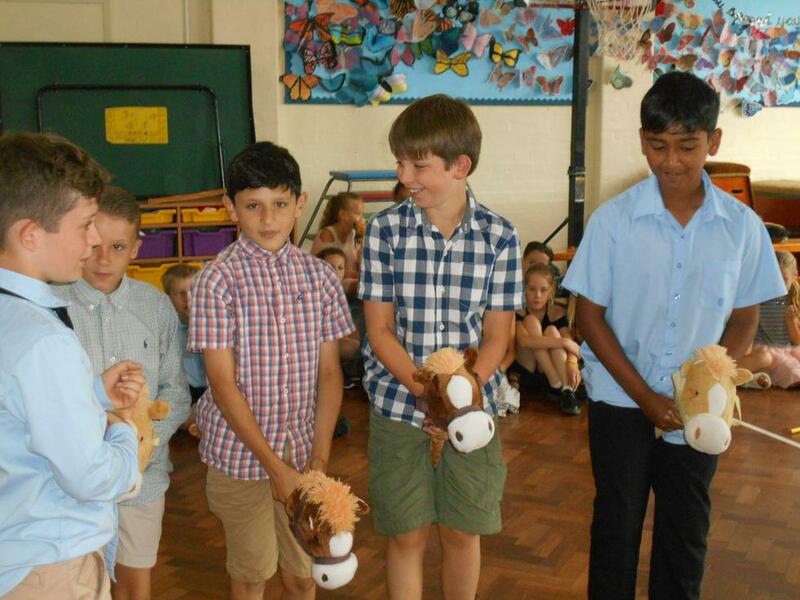 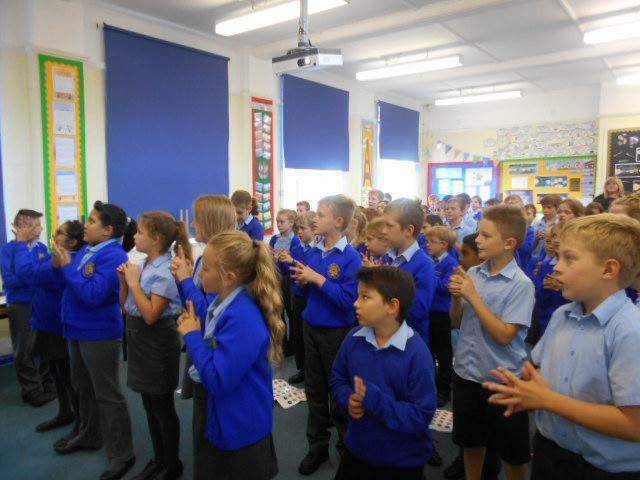 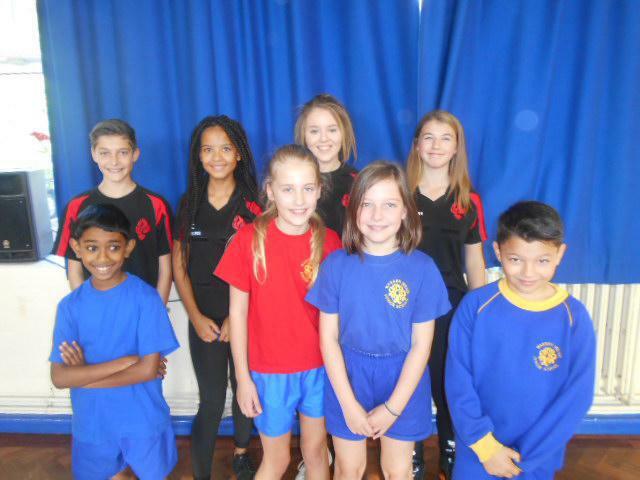 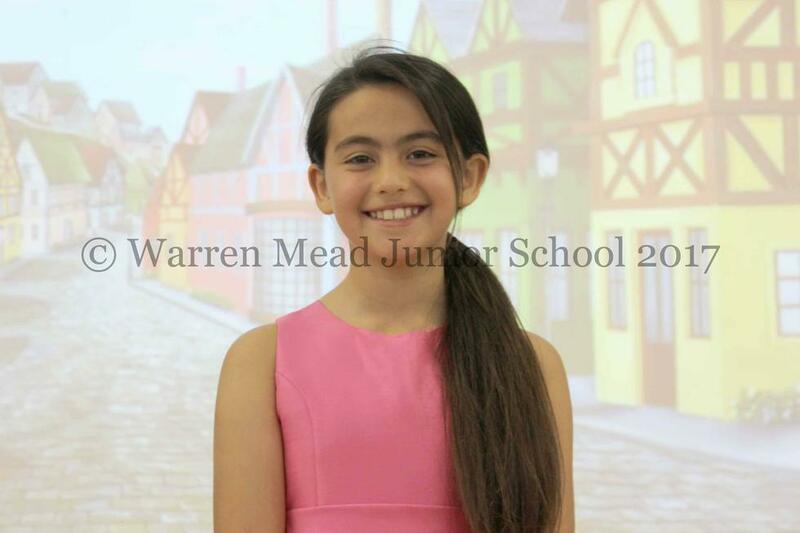 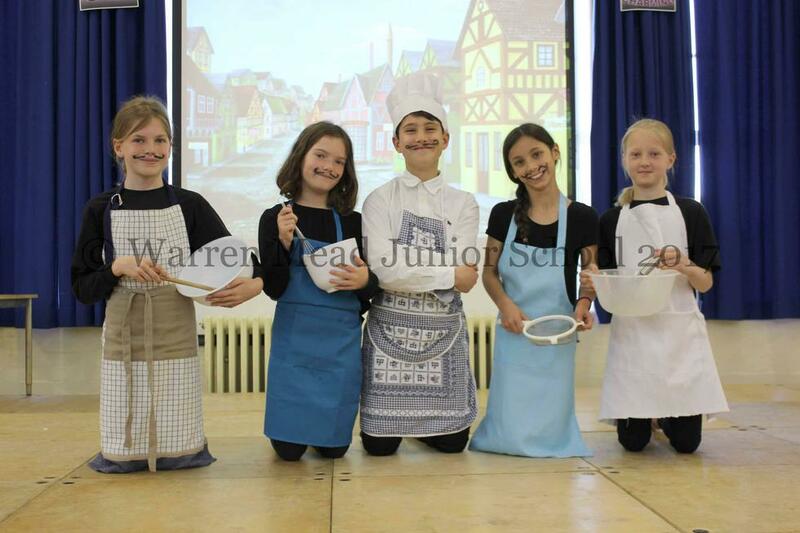 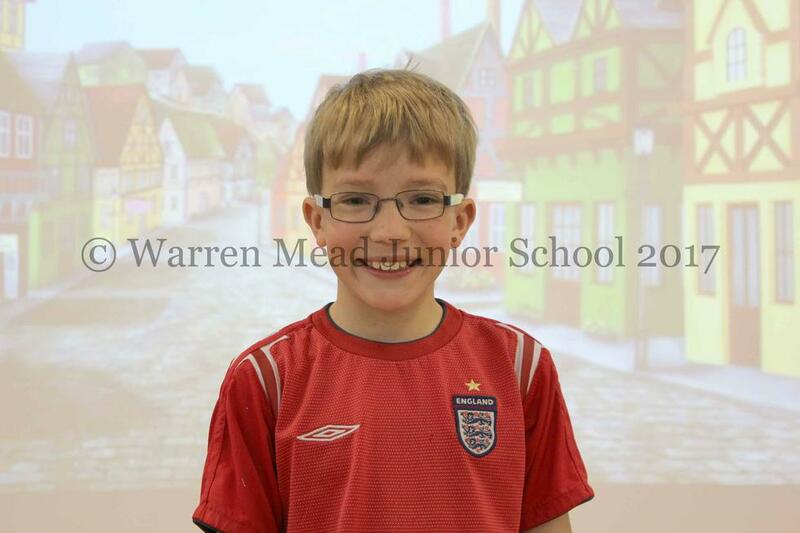 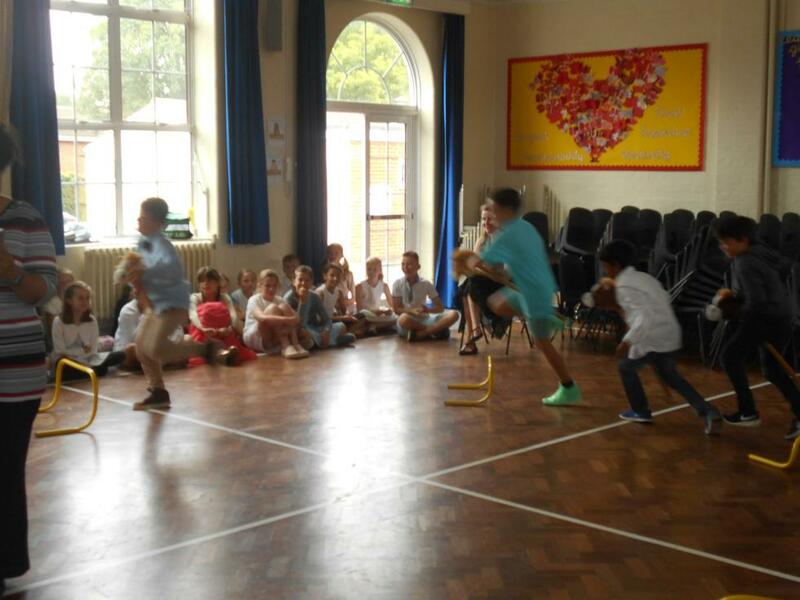 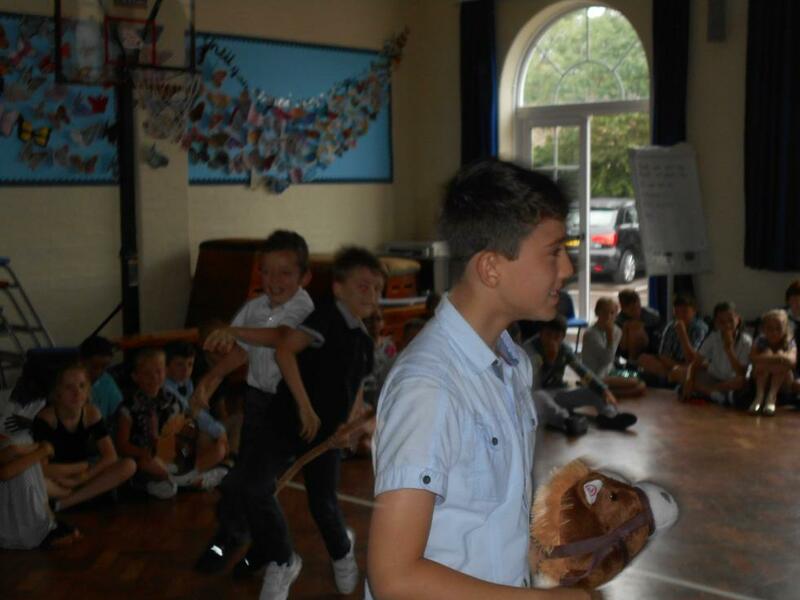 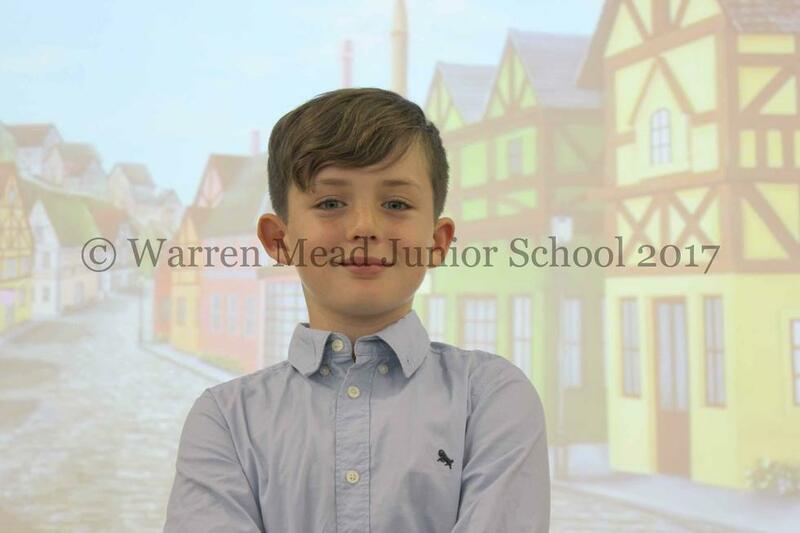 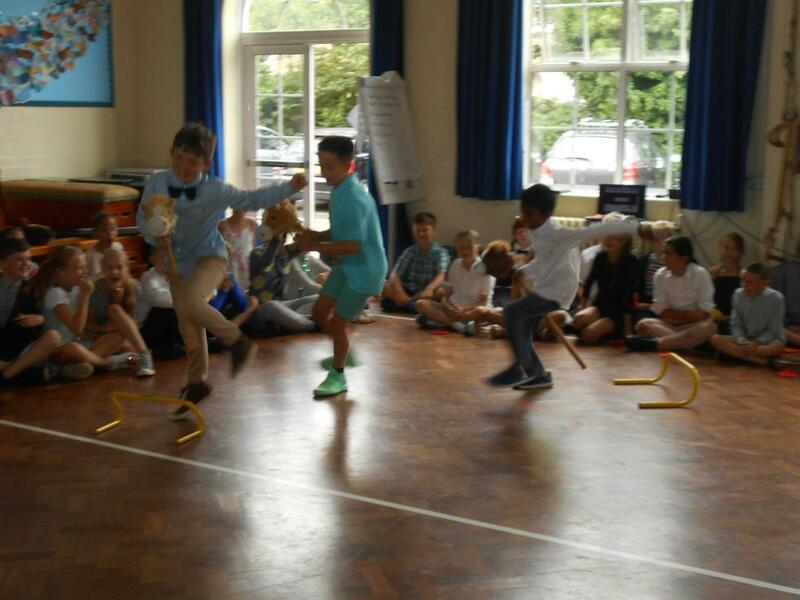 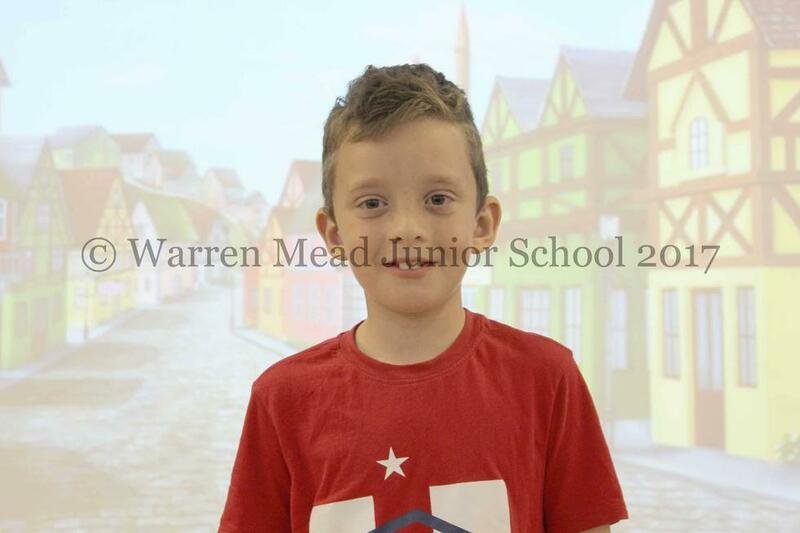 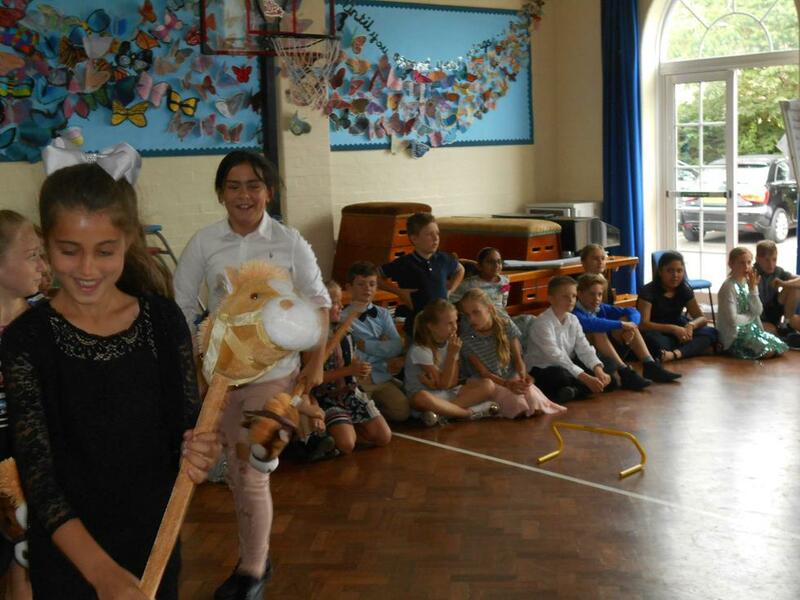 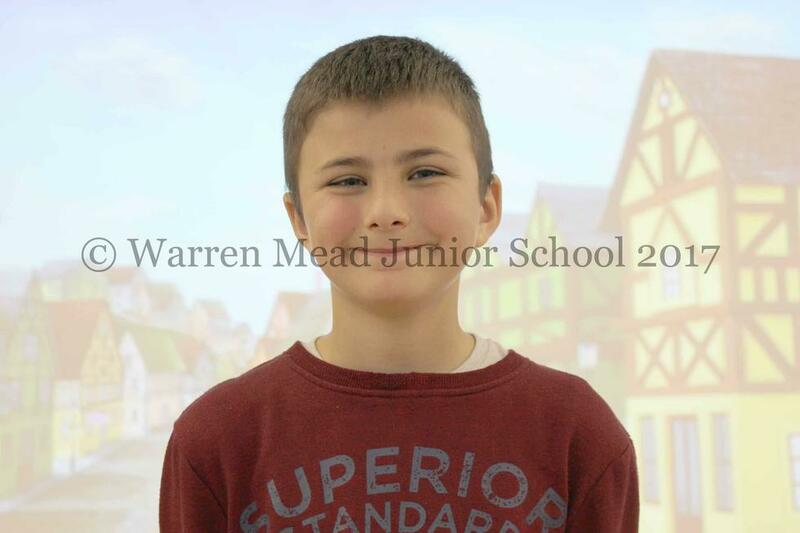 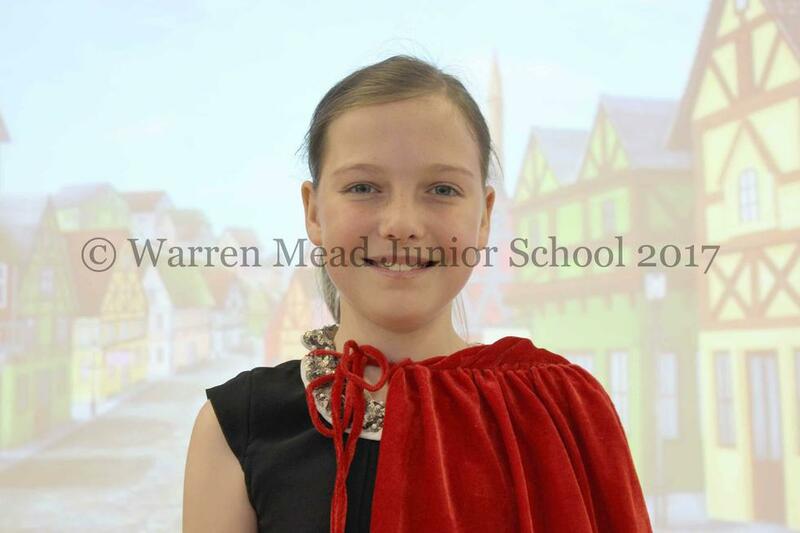 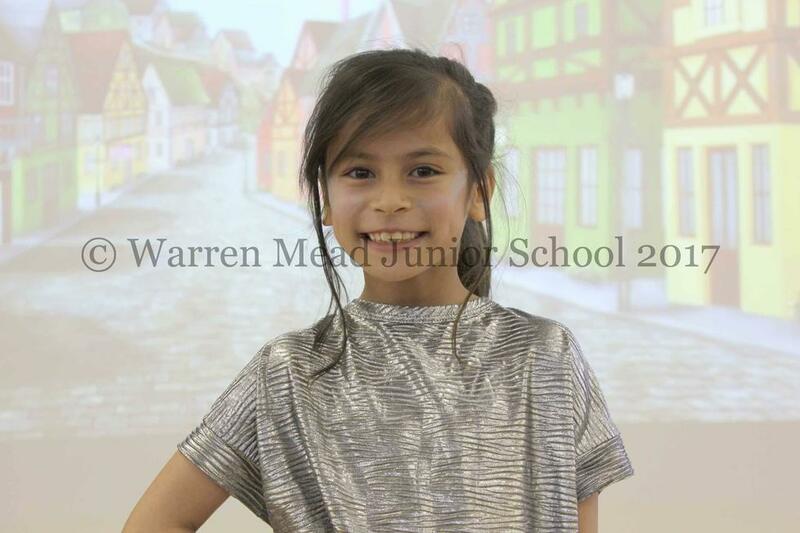 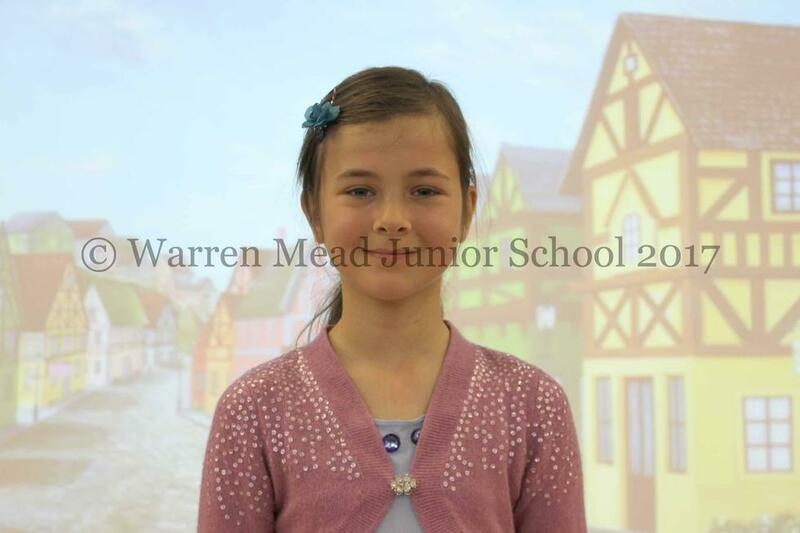 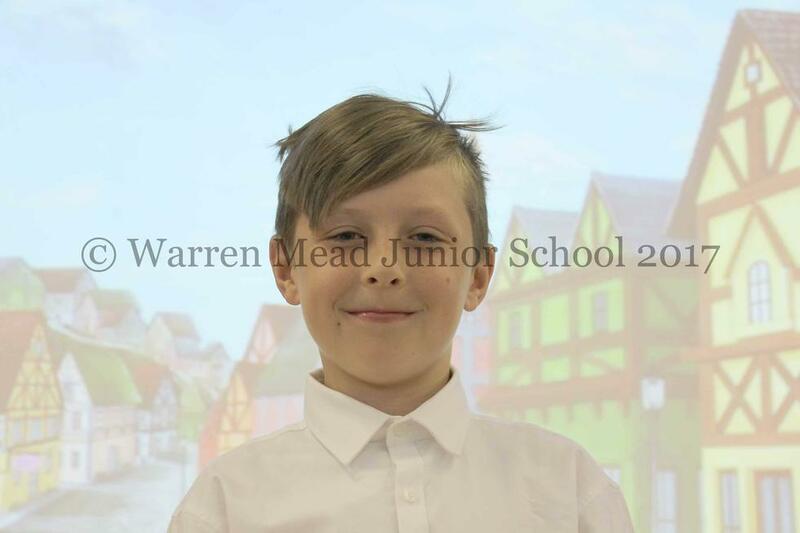 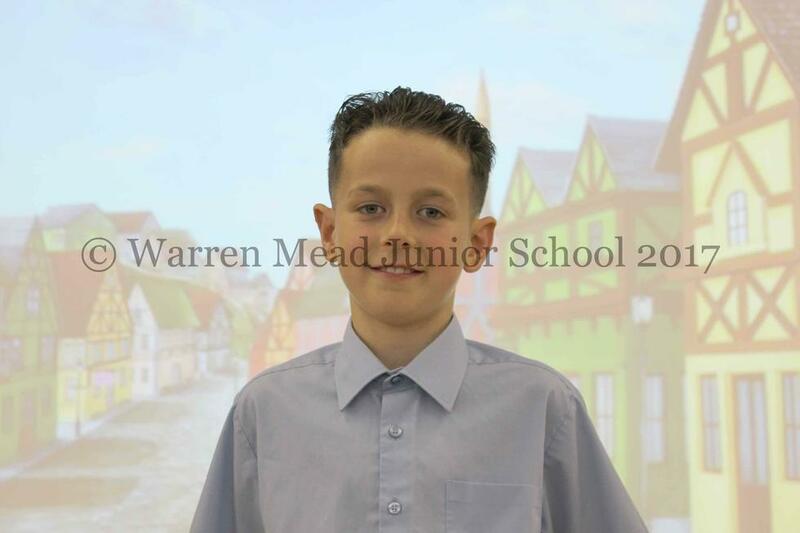 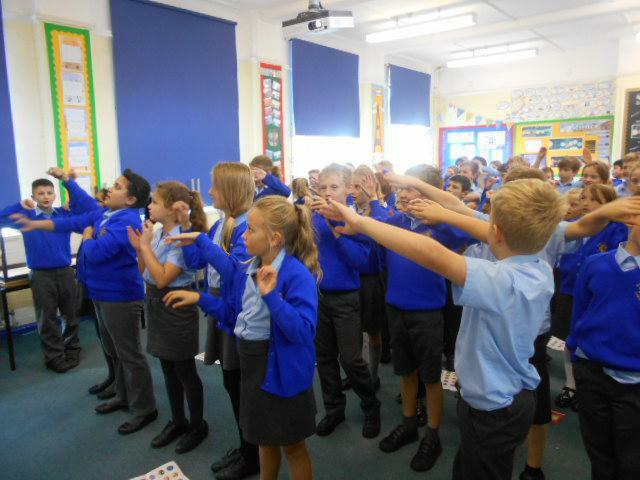 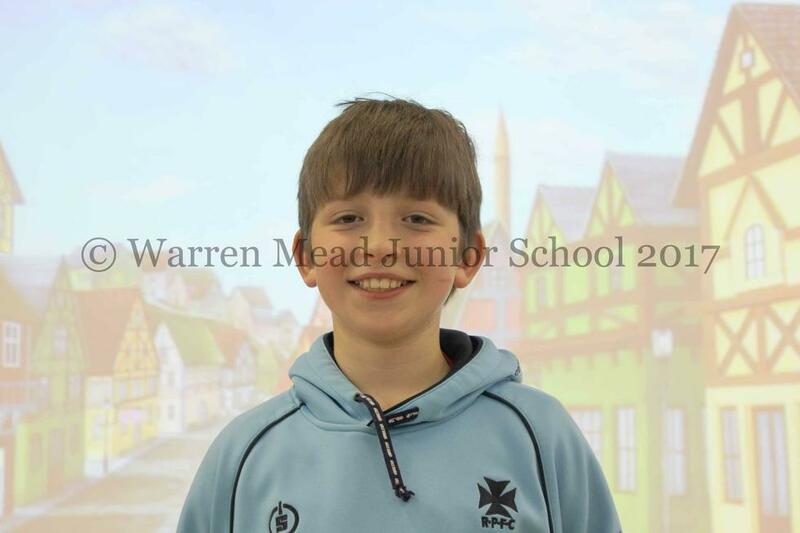 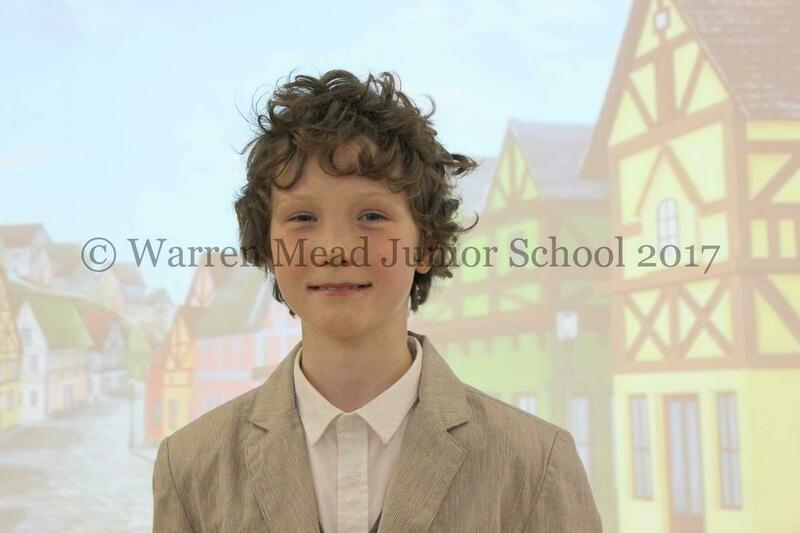 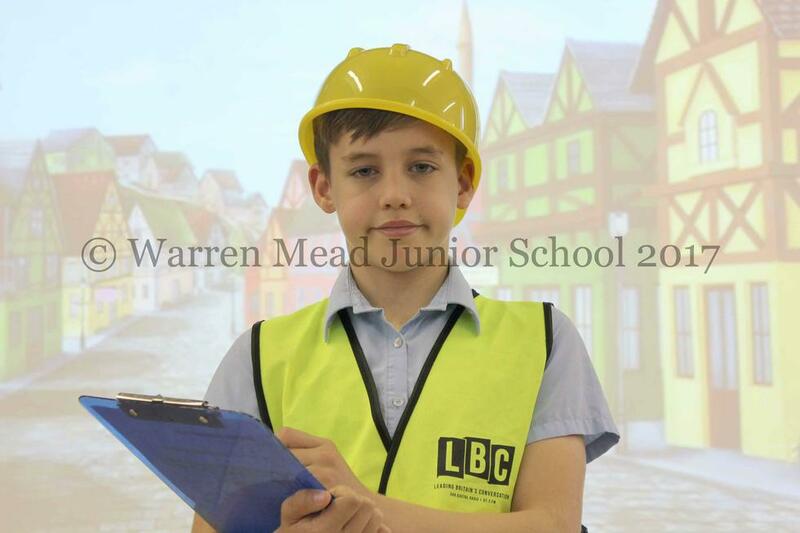 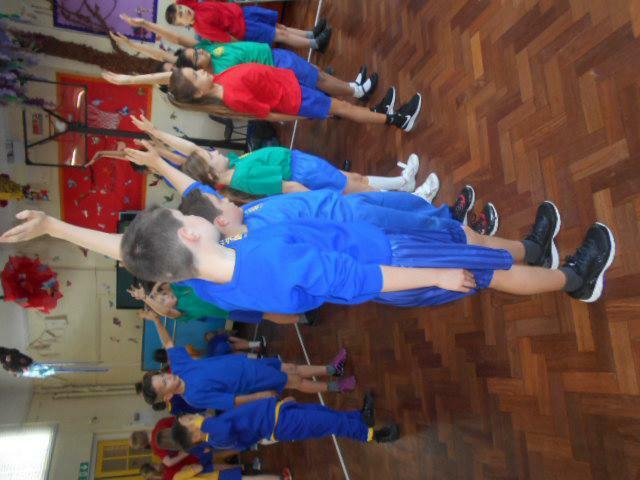 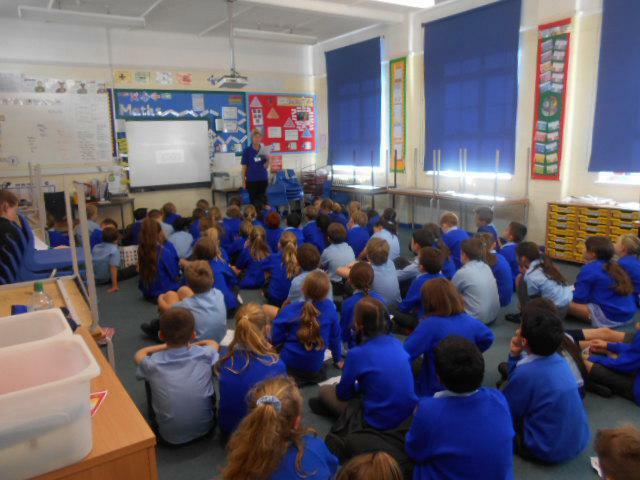 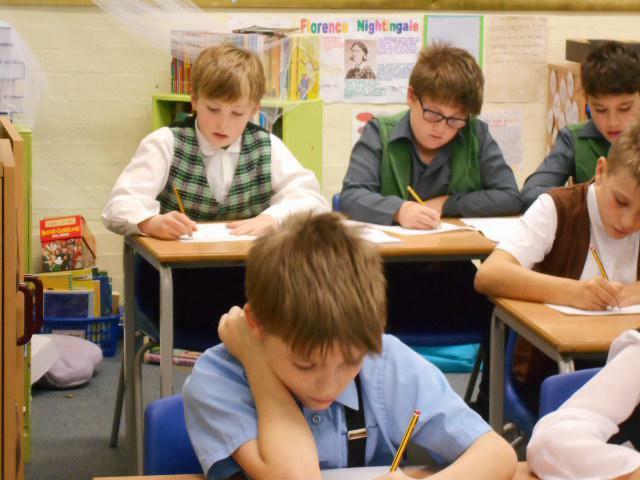 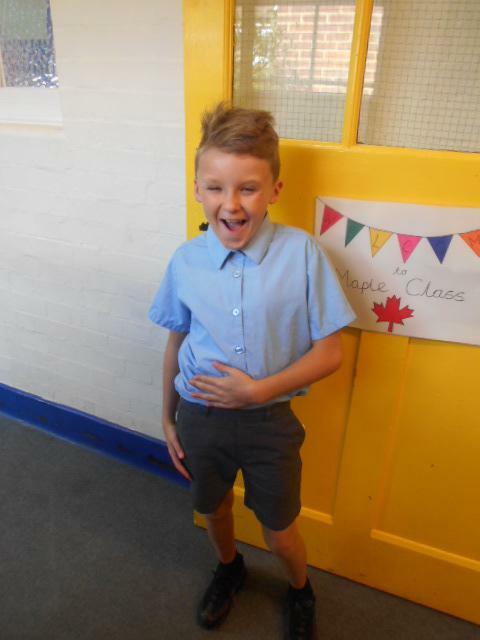 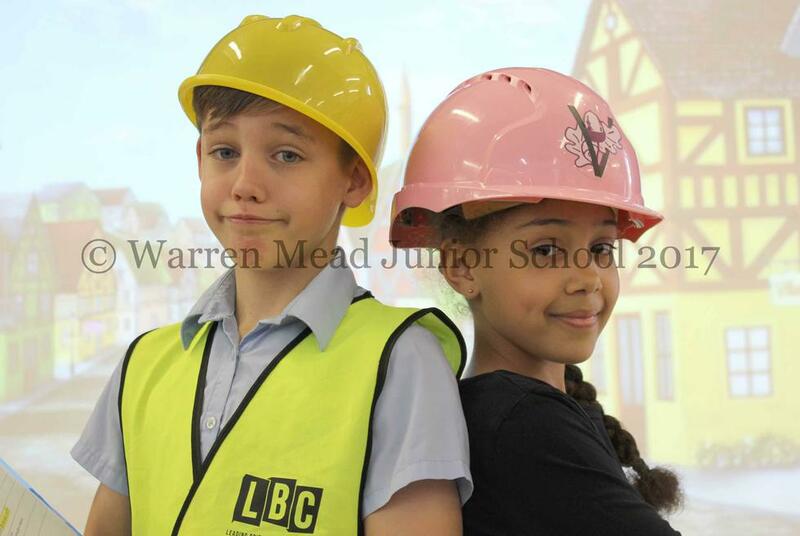 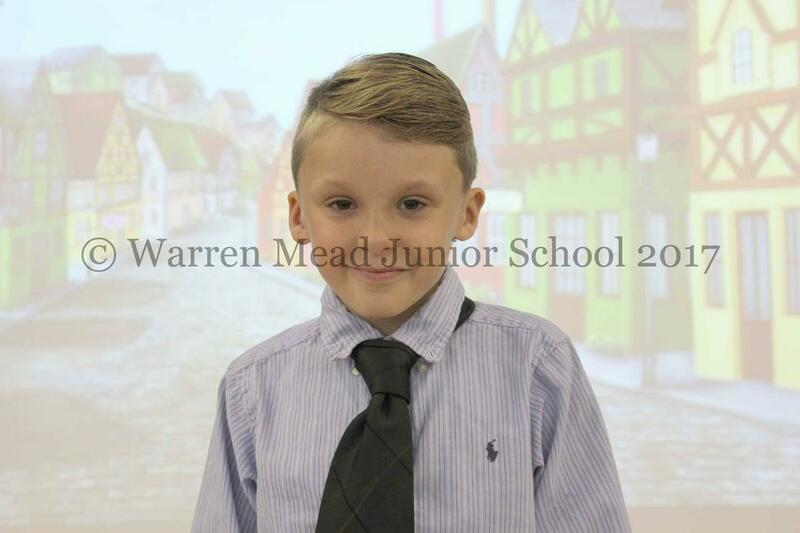 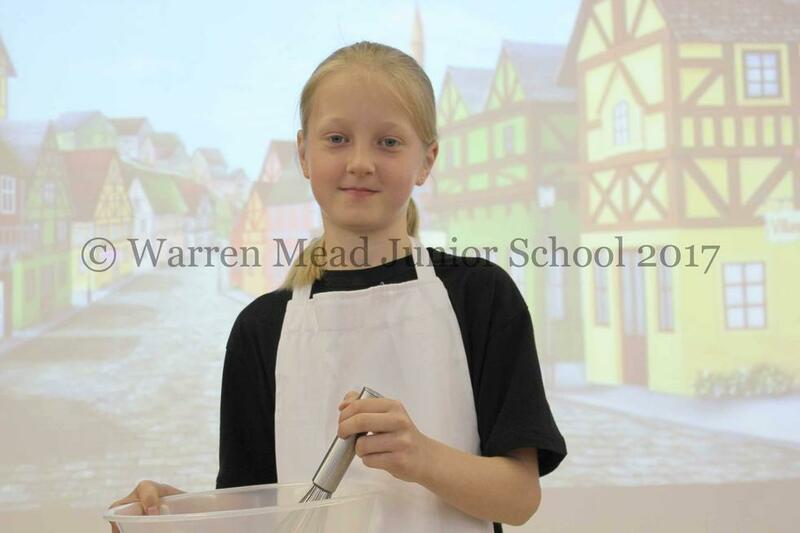 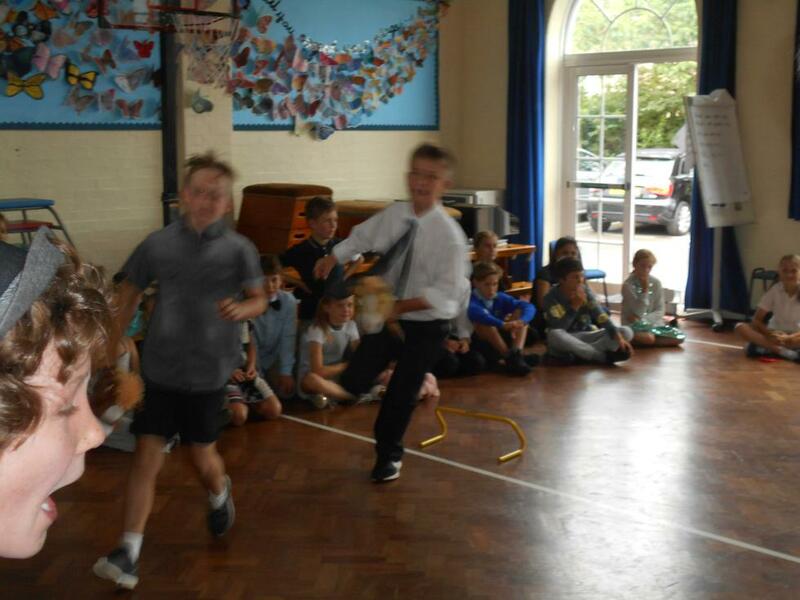 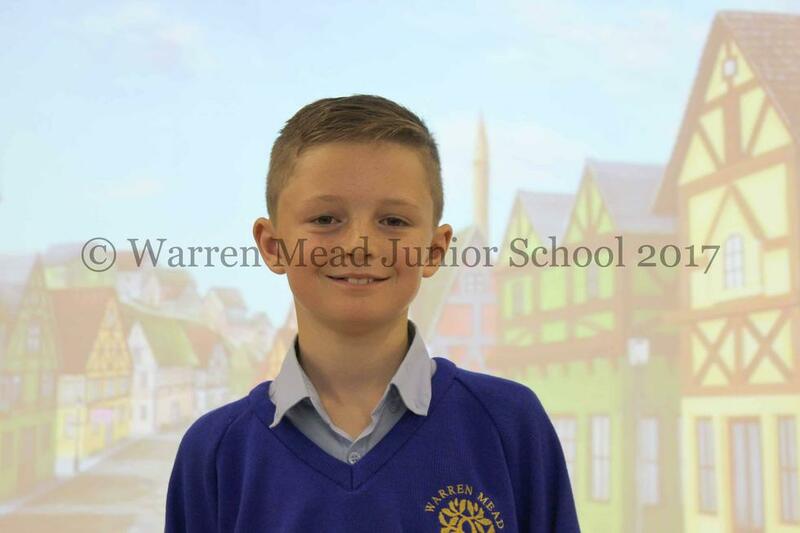 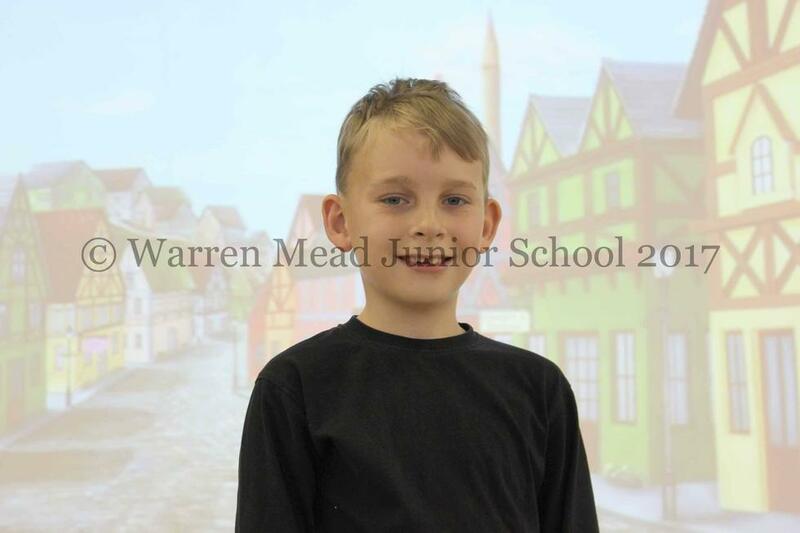 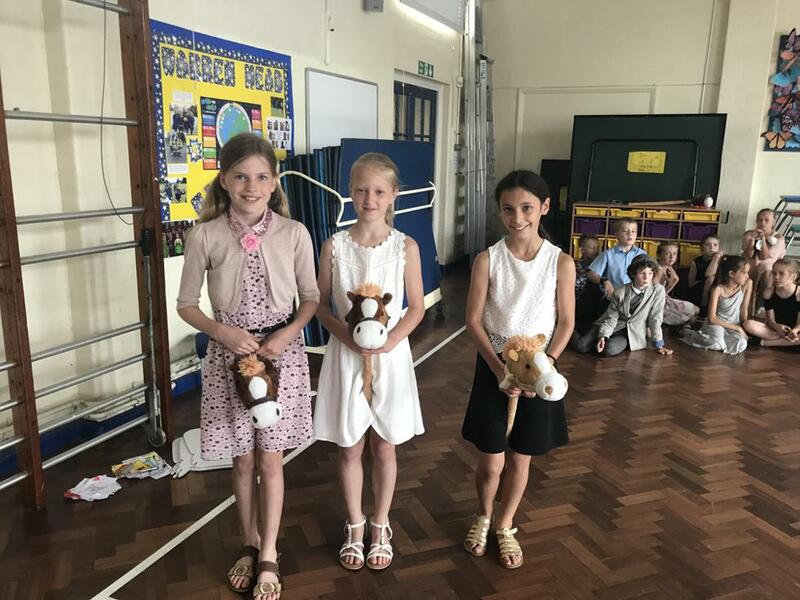 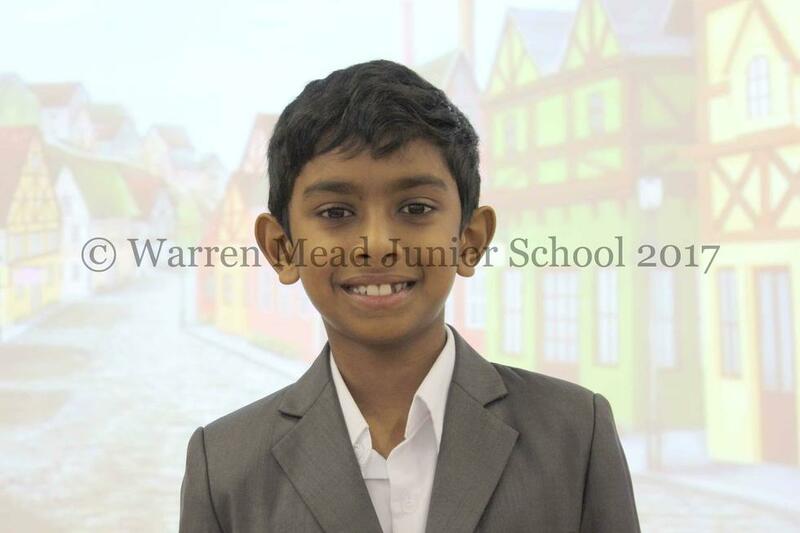 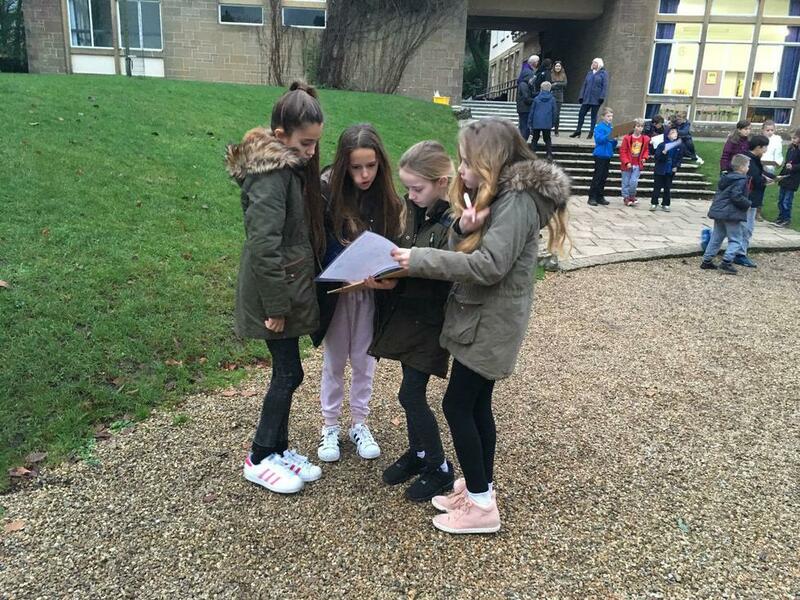 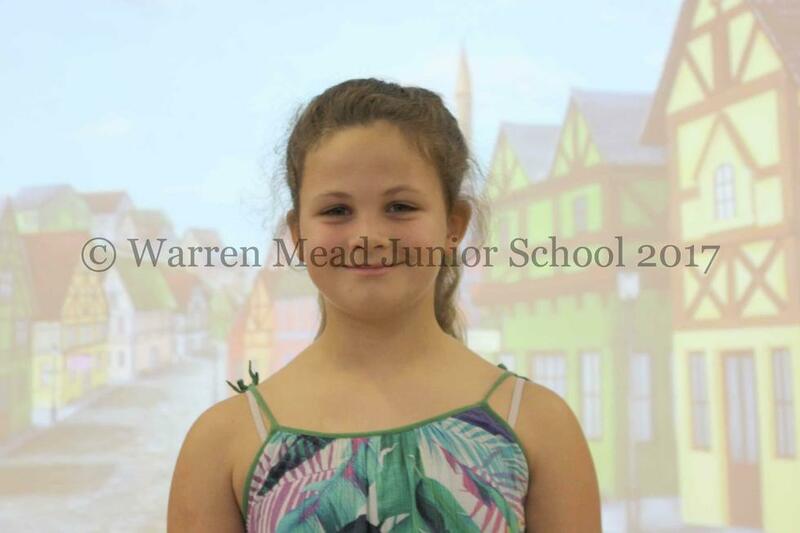 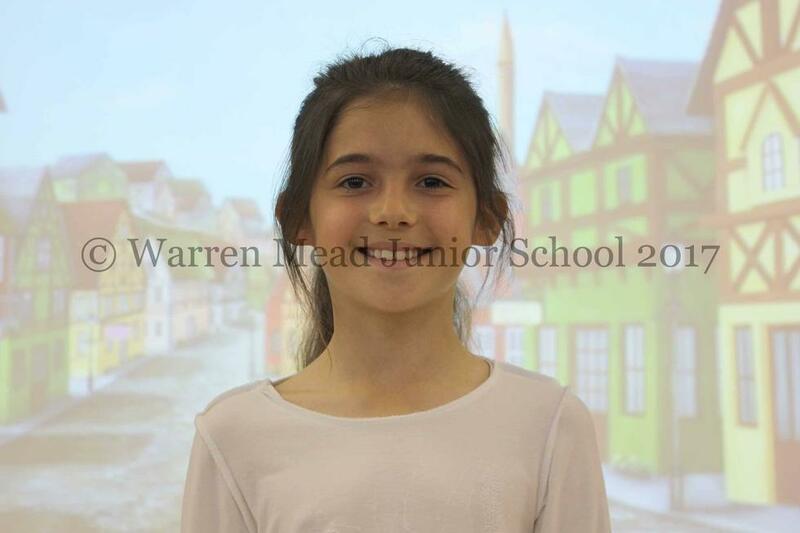 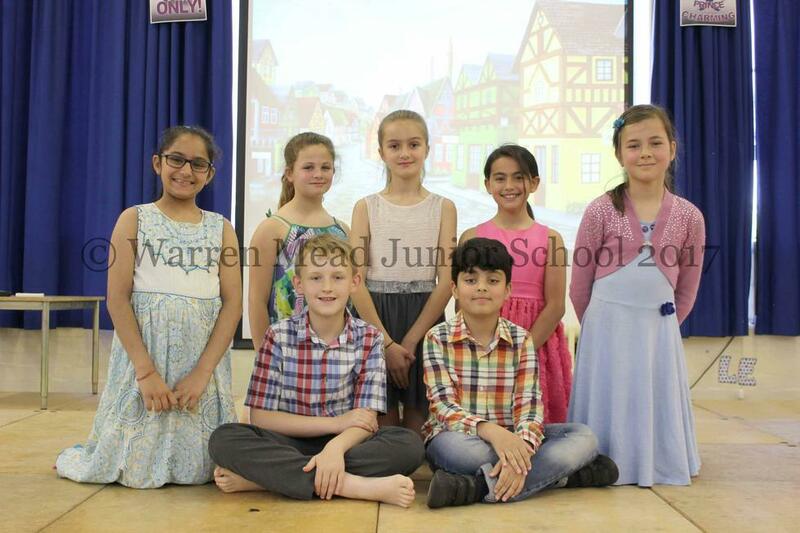 Watch this space for up to date news and information about all that is going on in Year 5! 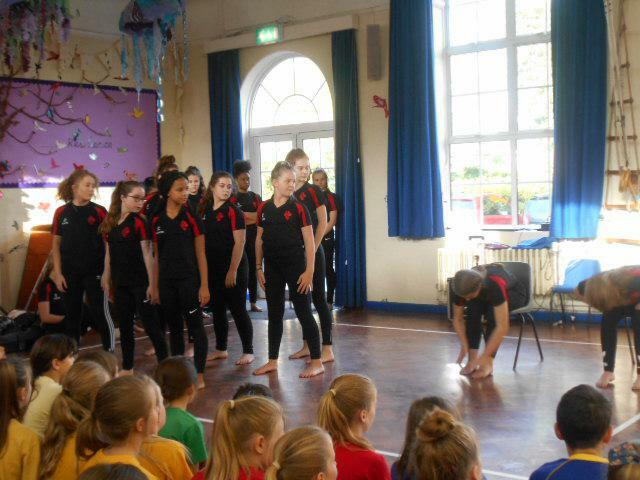 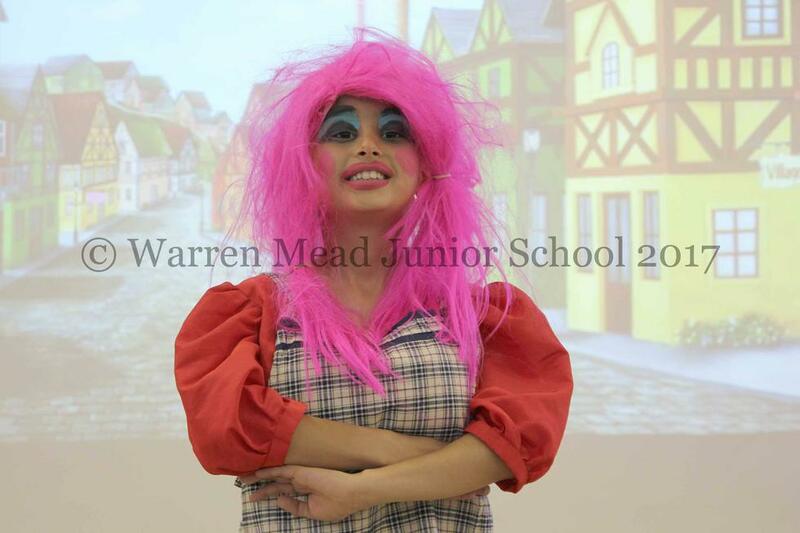 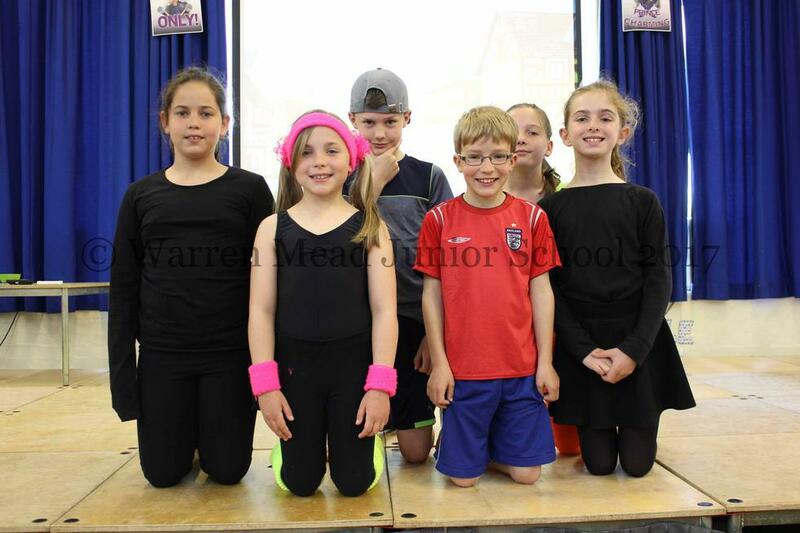 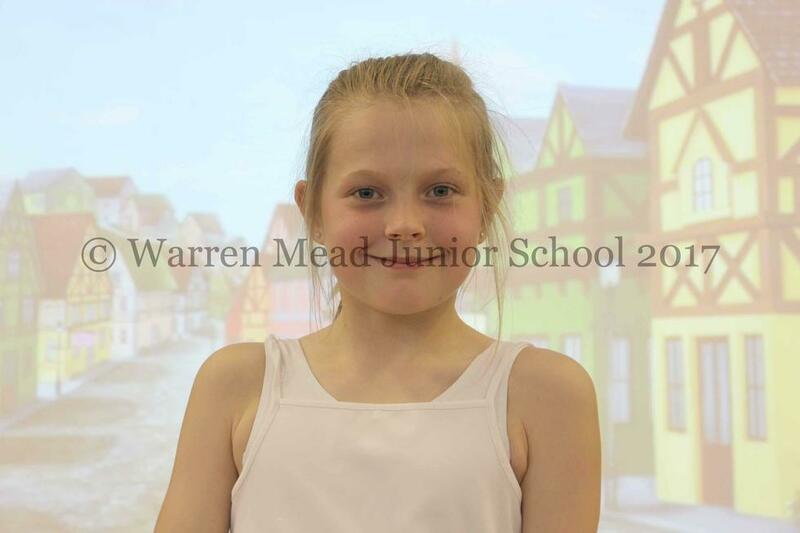 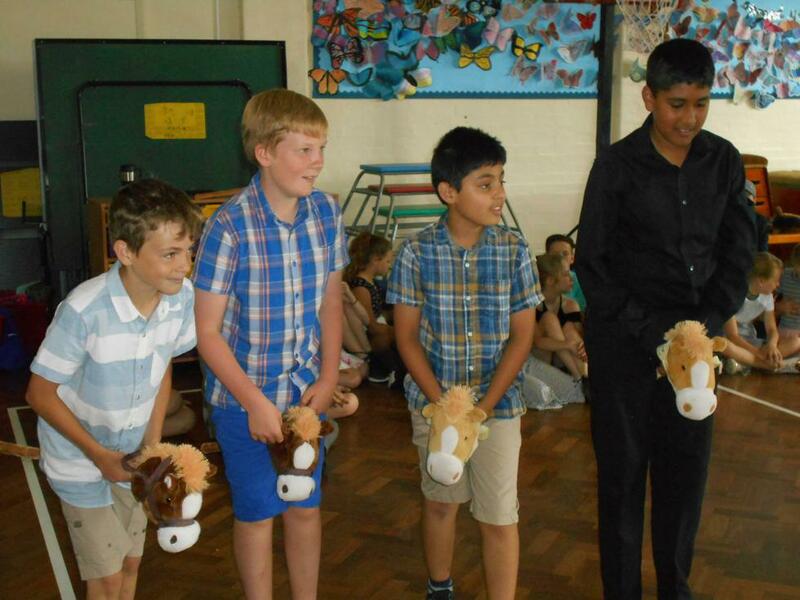 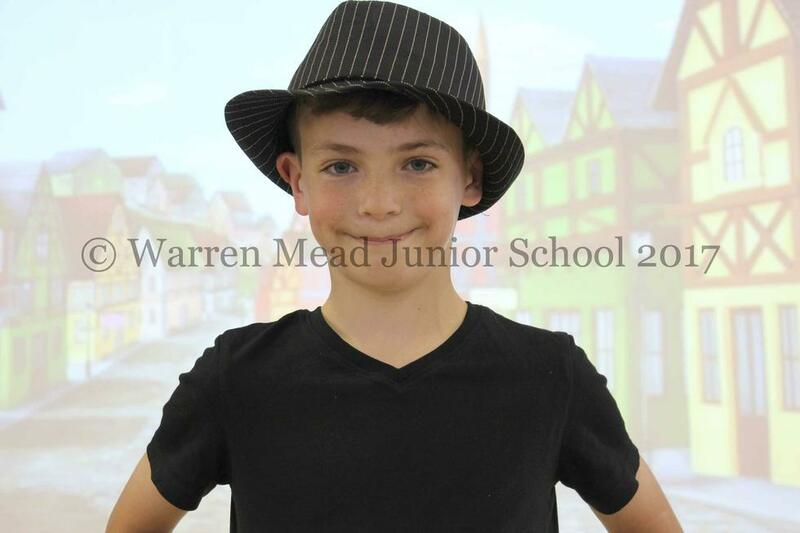 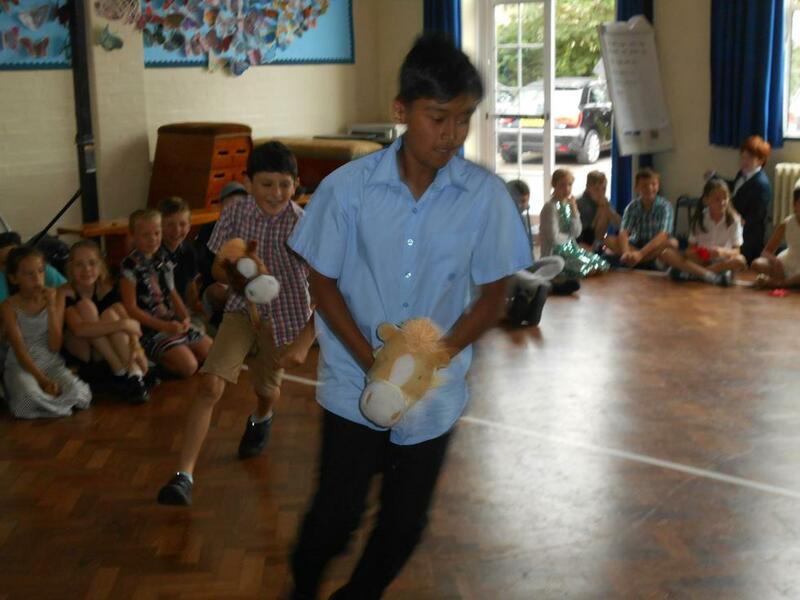 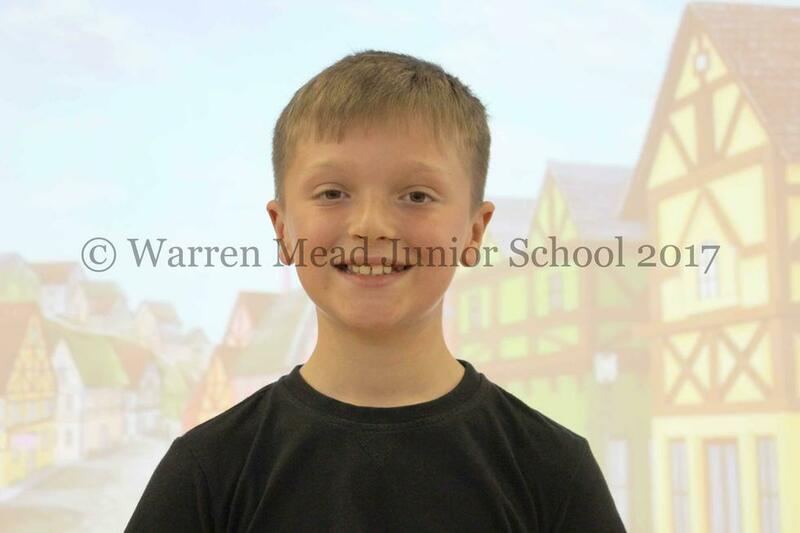 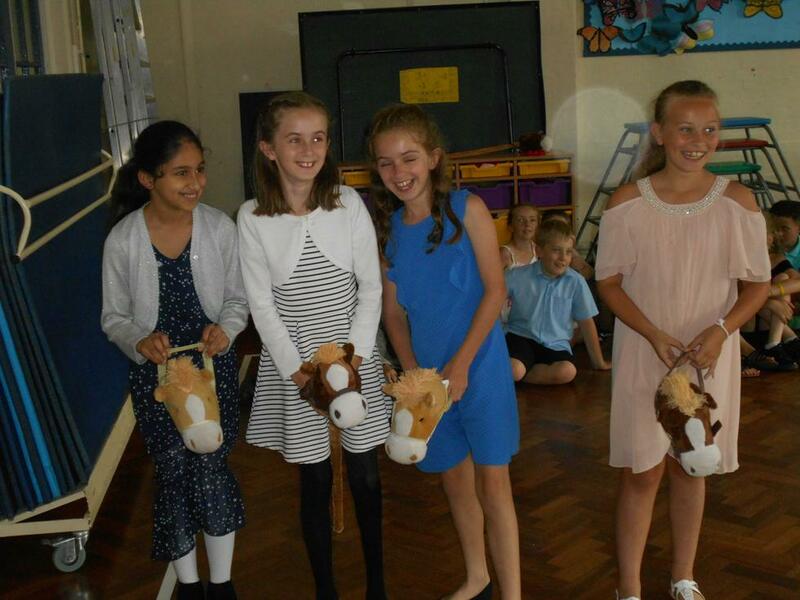 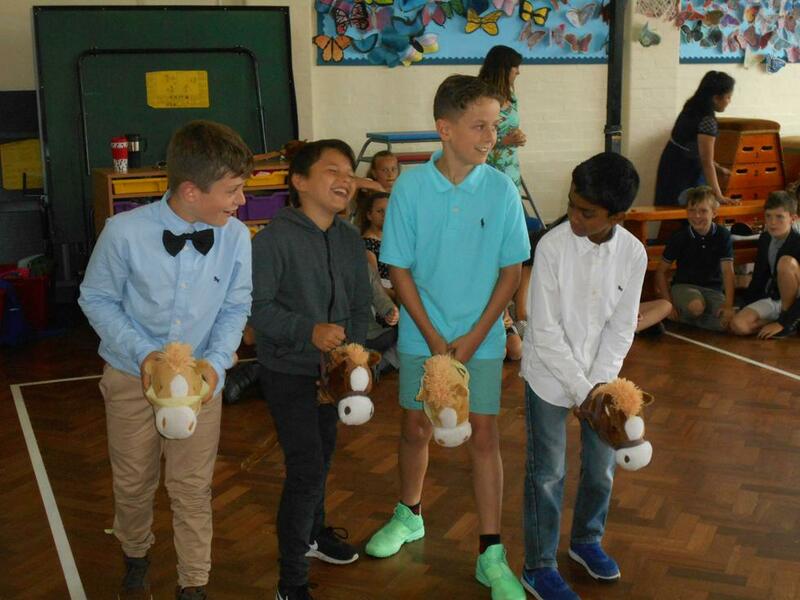 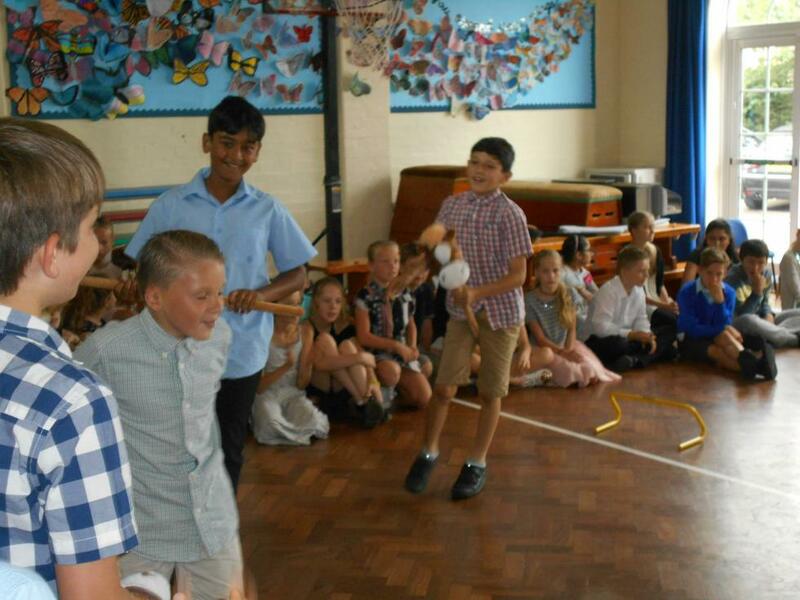 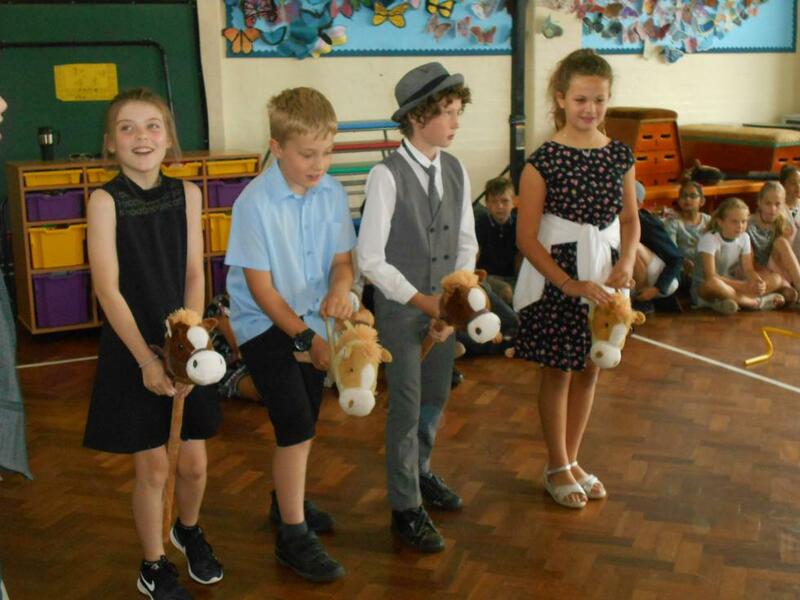 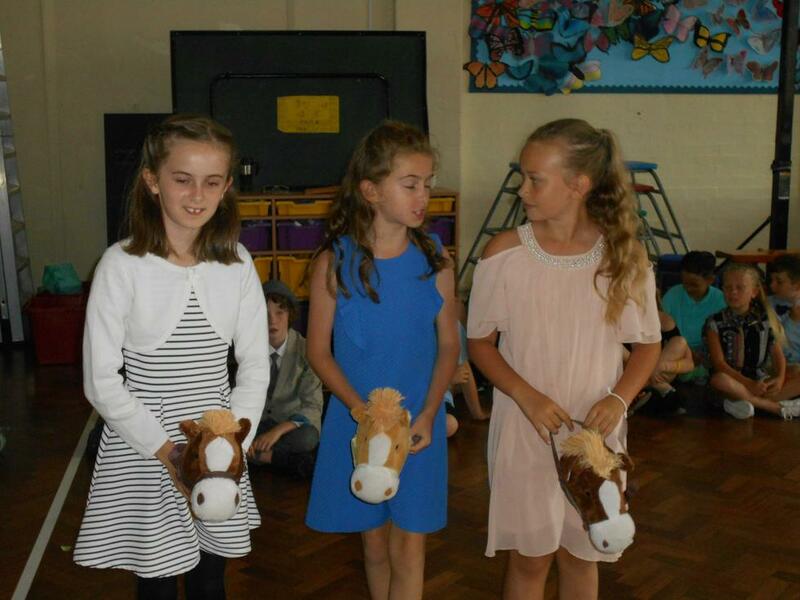 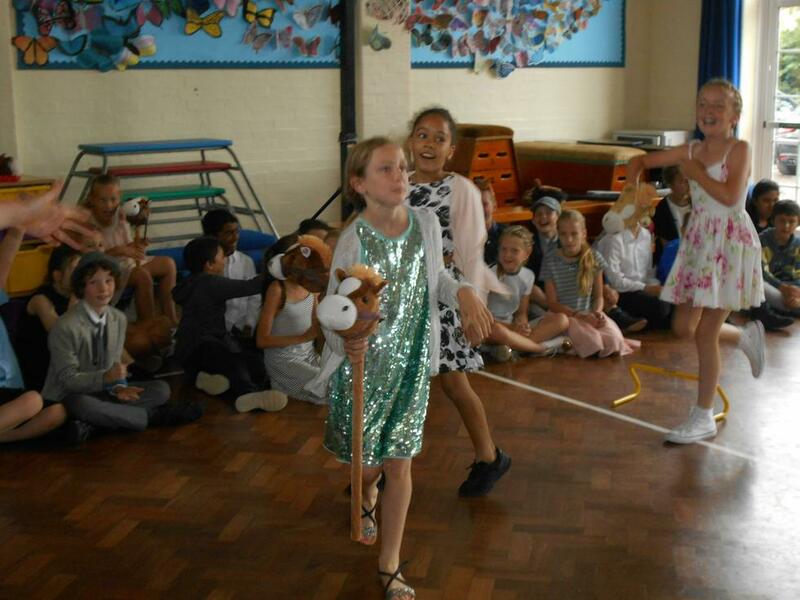 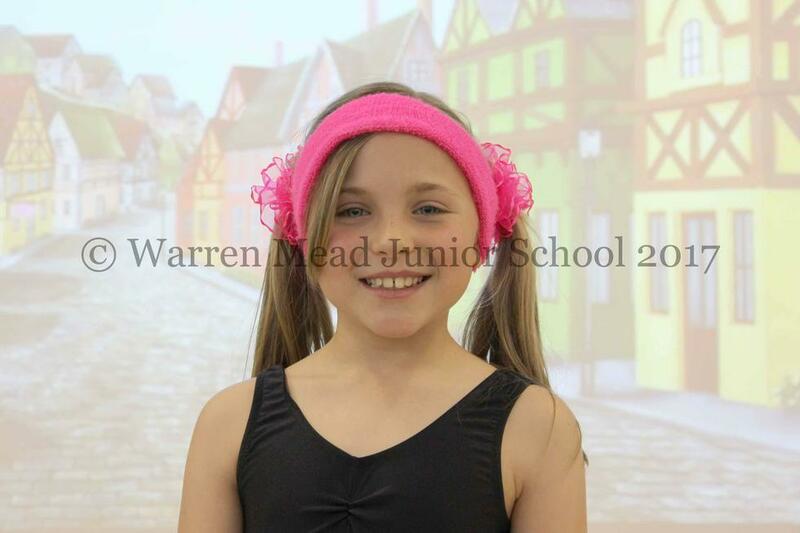 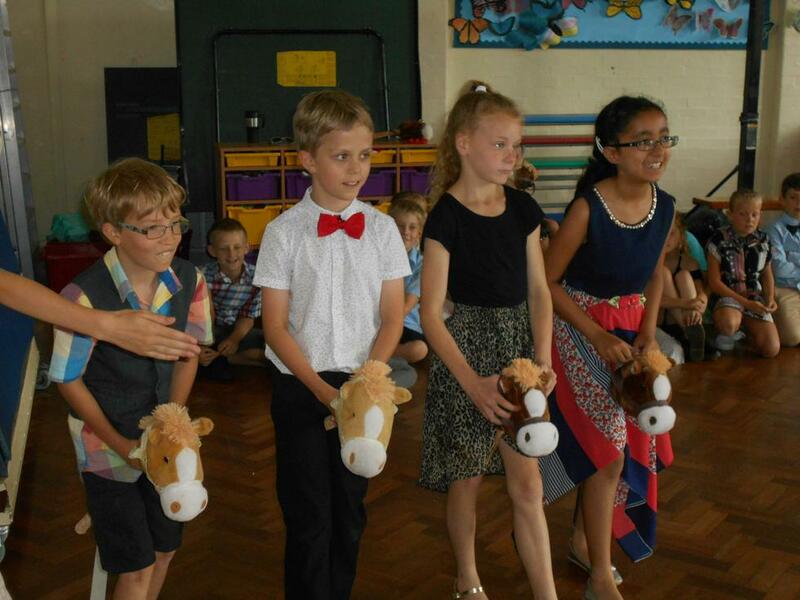 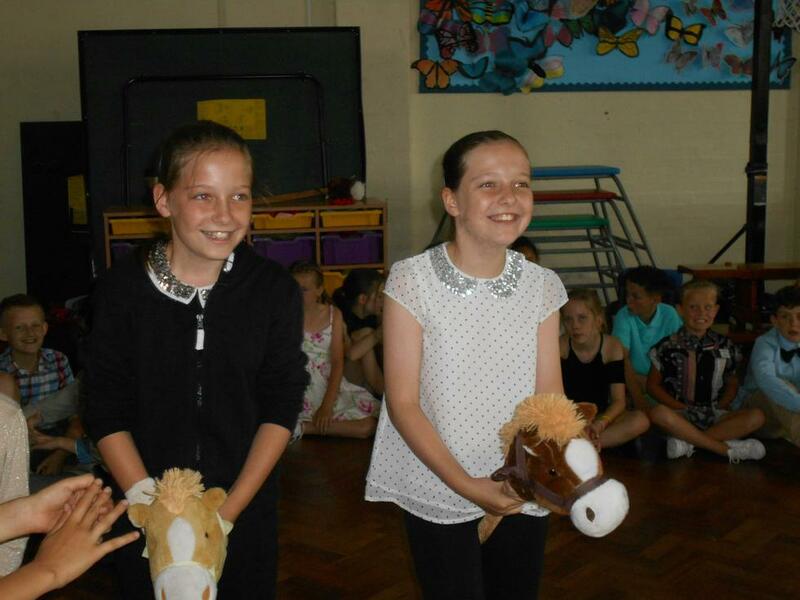 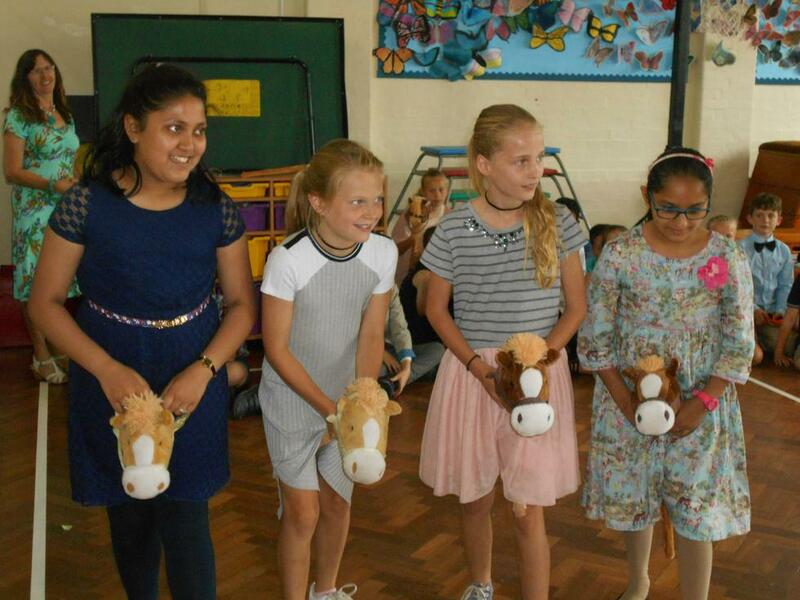 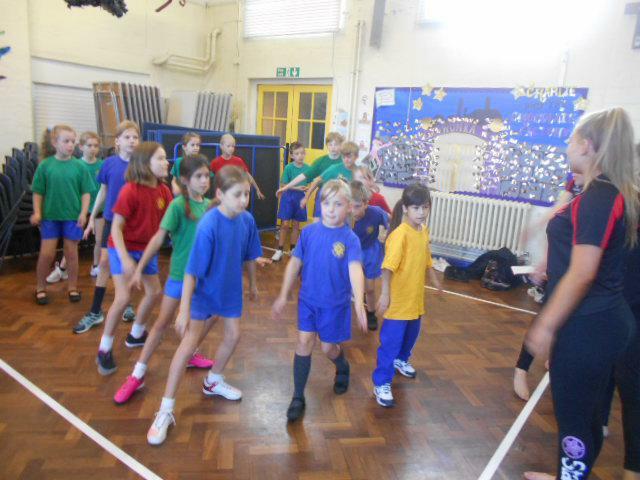 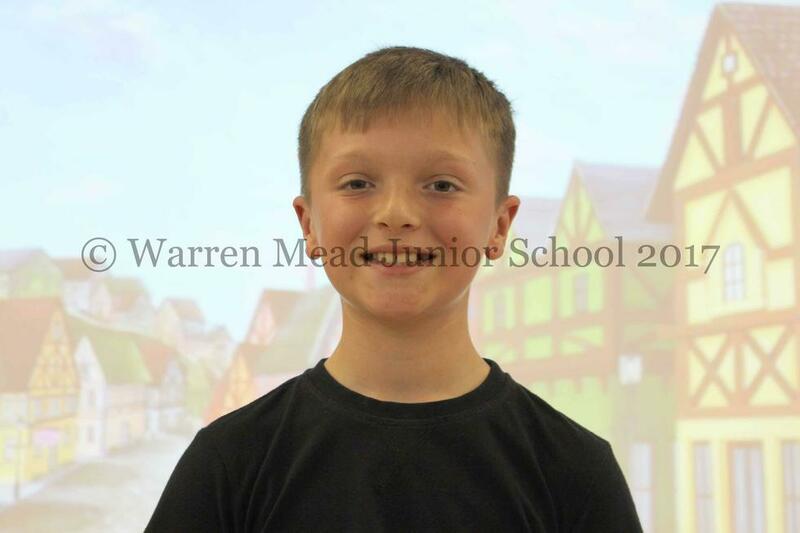 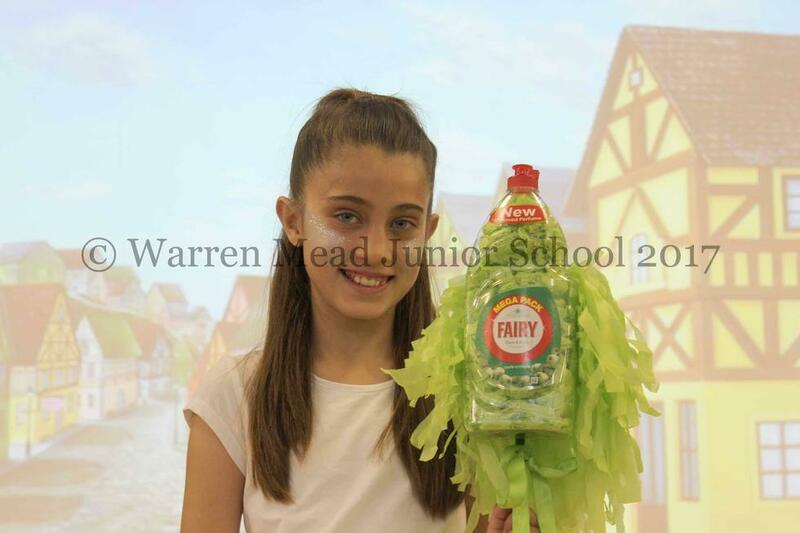 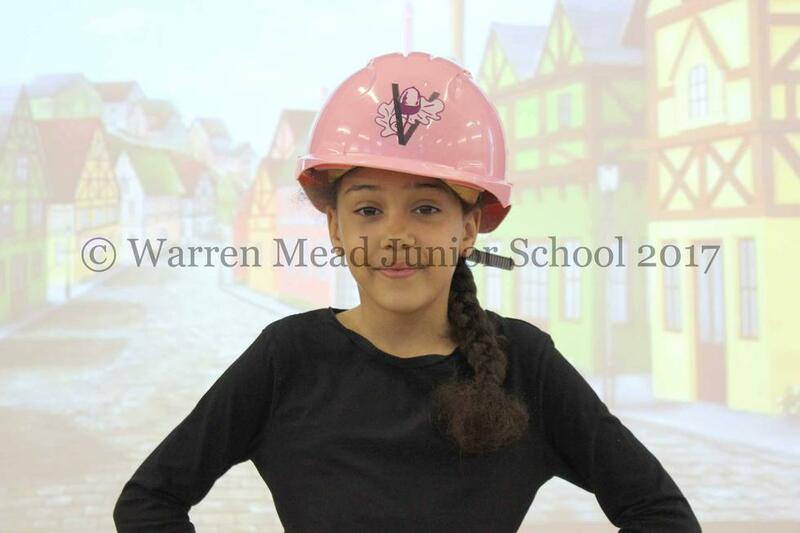 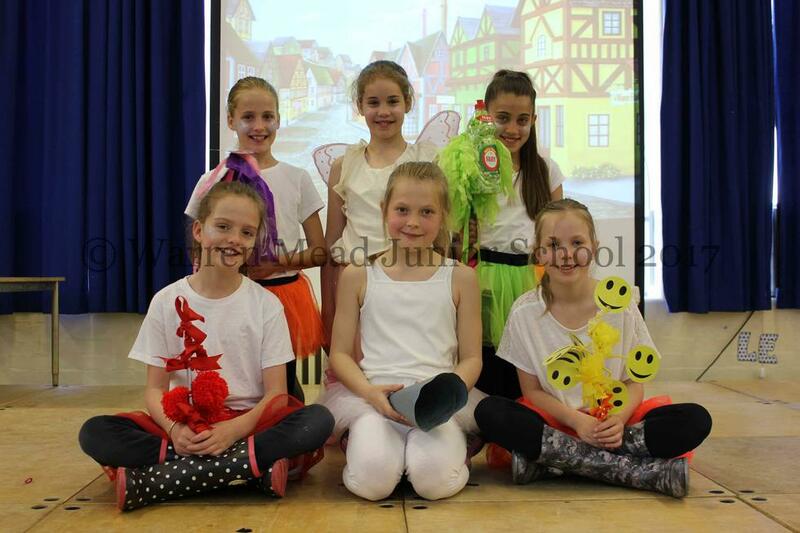 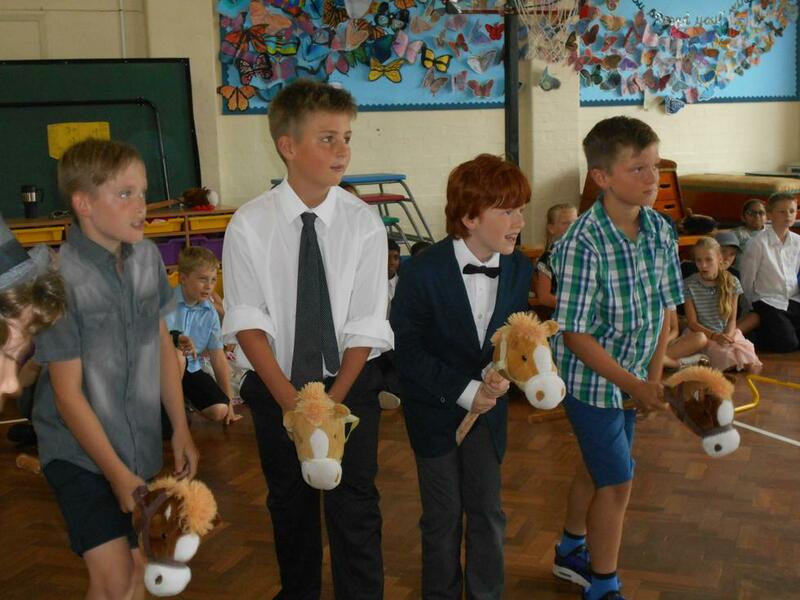 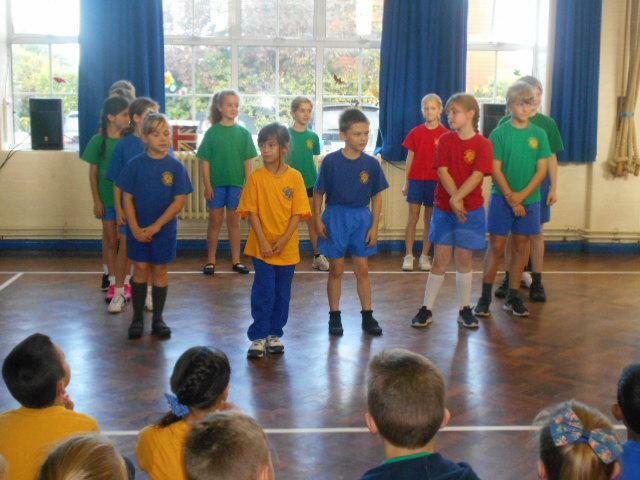 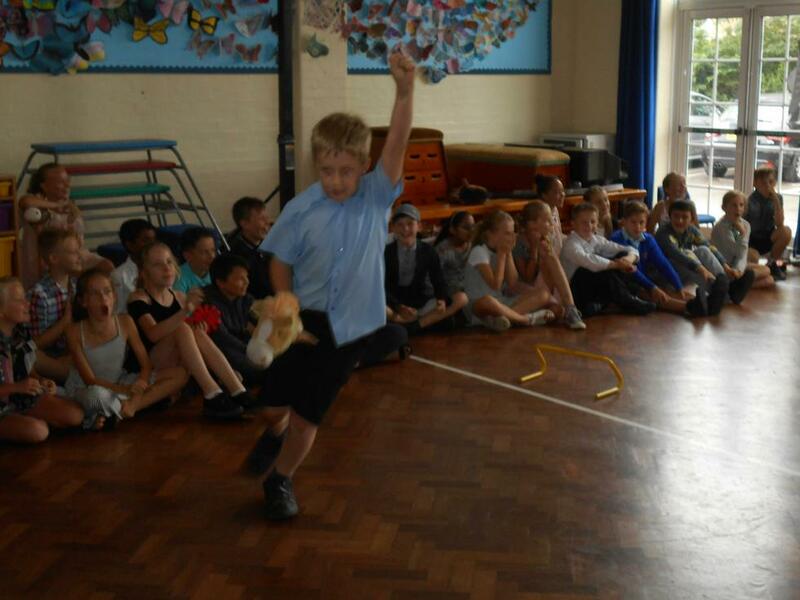 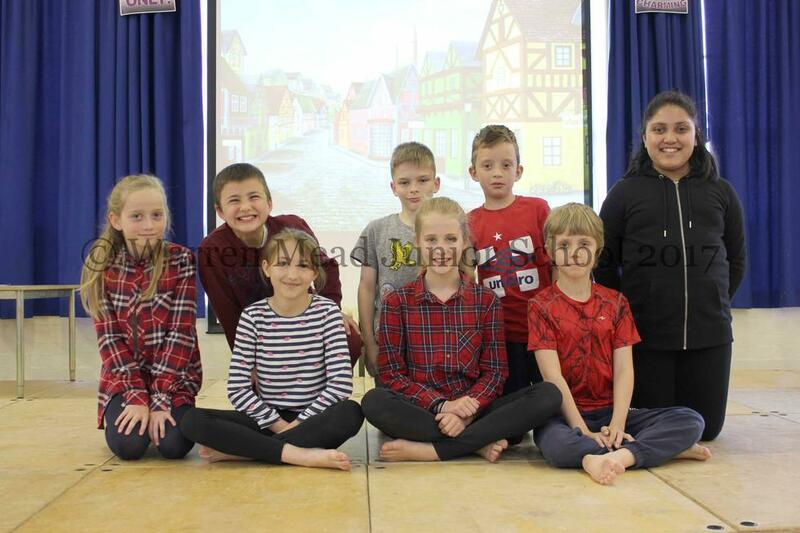 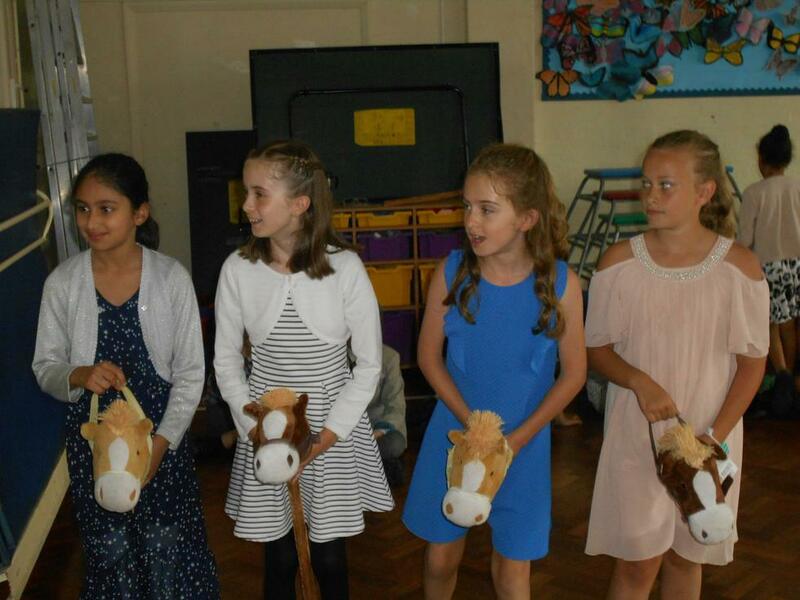 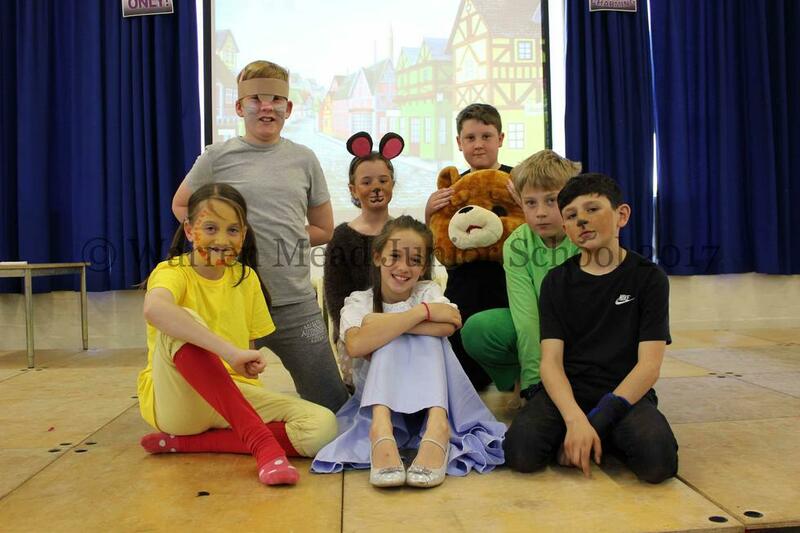 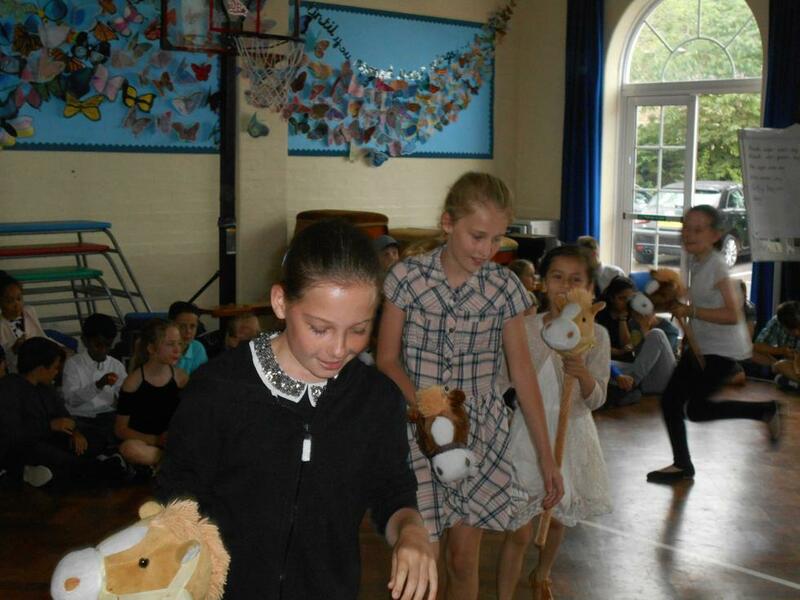 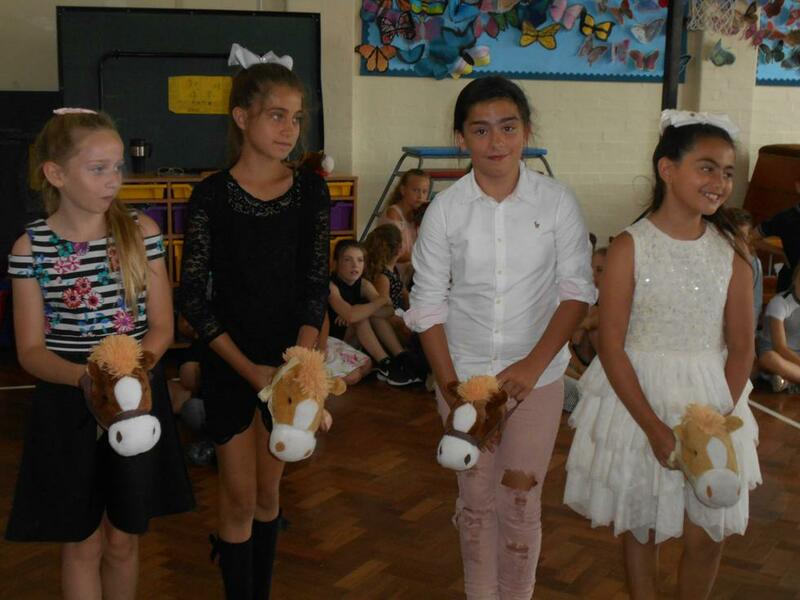 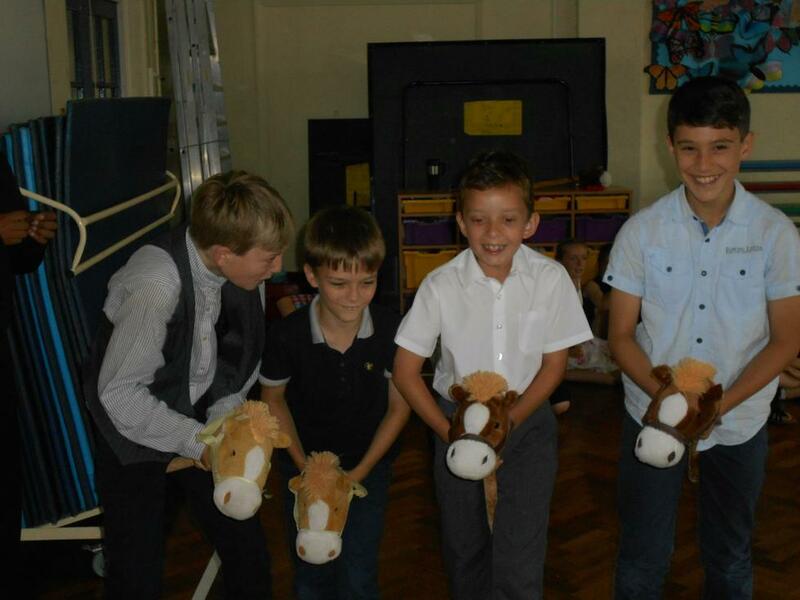 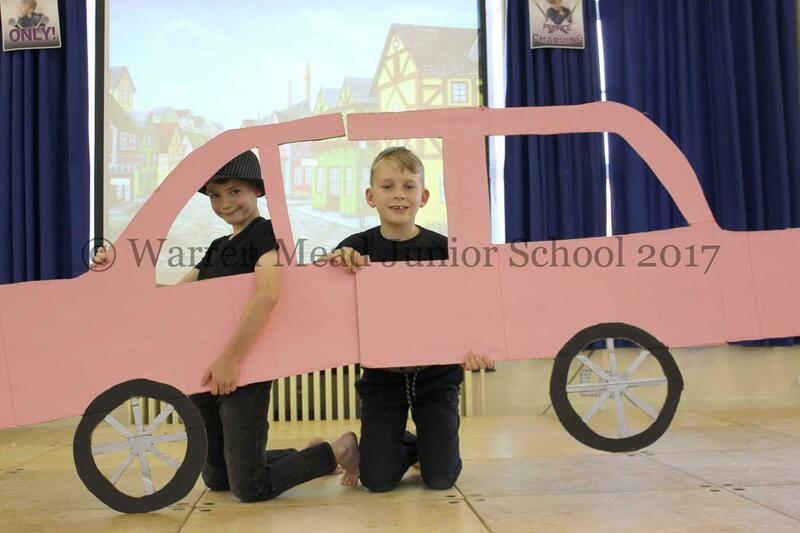 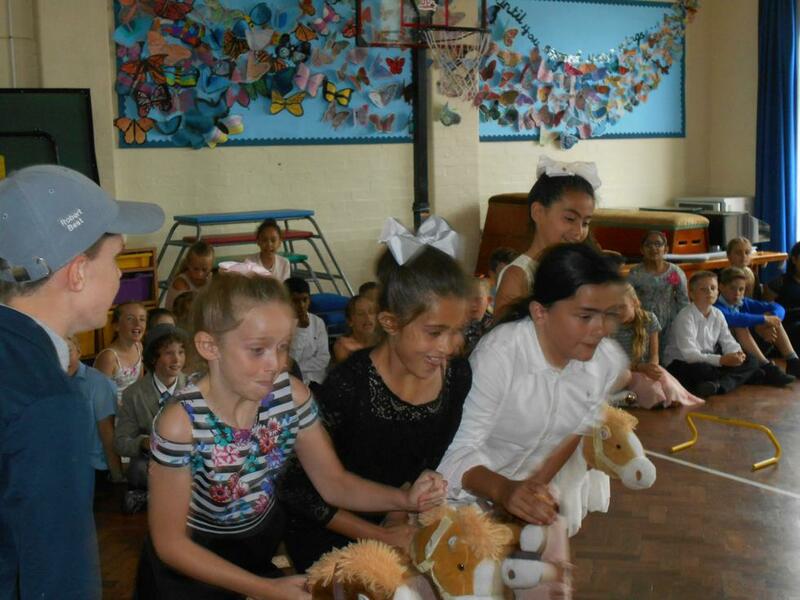 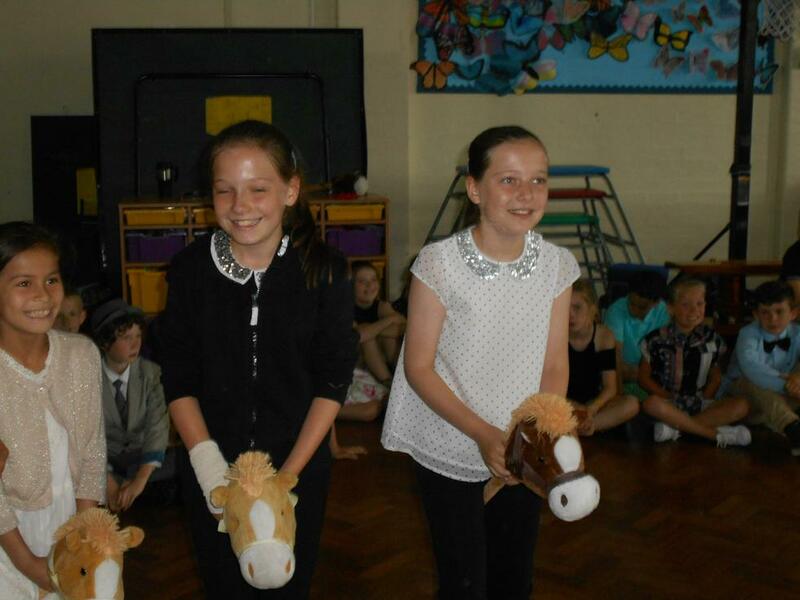 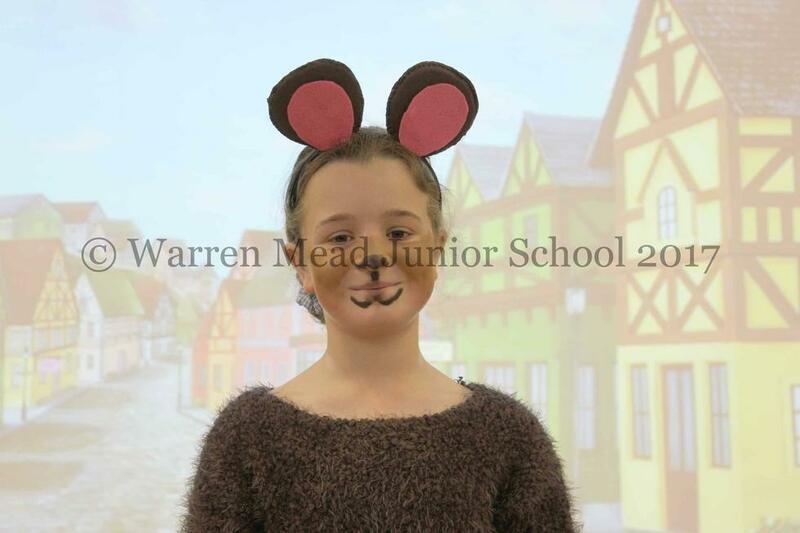 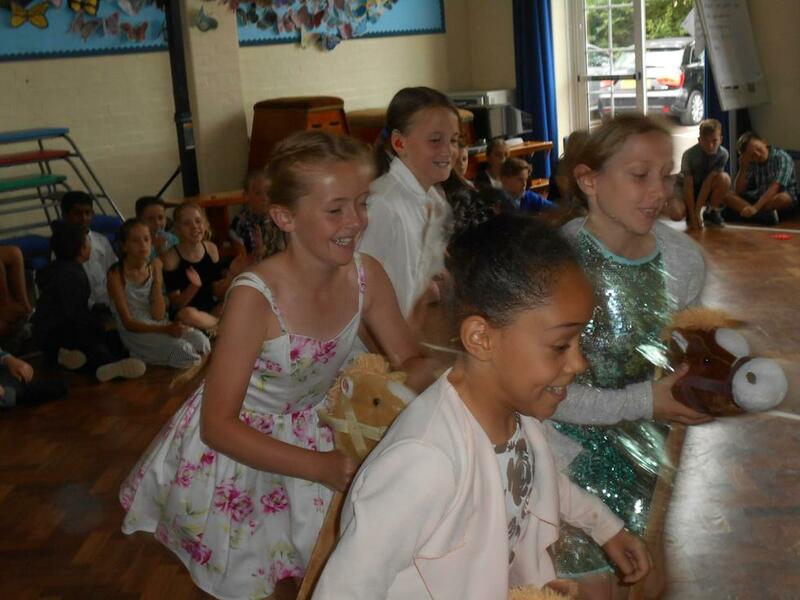 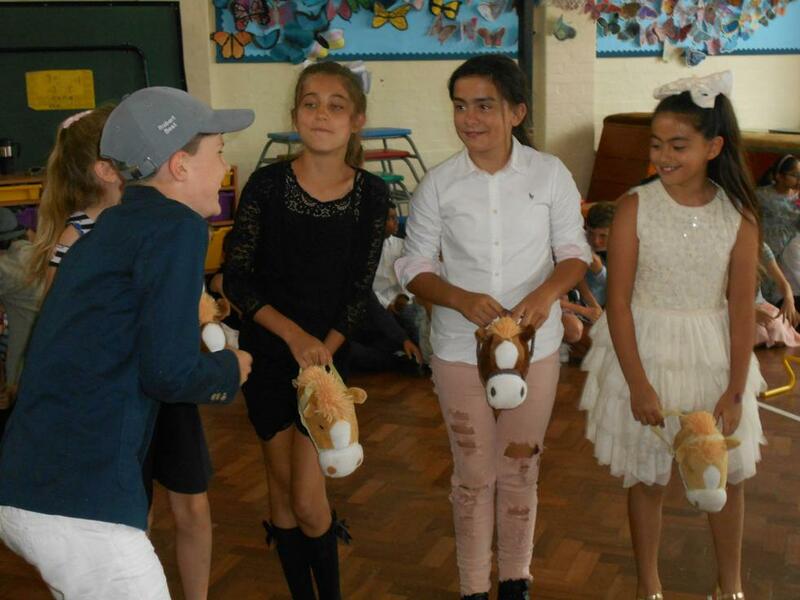 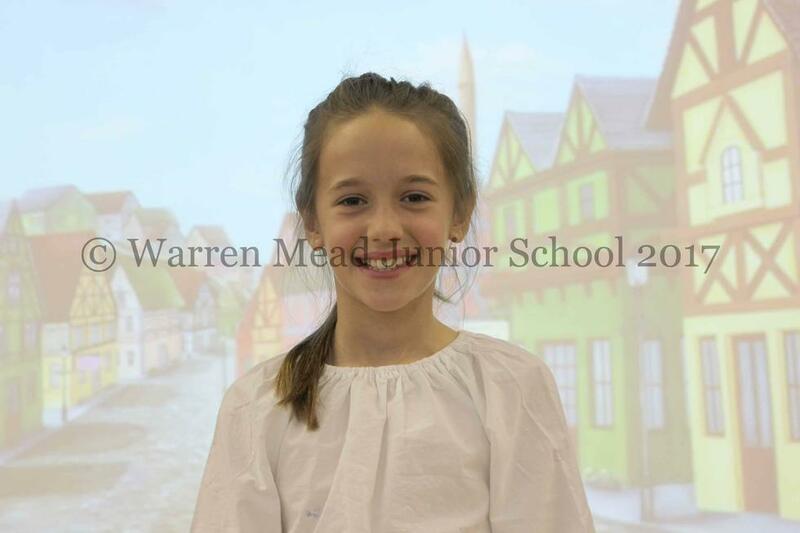 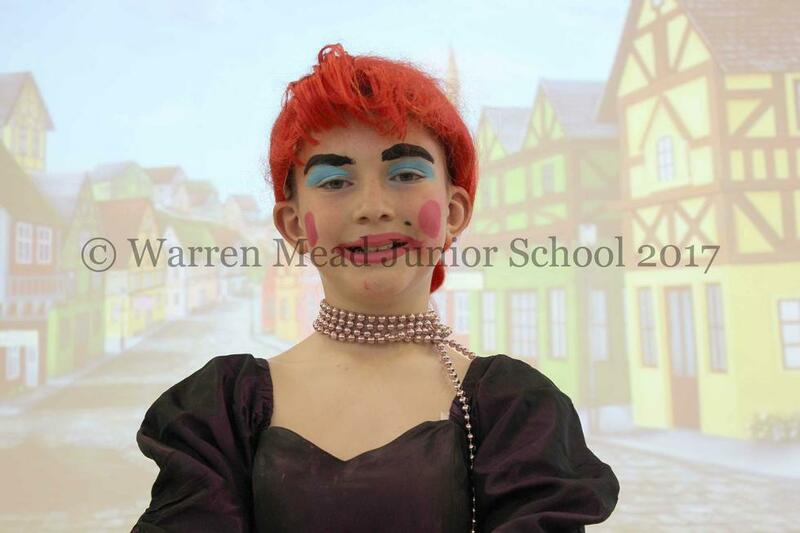 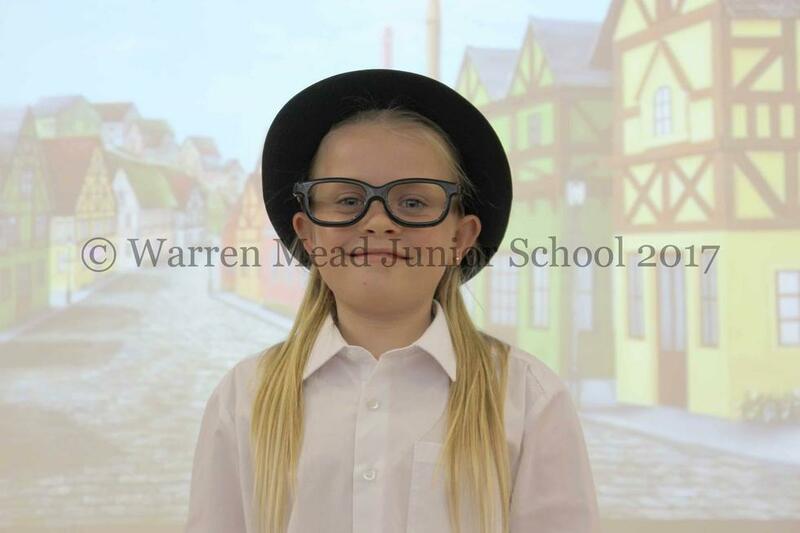 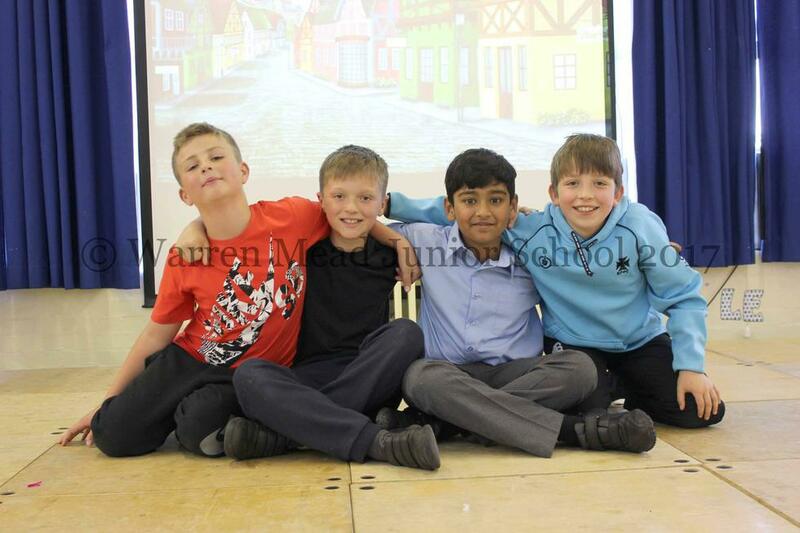 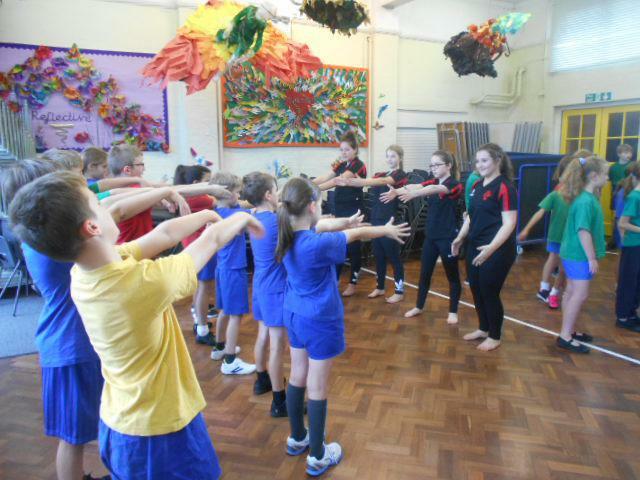 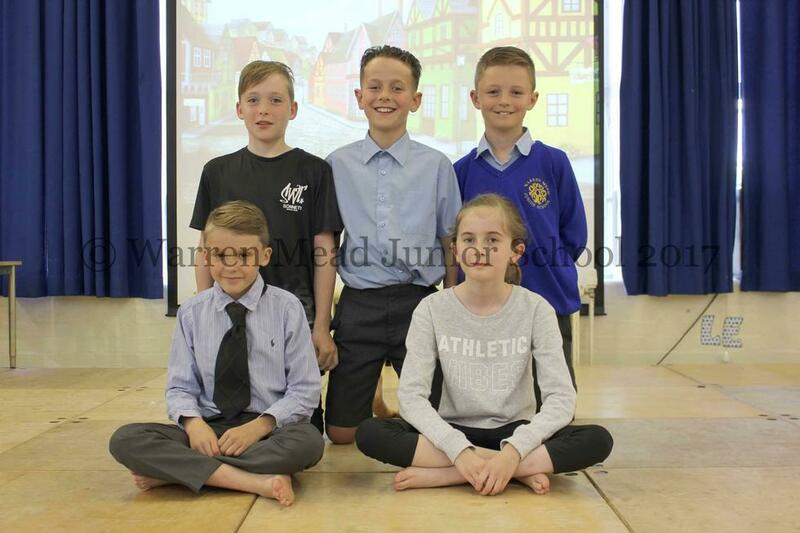 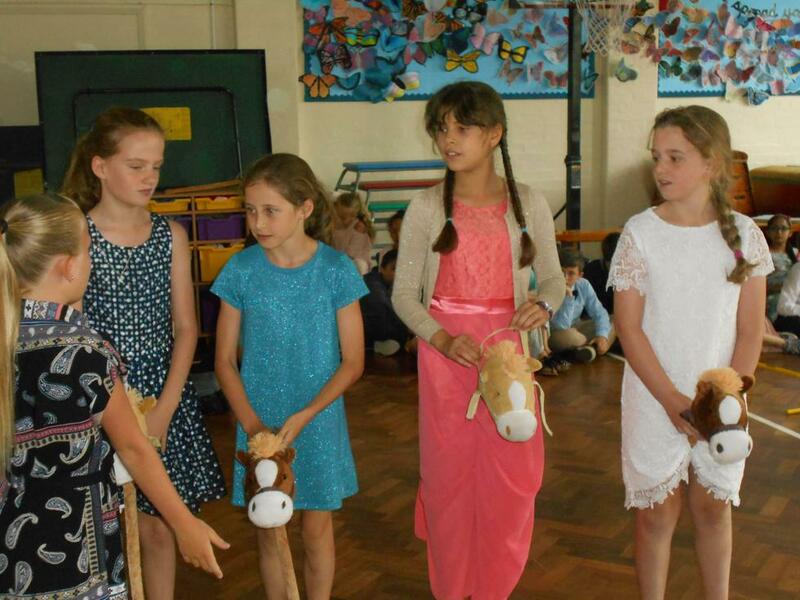 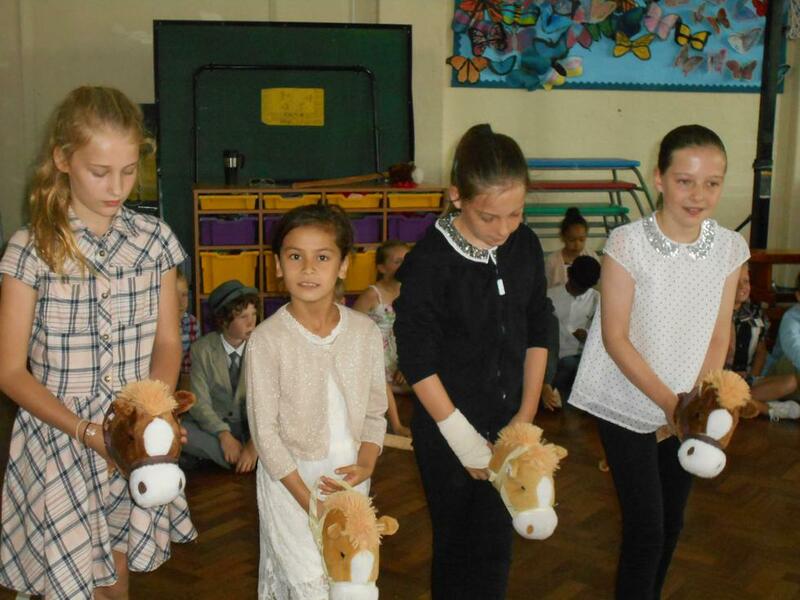 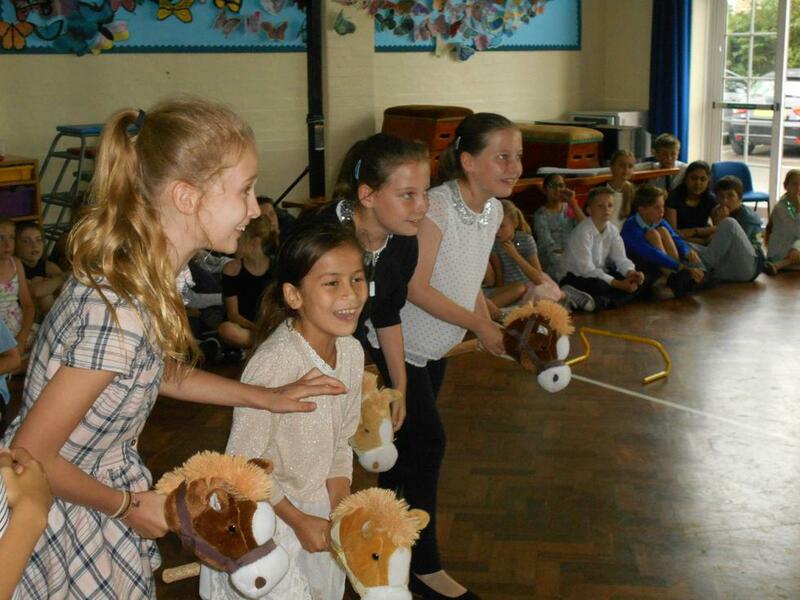 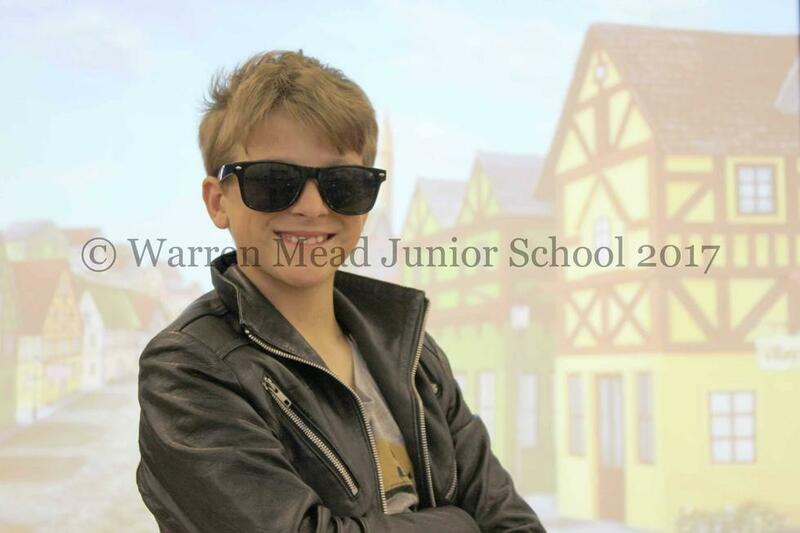 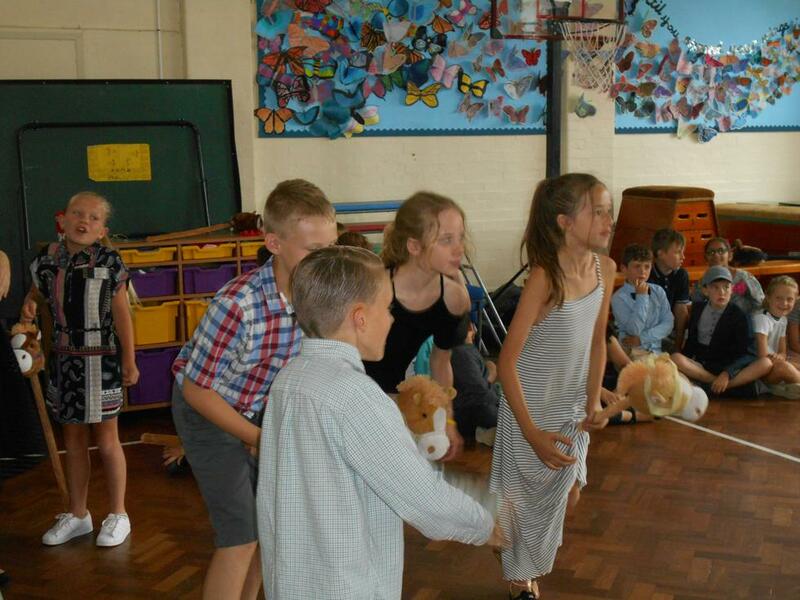 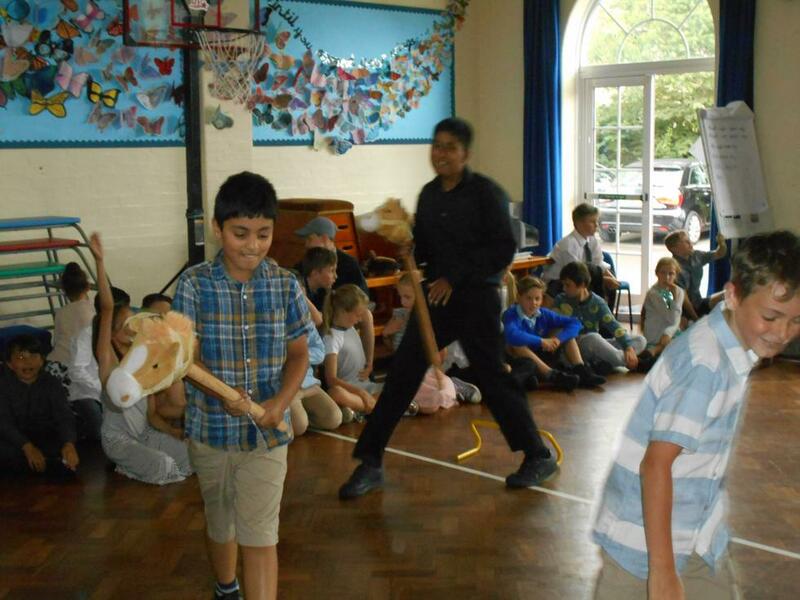 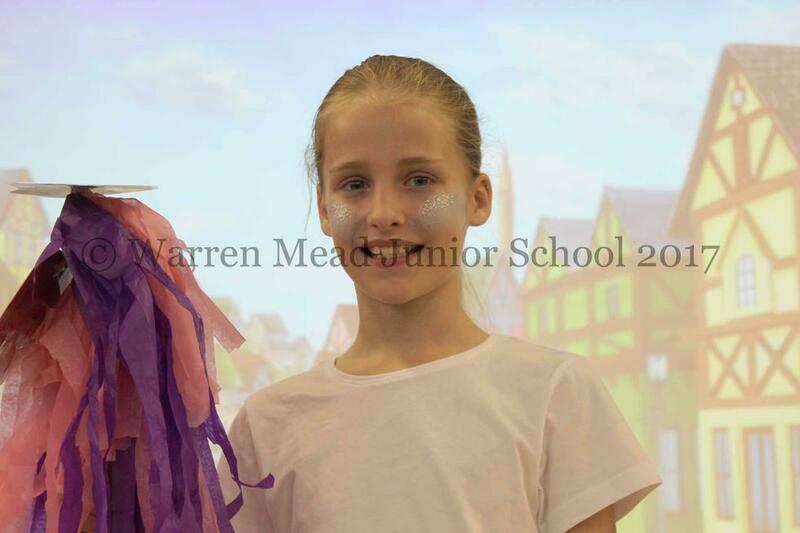 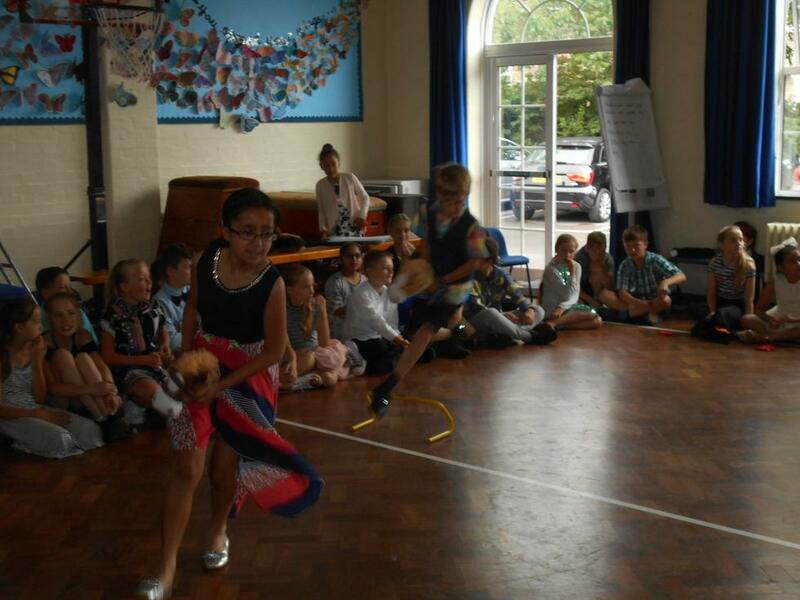 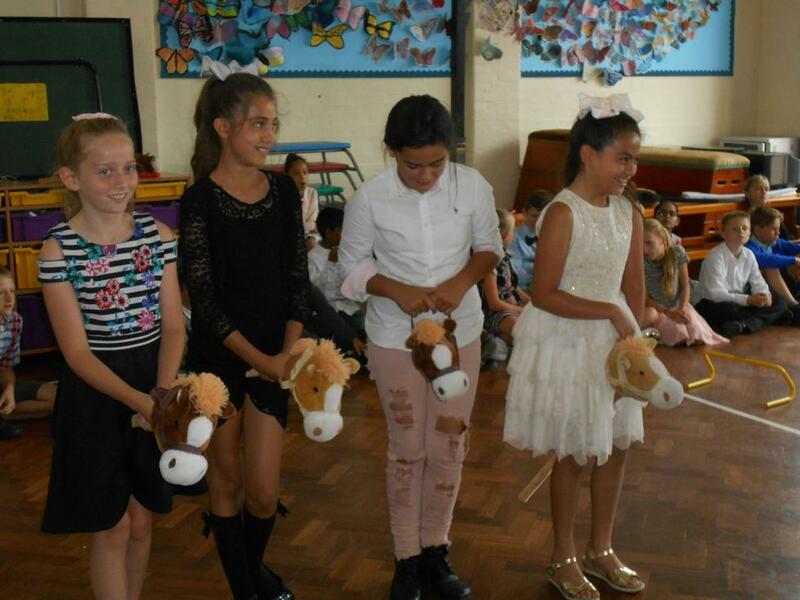 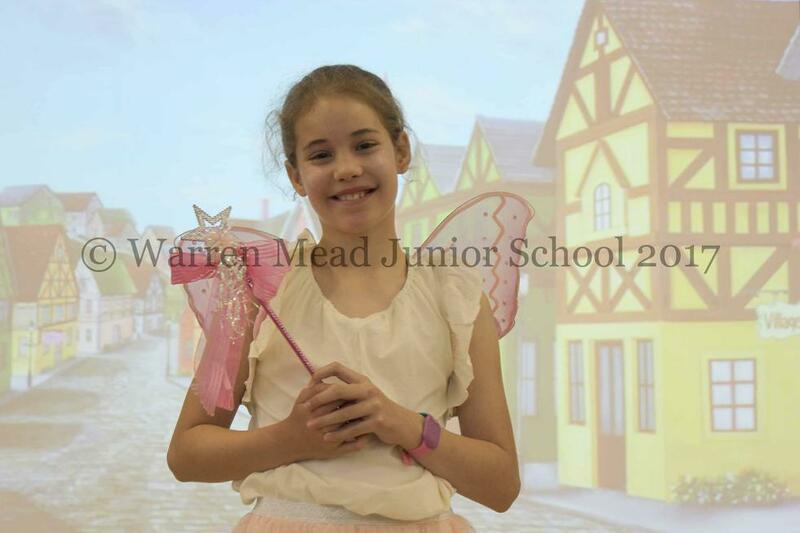 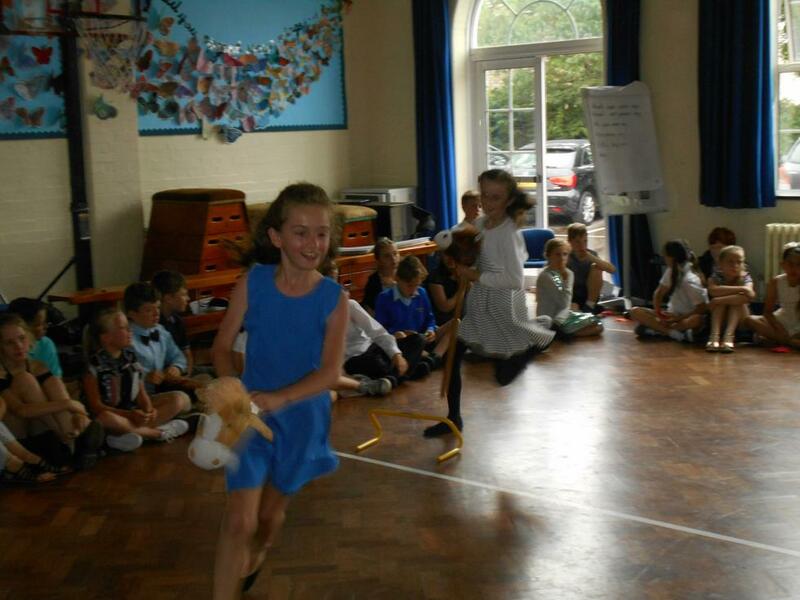 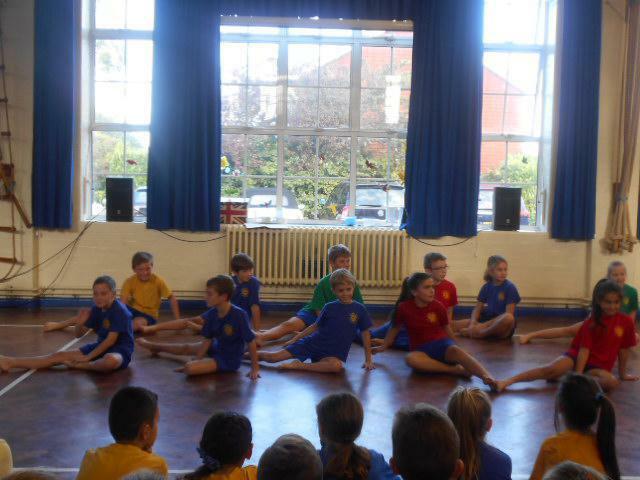 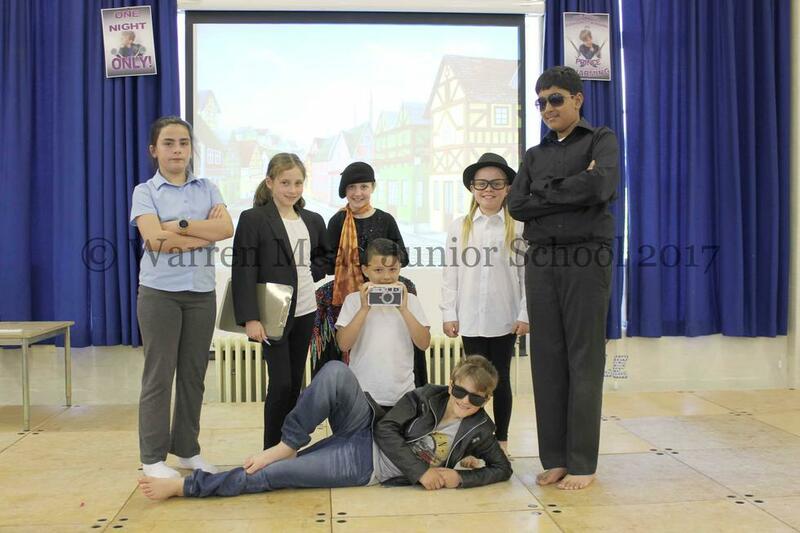 Well done to all our Year 5s for their fantastic performances of 'Cinderella Rockerfella'! 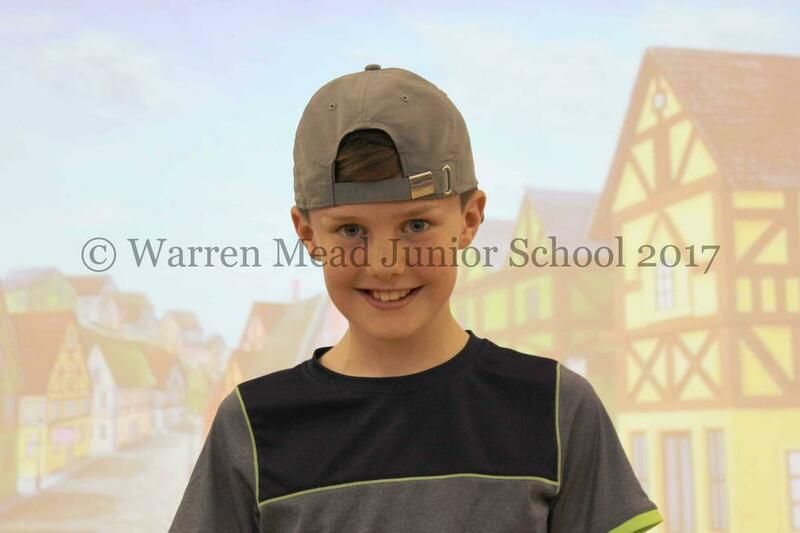 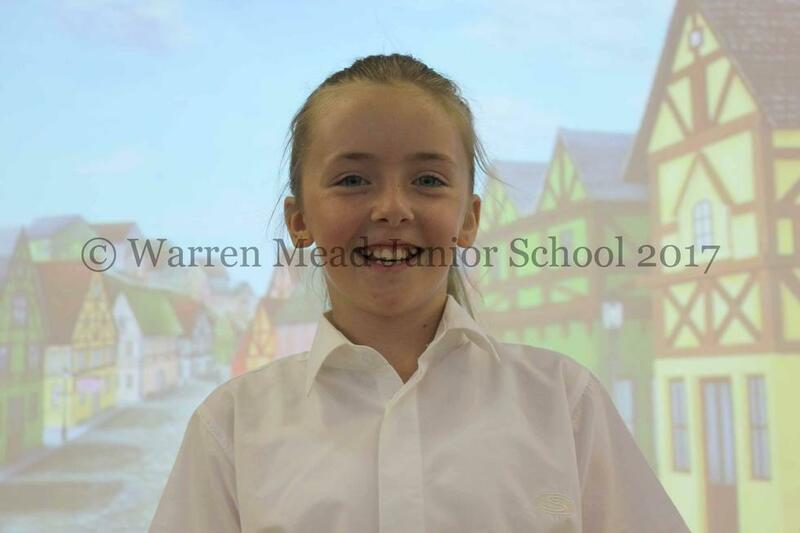 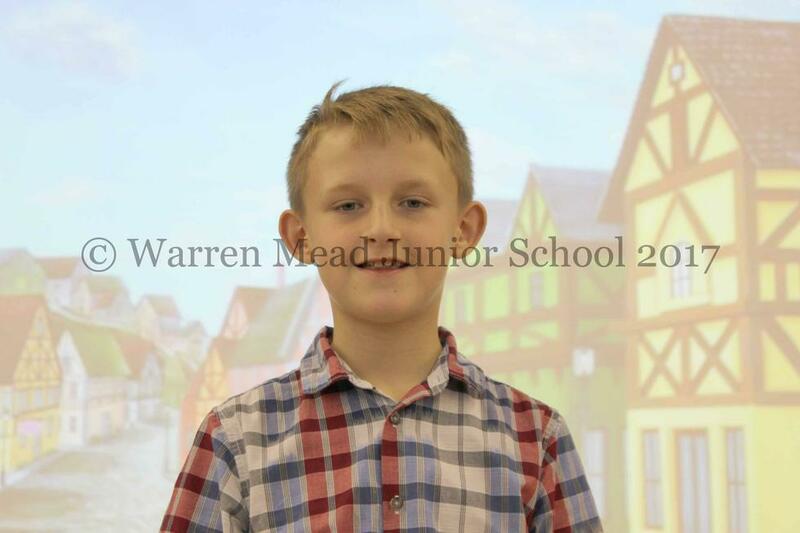 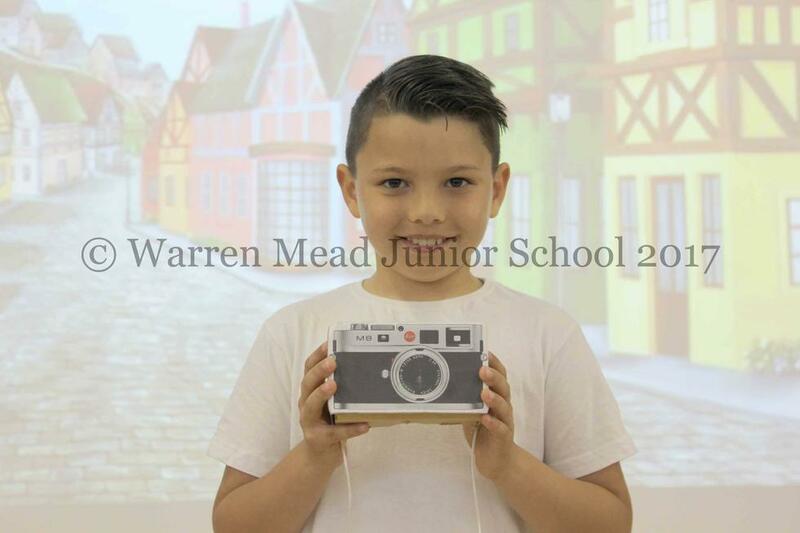 Electronic copies of photos below can be ordered at £3 per photo. 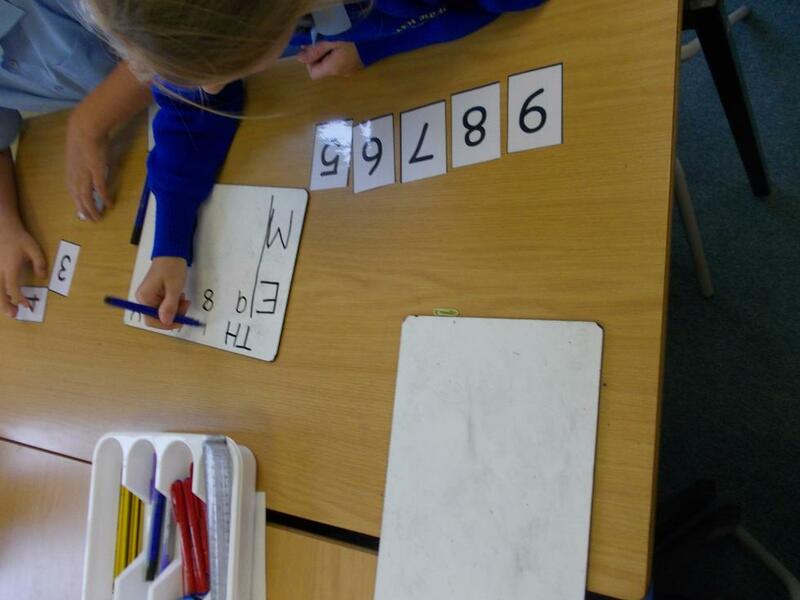 Please click here for photo numbers necessary for ordering. 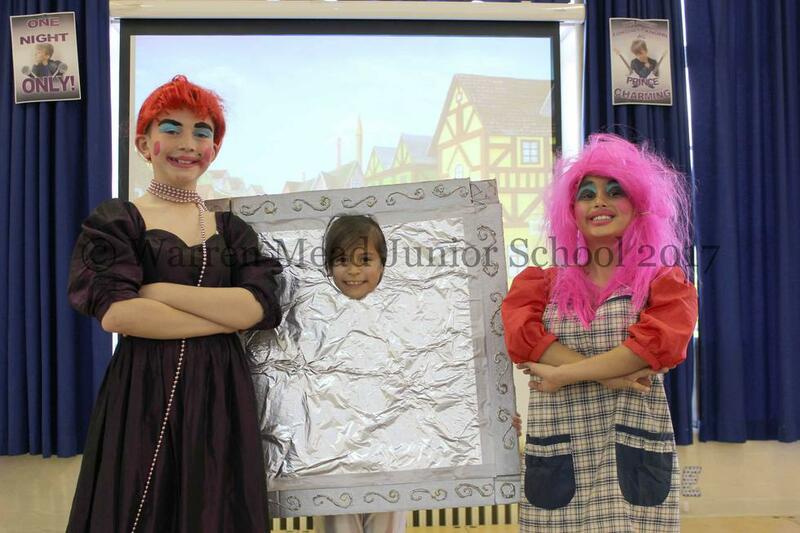 Cinderella Songs This link should (hopefully) take you to a folder contanting the songs for our production. 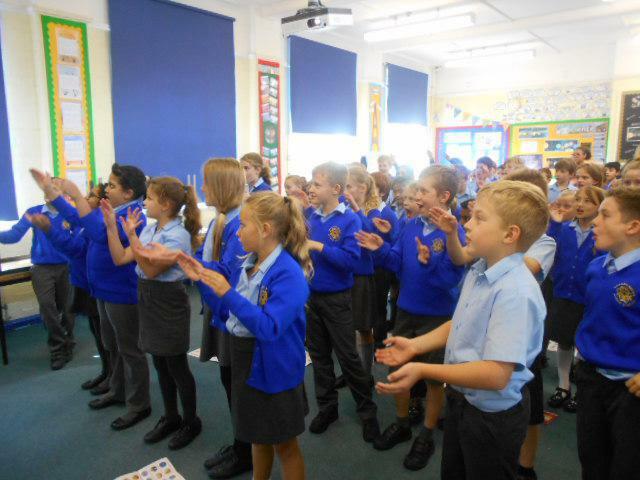 Any soloists or enthusiastic singers can use this to practise the songs when they please. 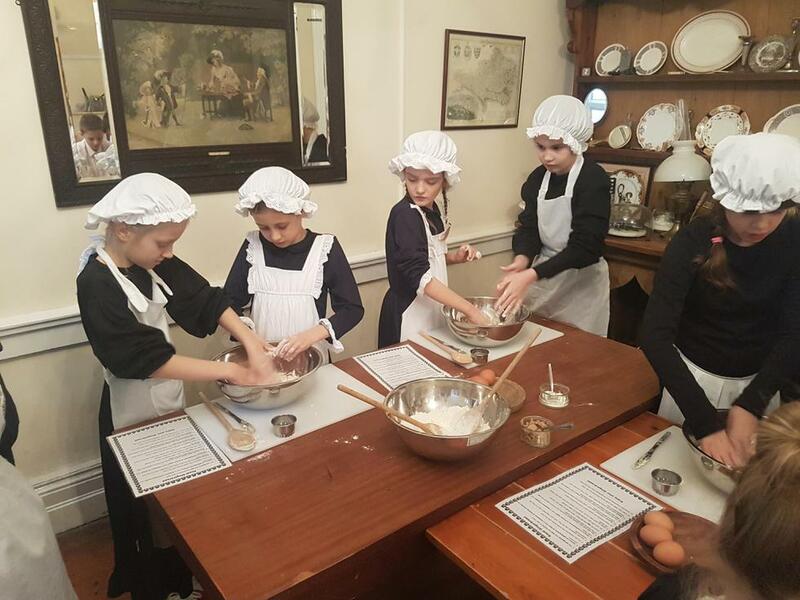 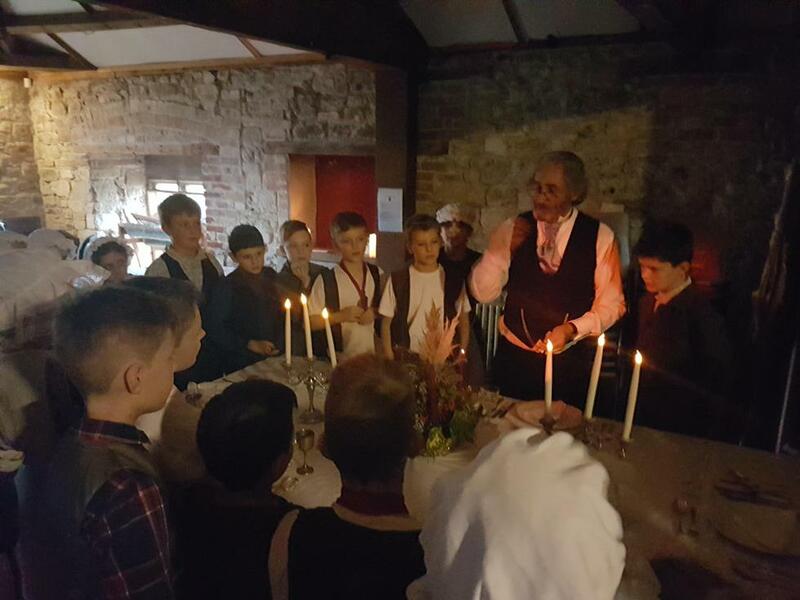 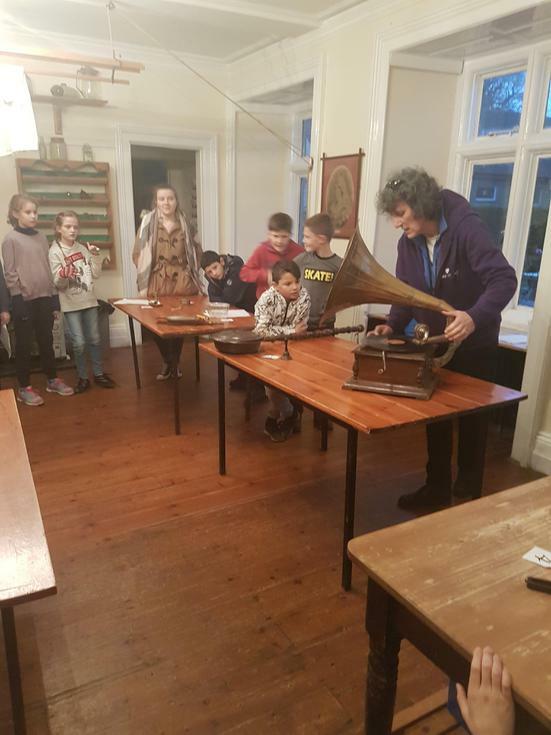 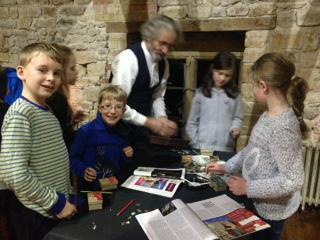 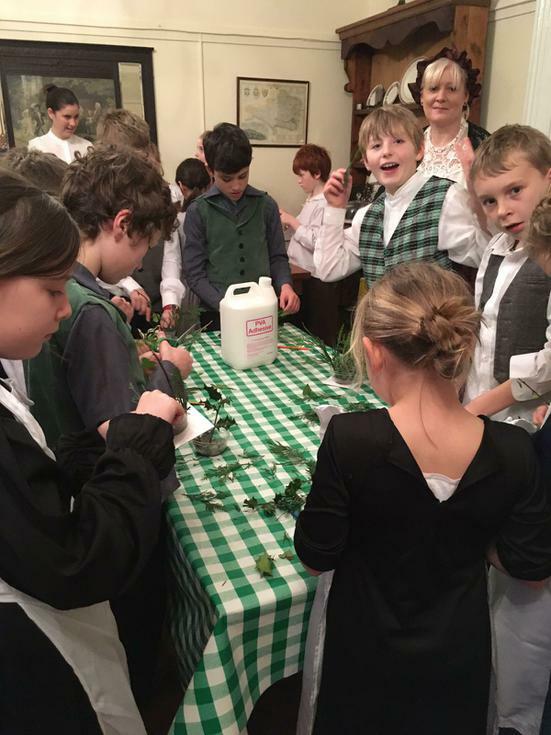 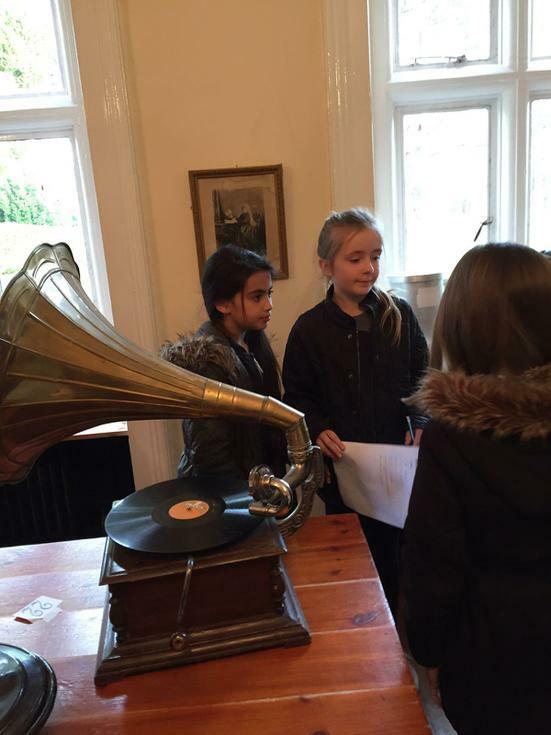 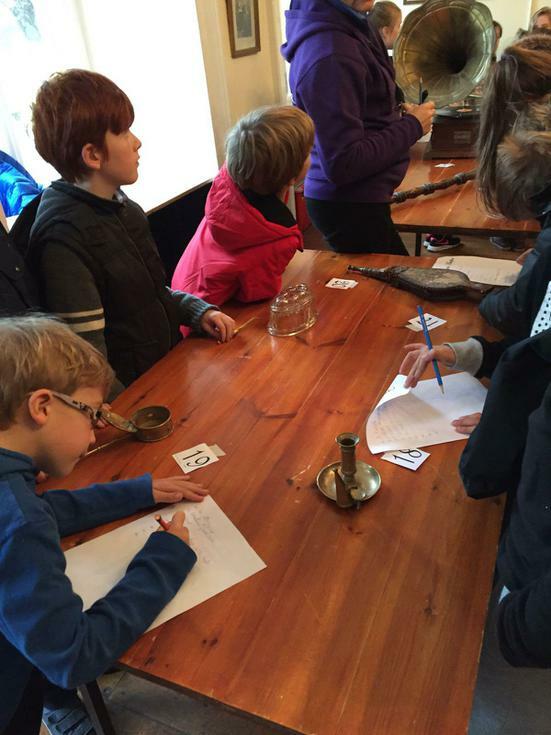 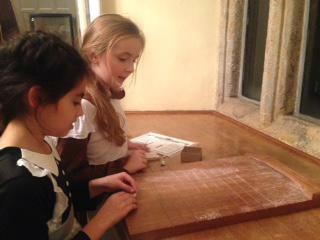 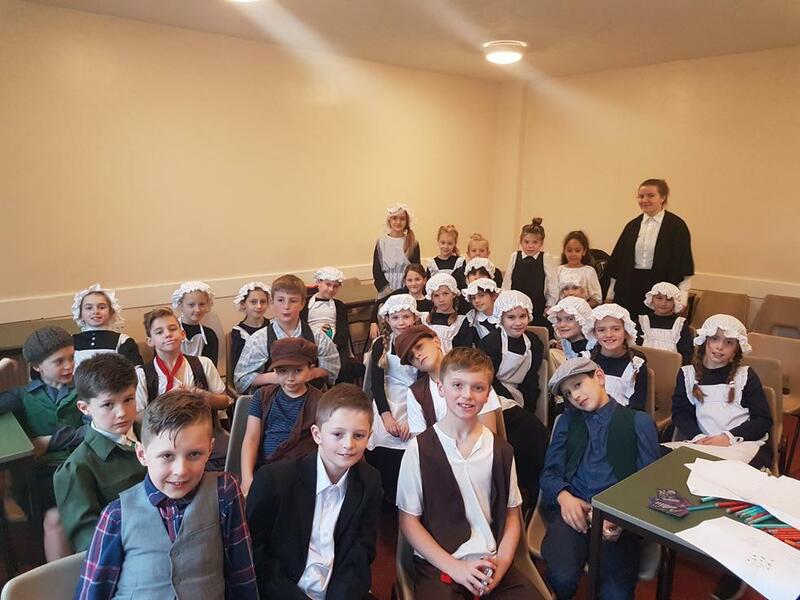 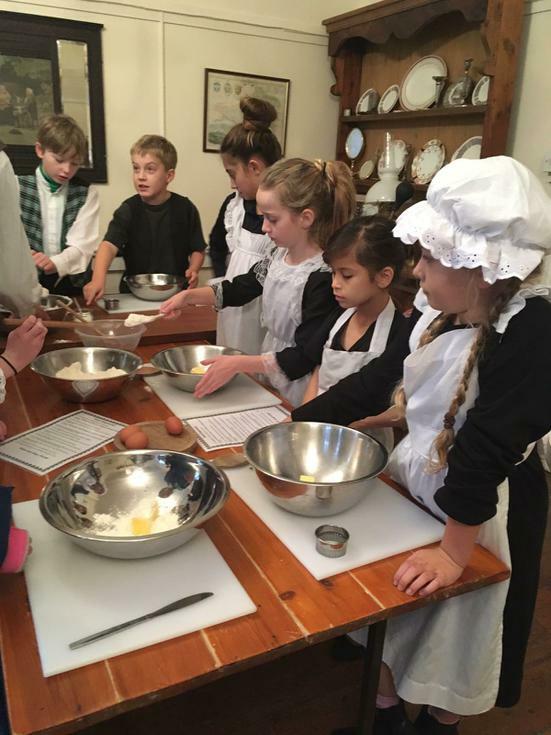 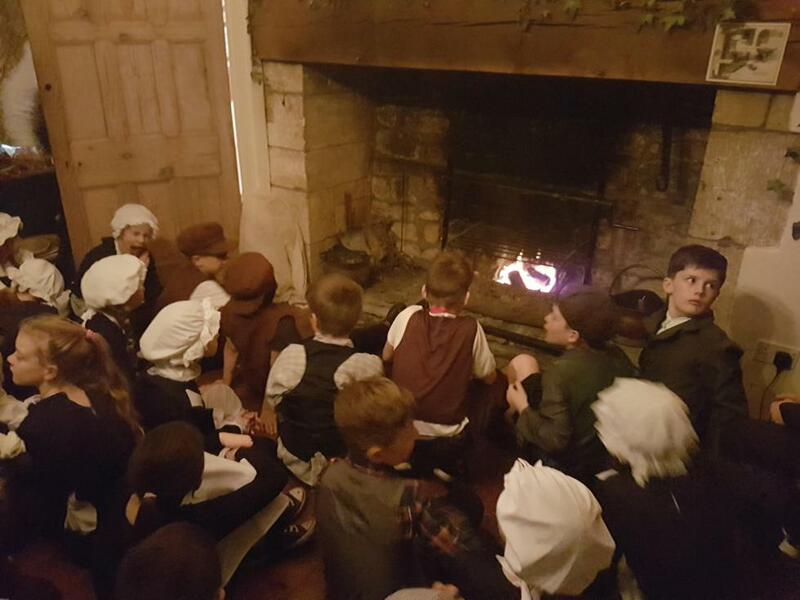 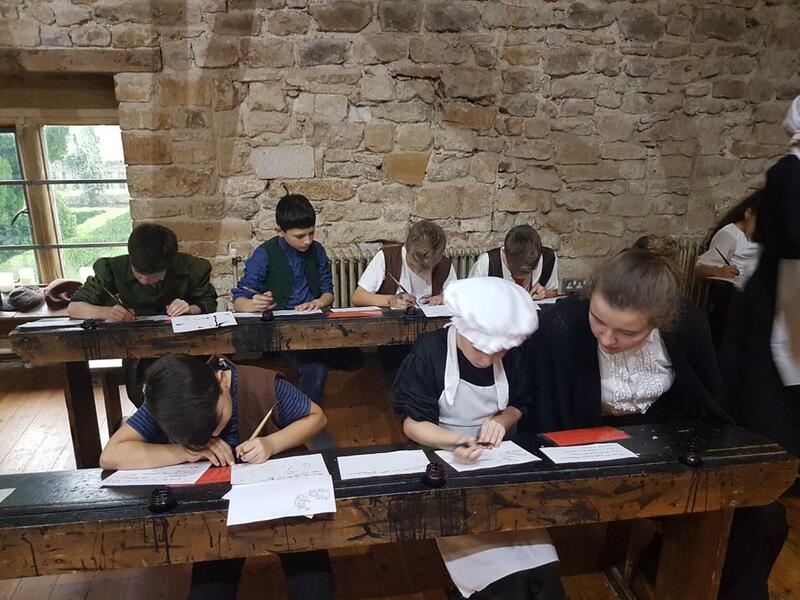 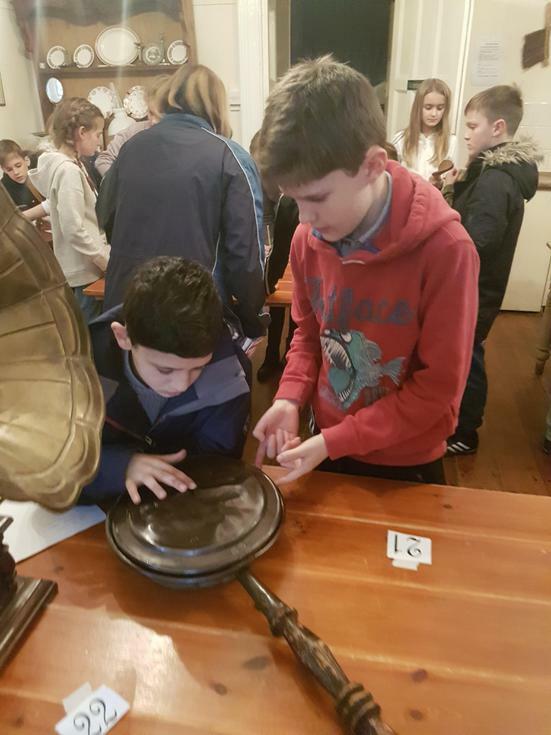 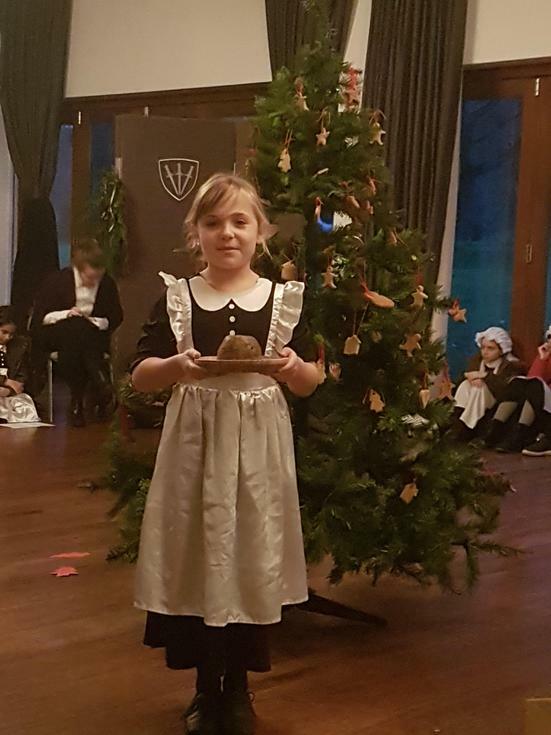 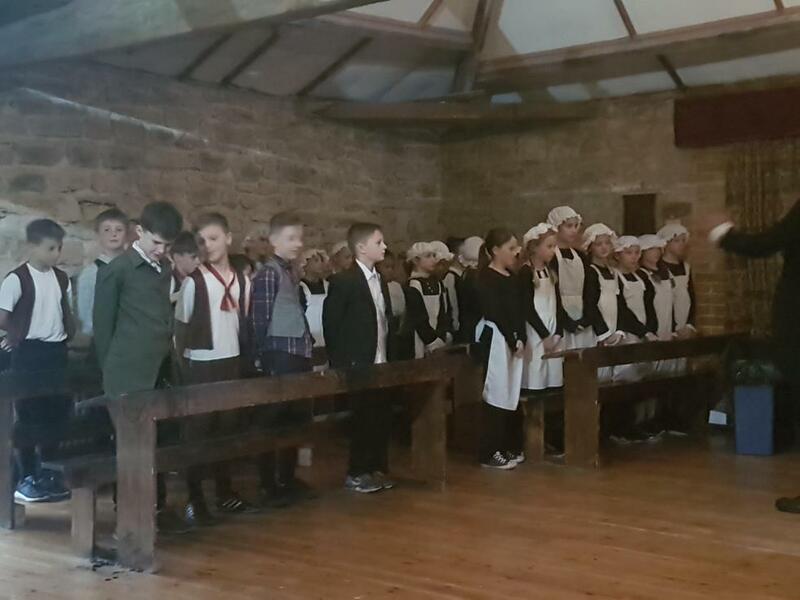 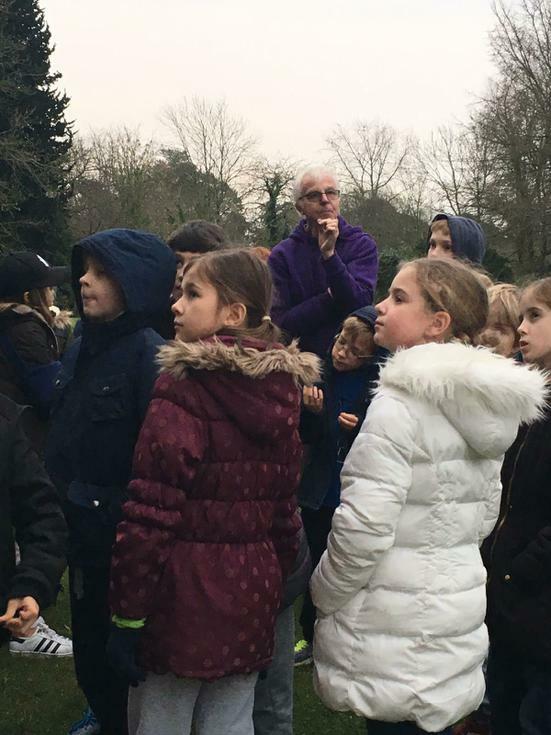 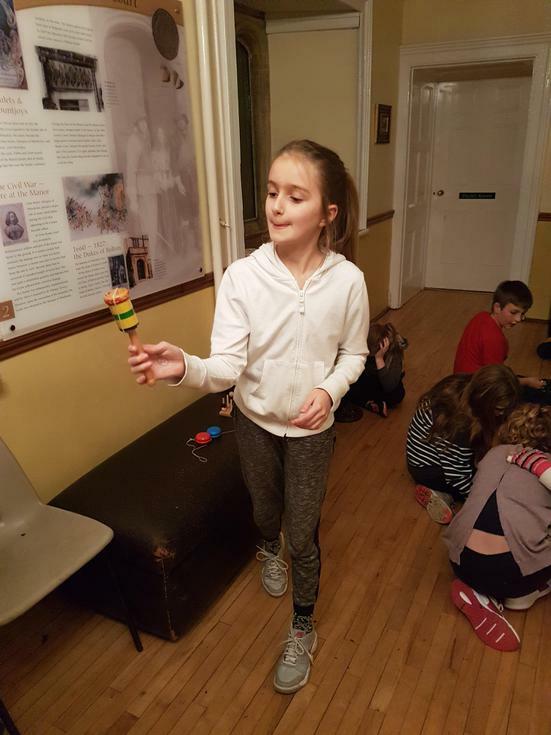 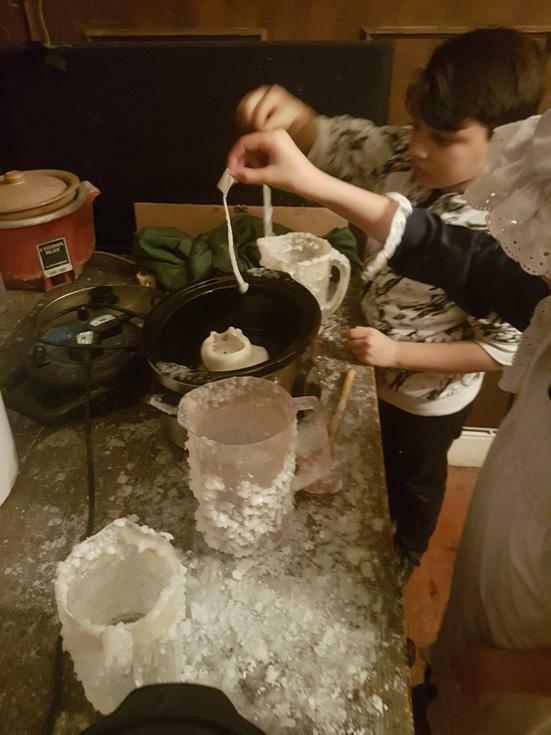 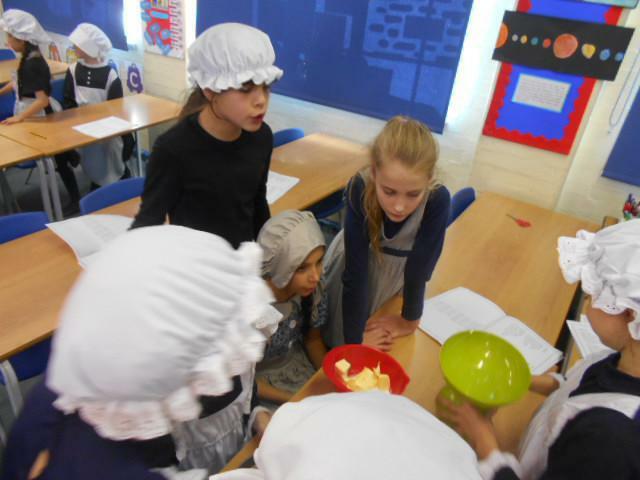 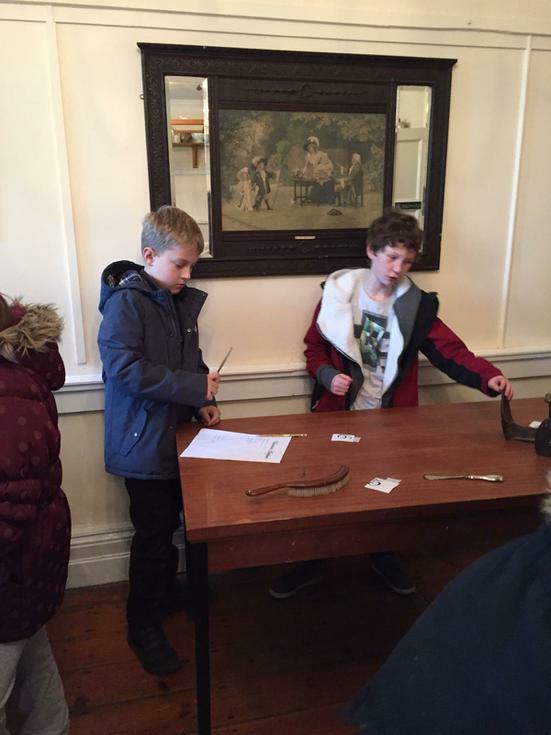 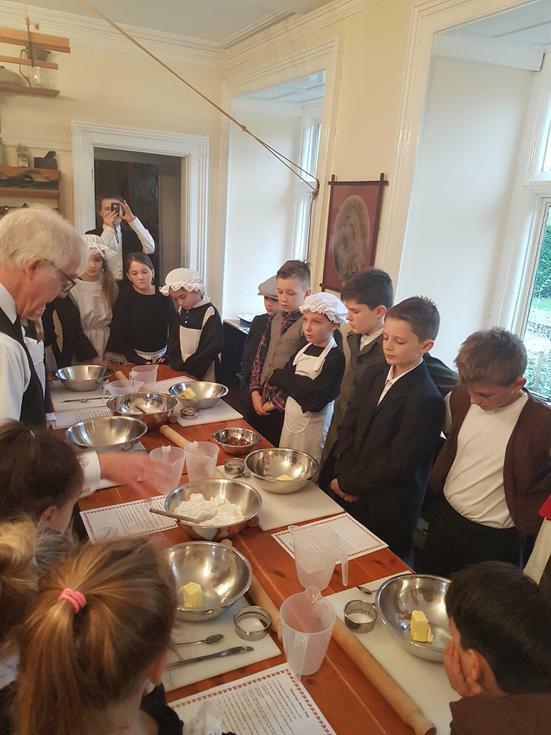 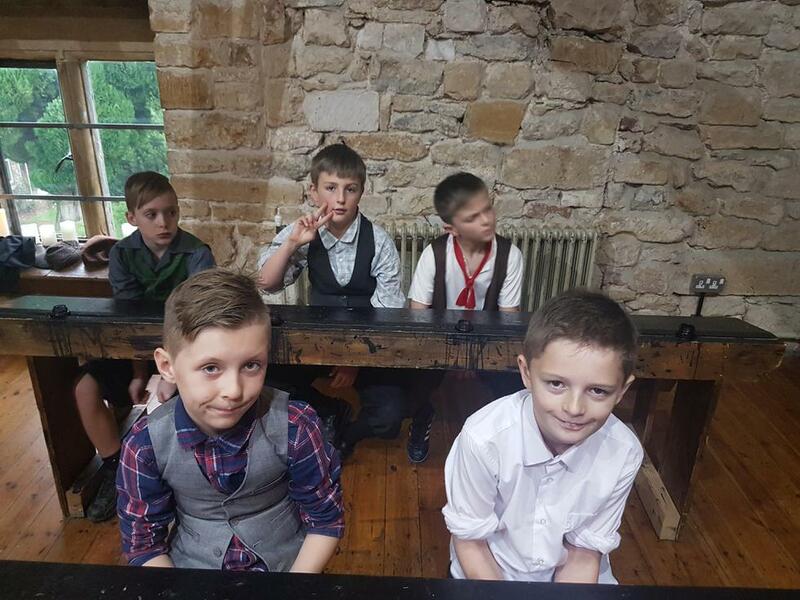 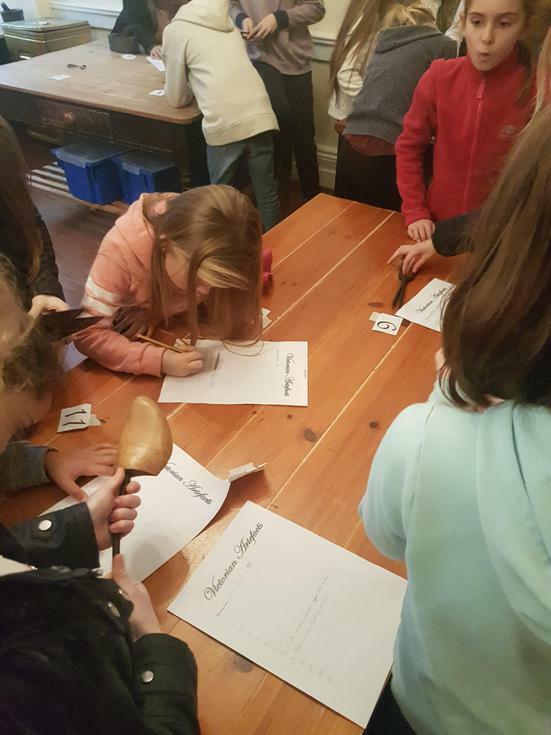 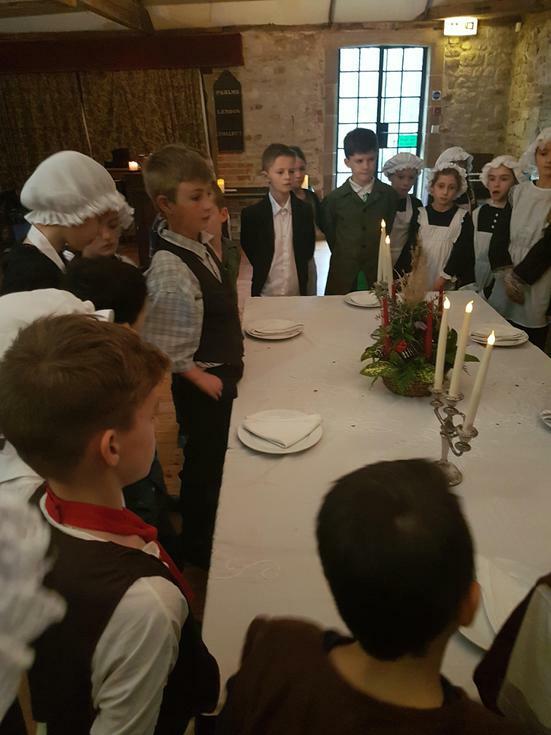 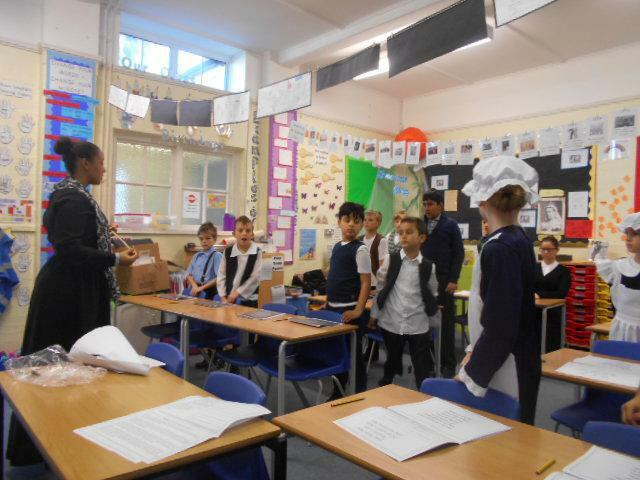 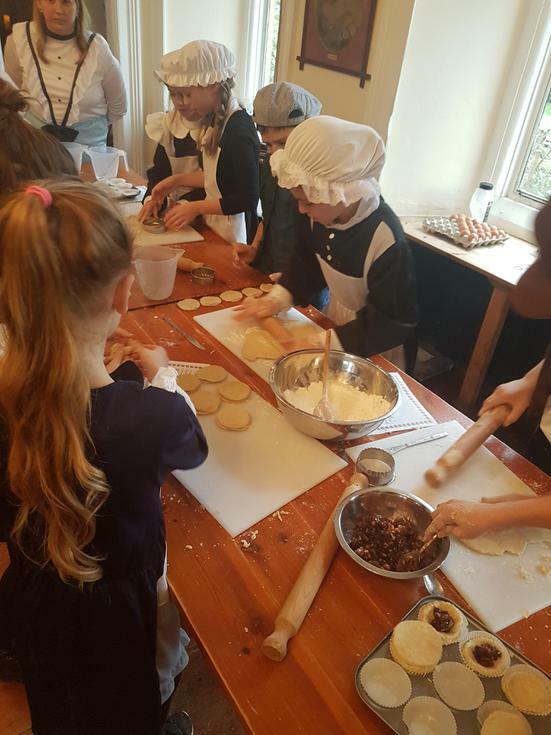 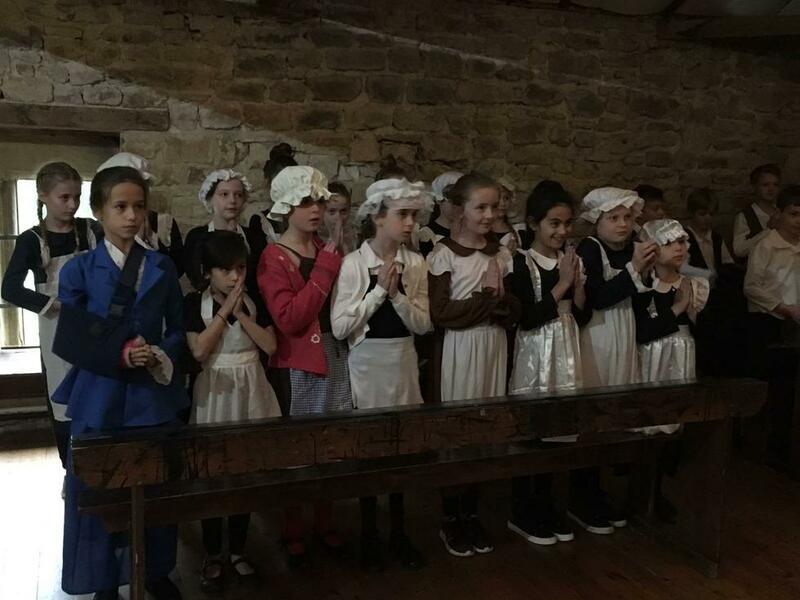 What a fantastic way to end the term in the led up to Christmas: A real life Victorian Christmas at Hooke Court. 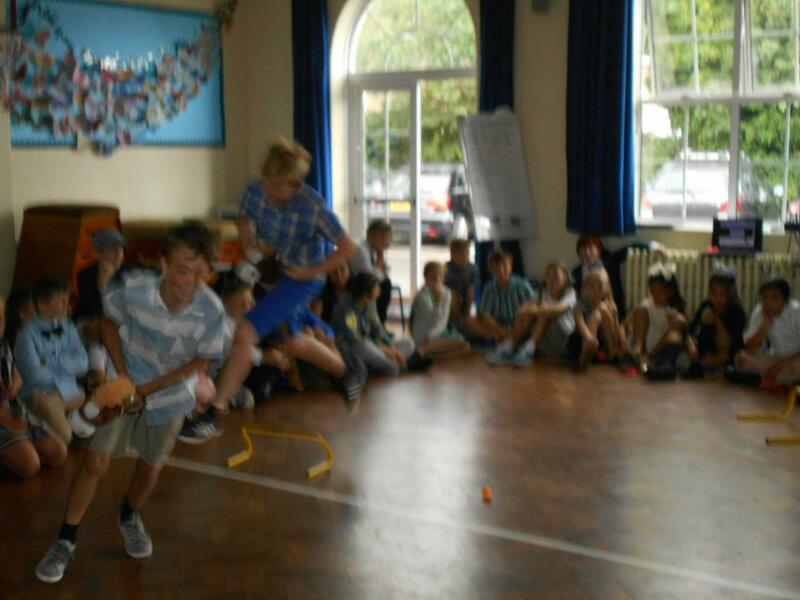 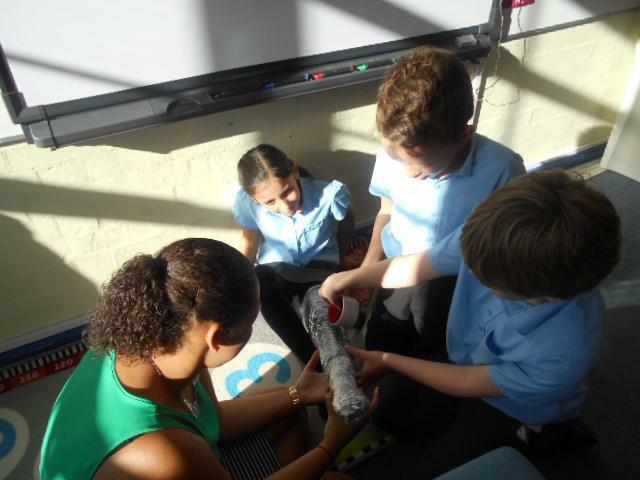 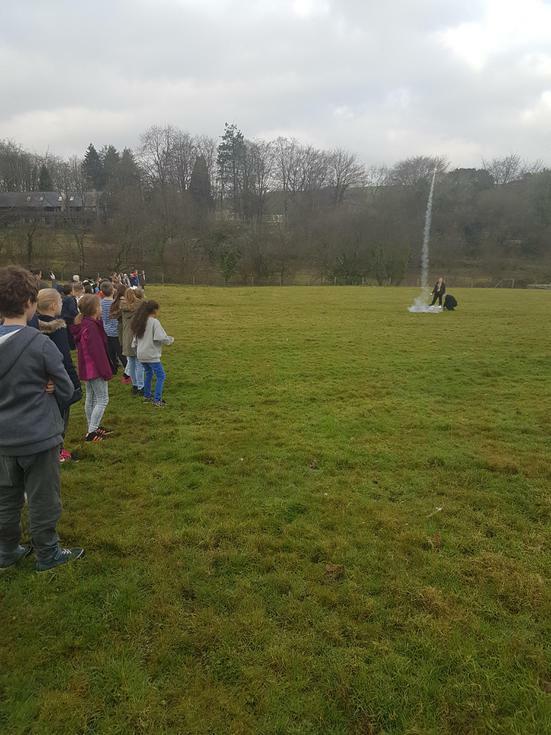 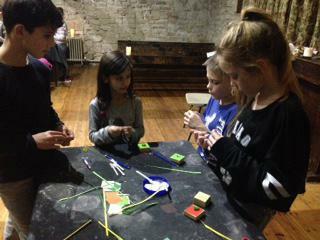 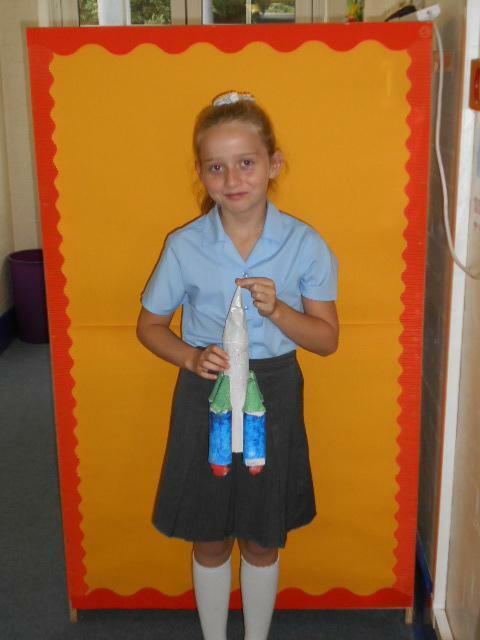 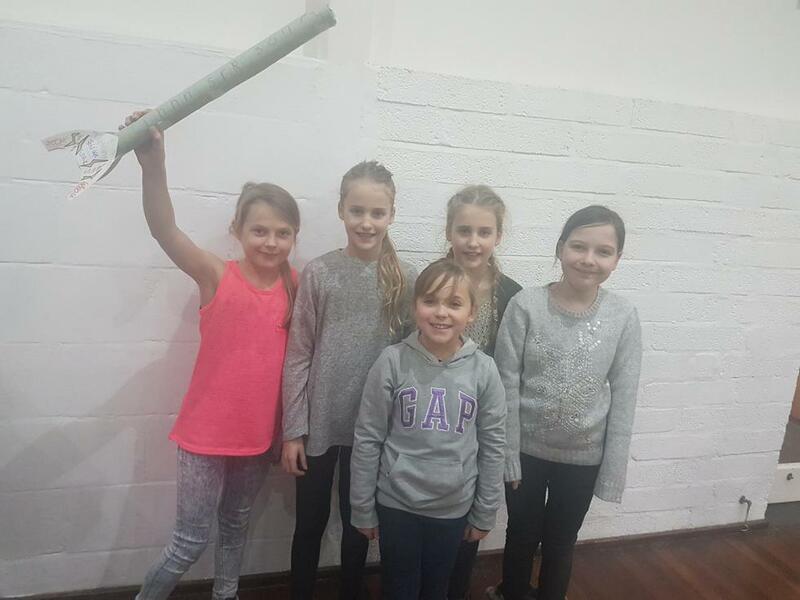 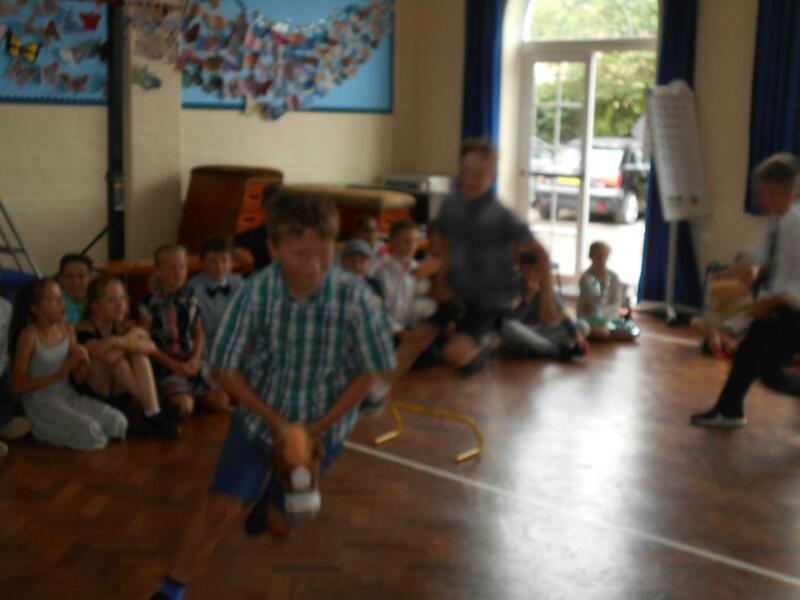 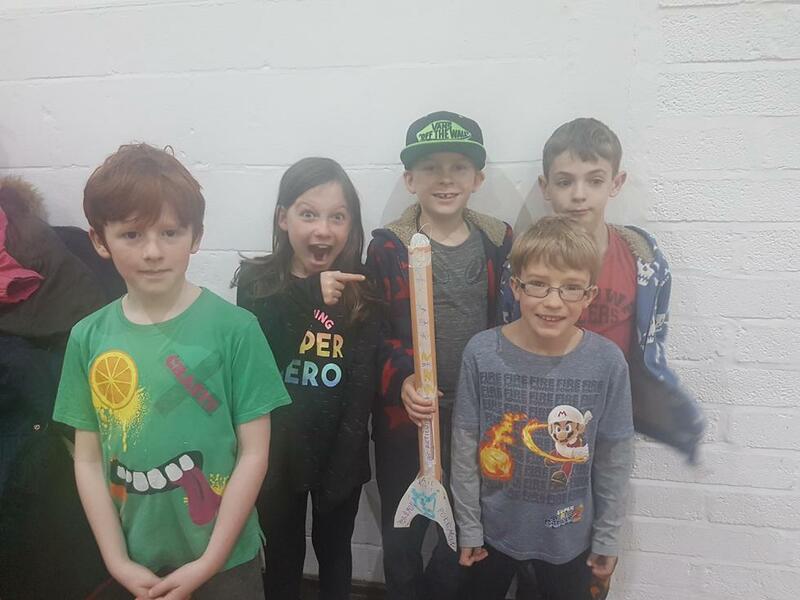 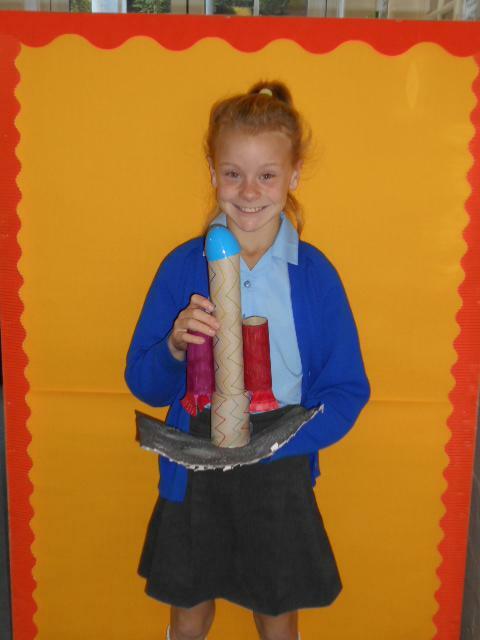 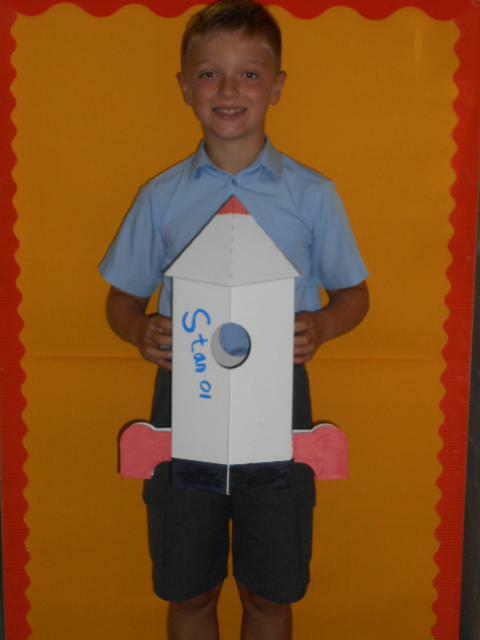 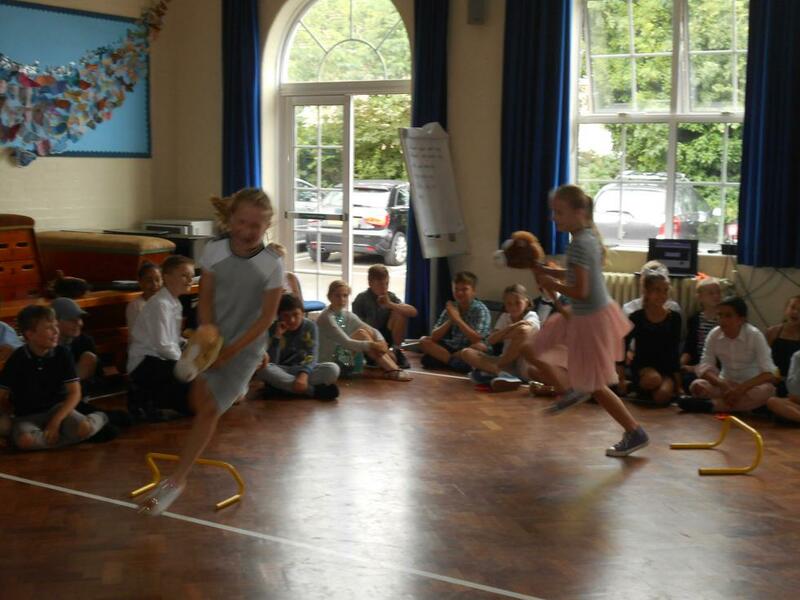 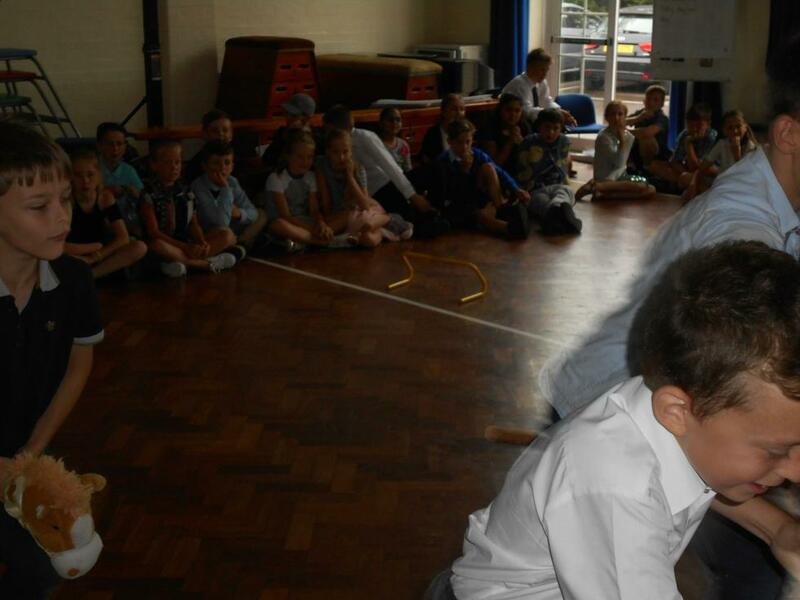 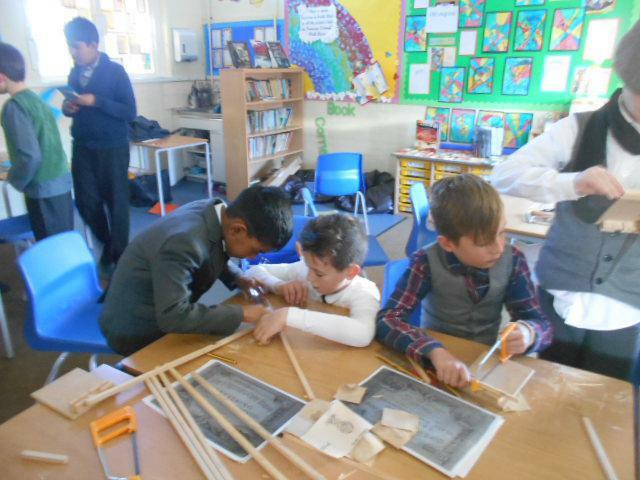 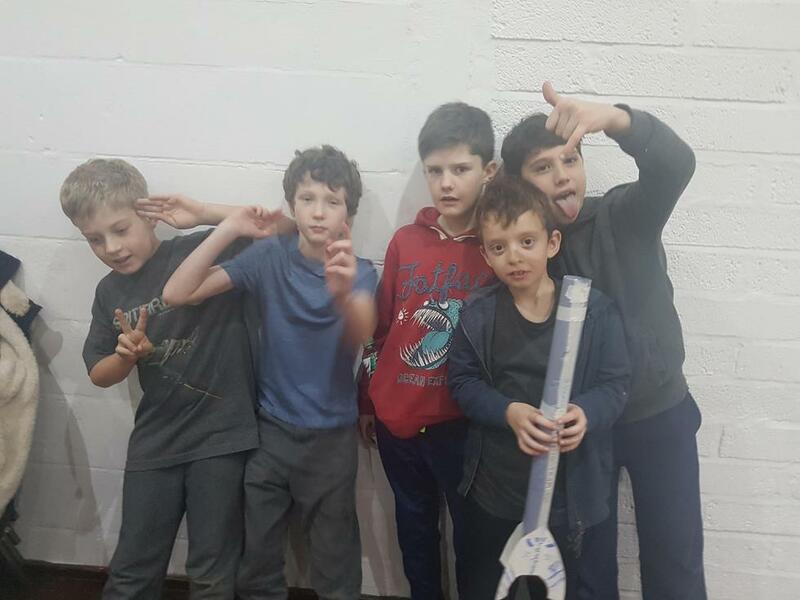 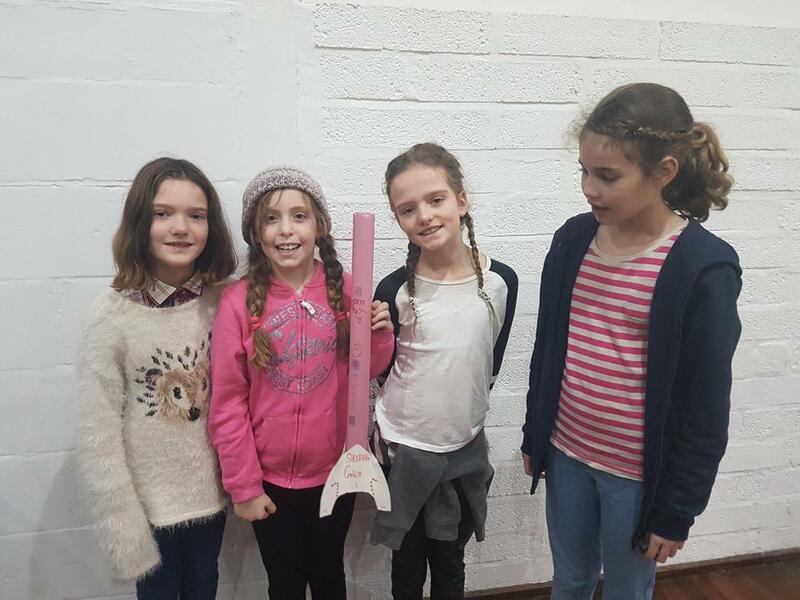 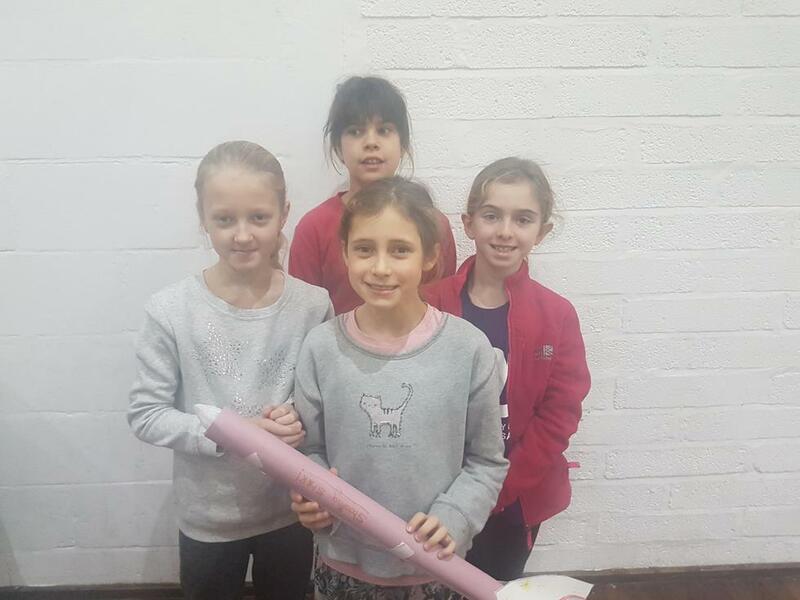 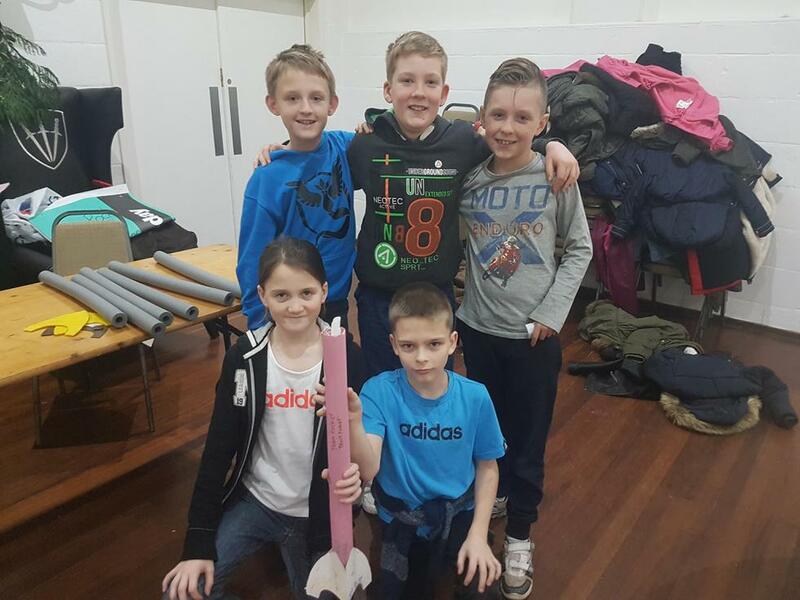 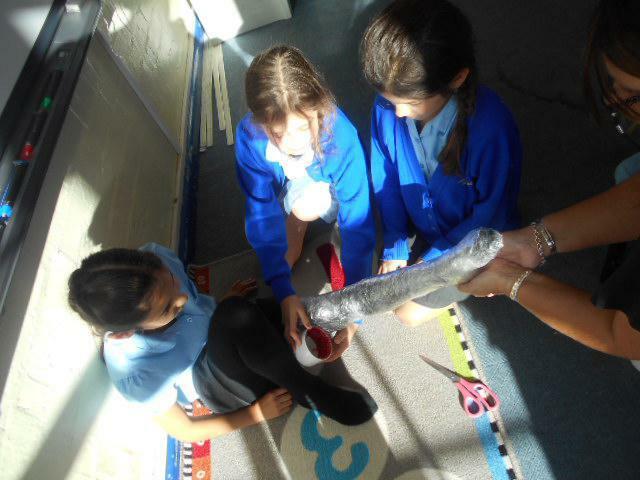 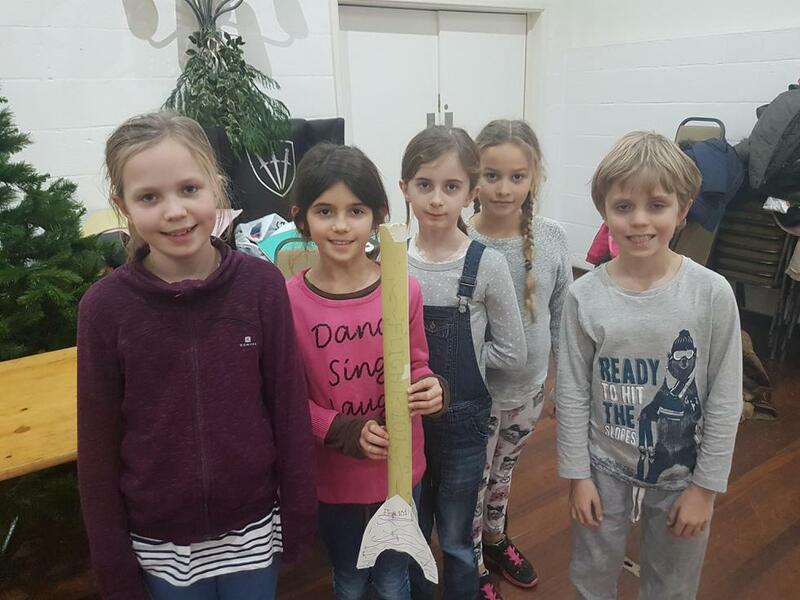 On our last day the children made their own rockets! 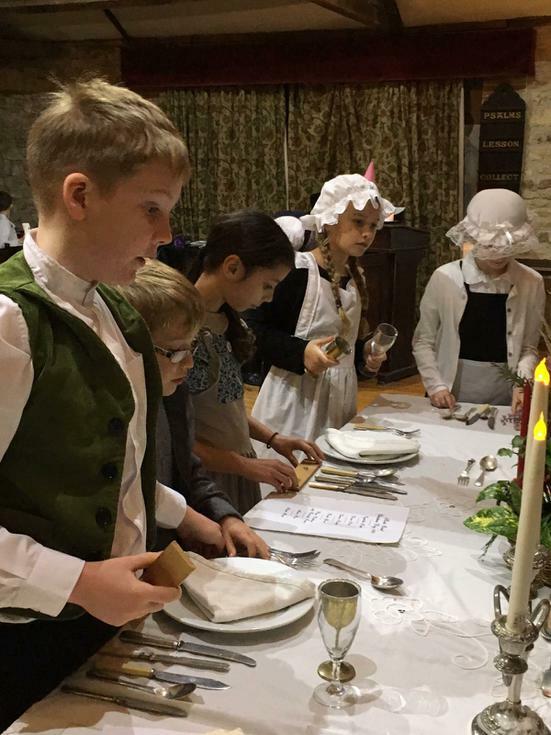 Not very Victorian but it ended the trip with a bang! 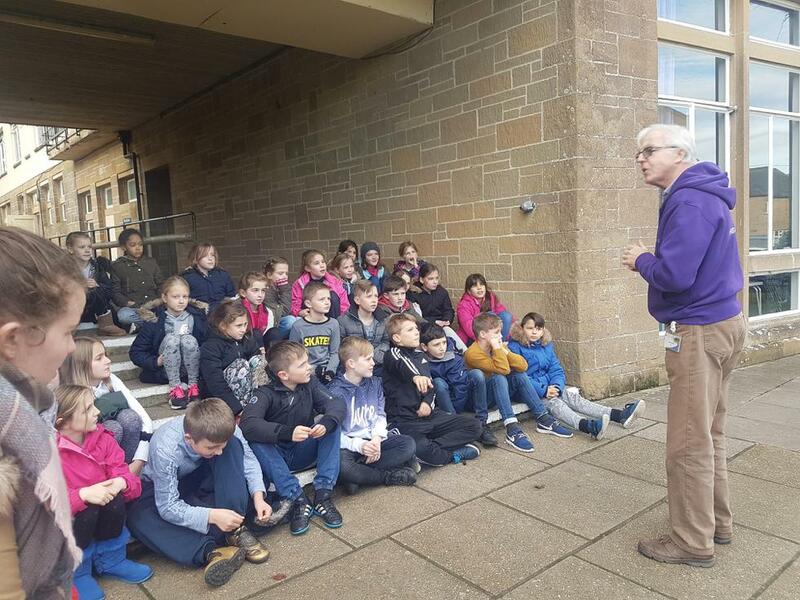 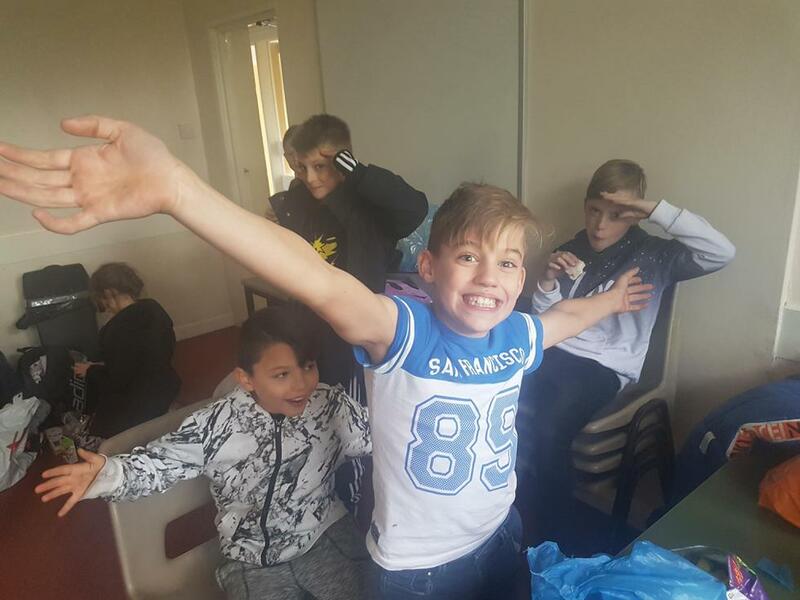 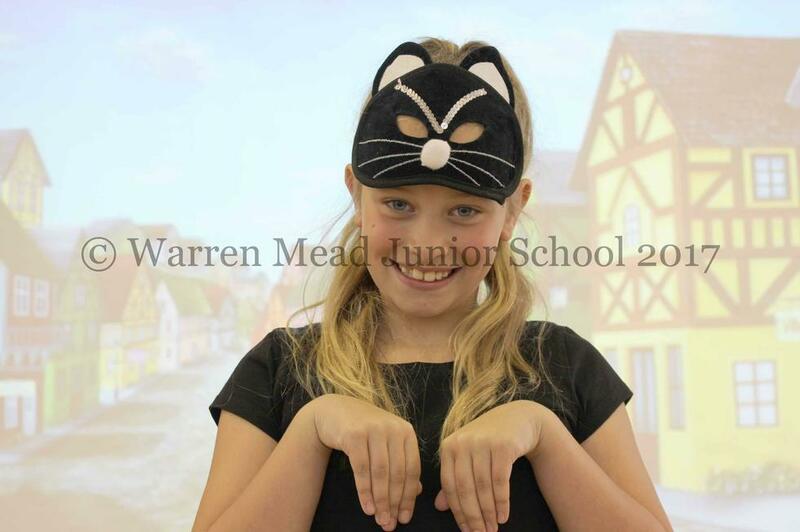 Such a wonderful week to end our first half term in Year 5! 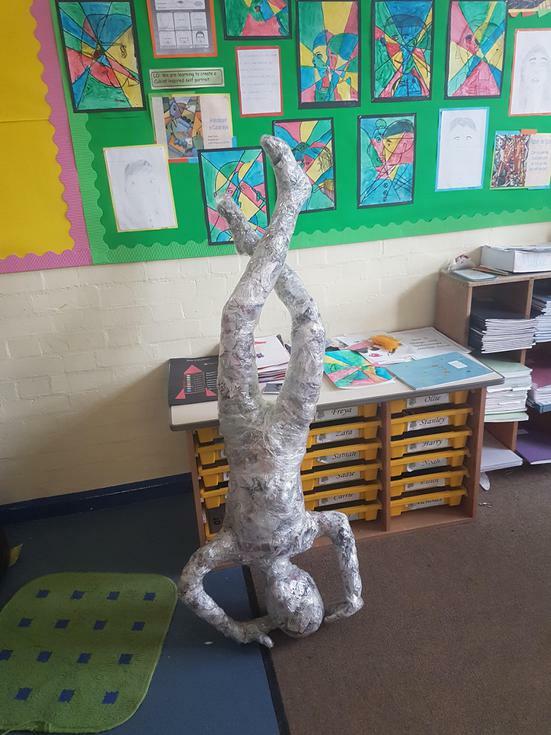 We've all been such fantastic, resilient artists and sculptors throughout the week and produced some stunning bits of artwork. 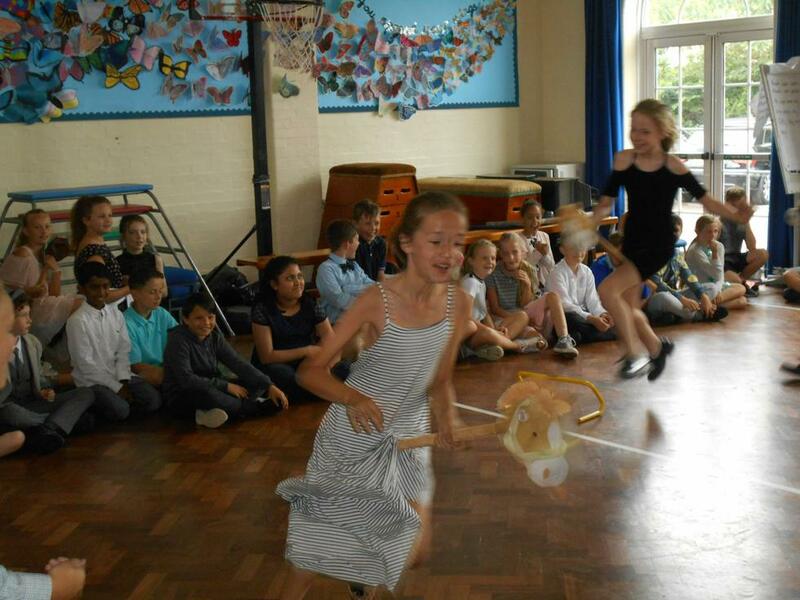 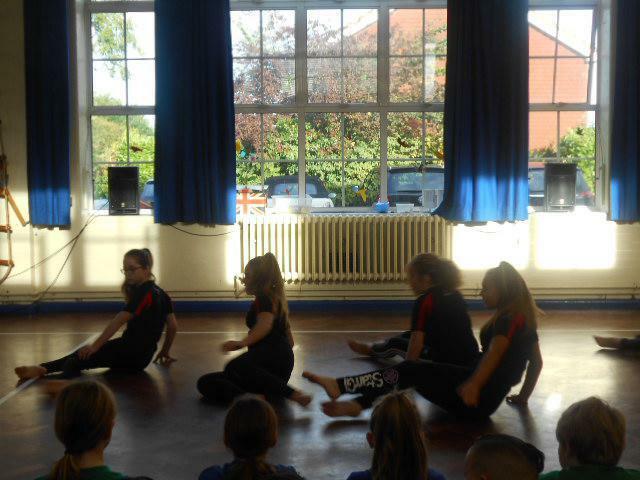 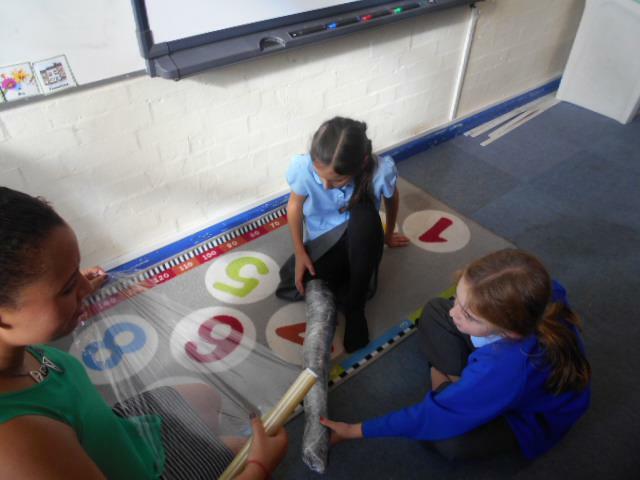 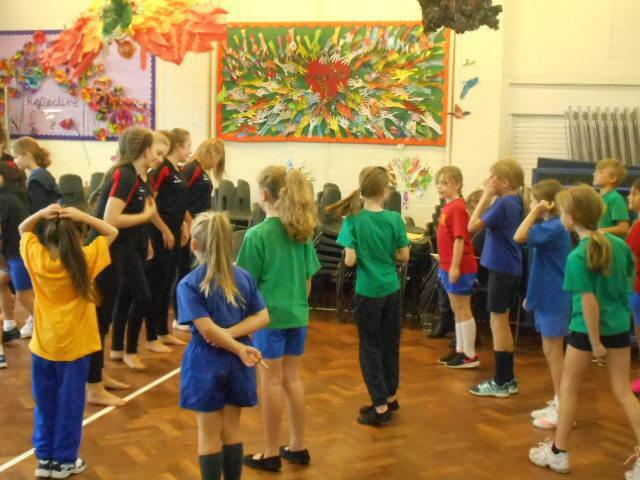 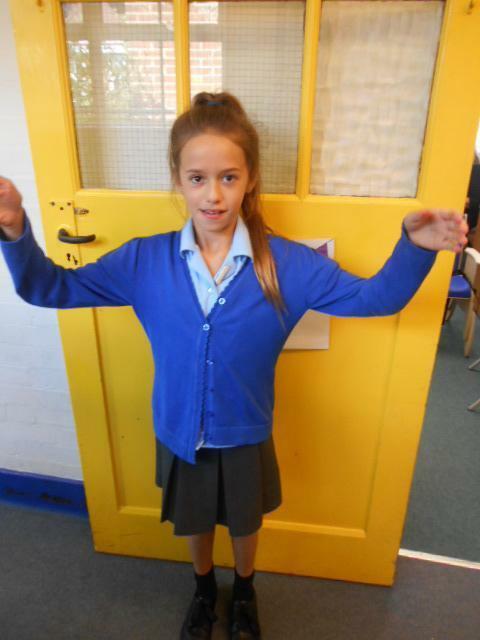 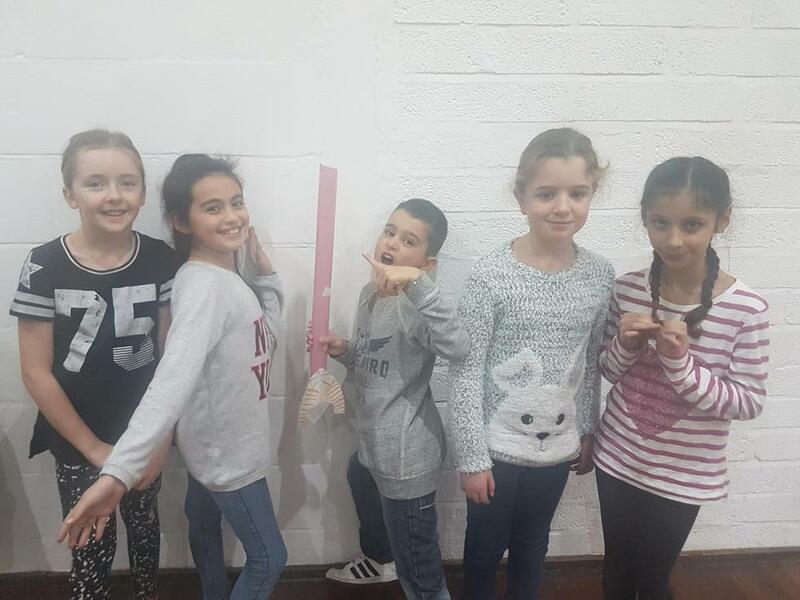 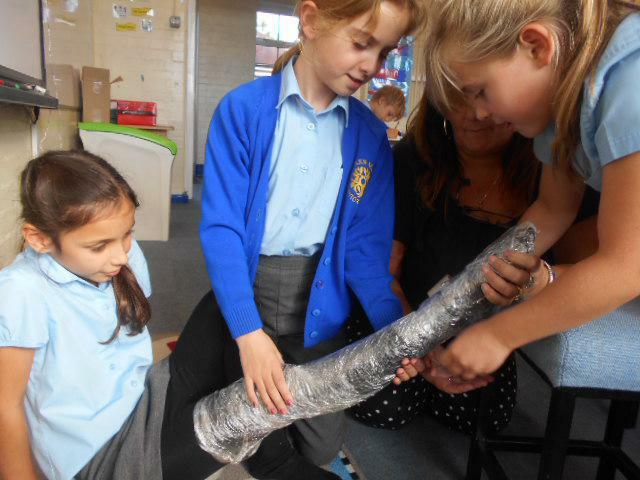 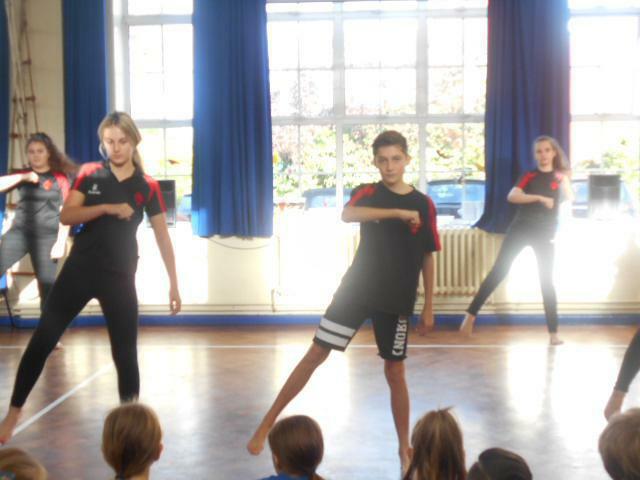 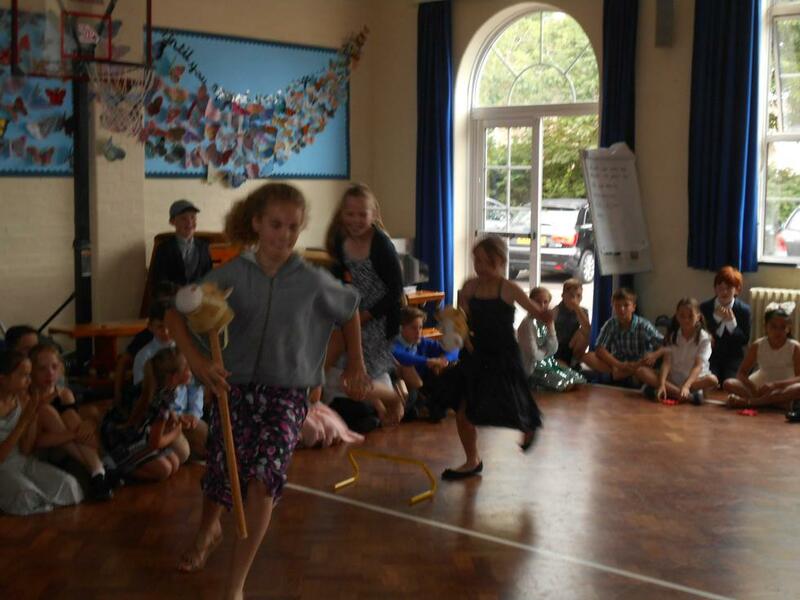 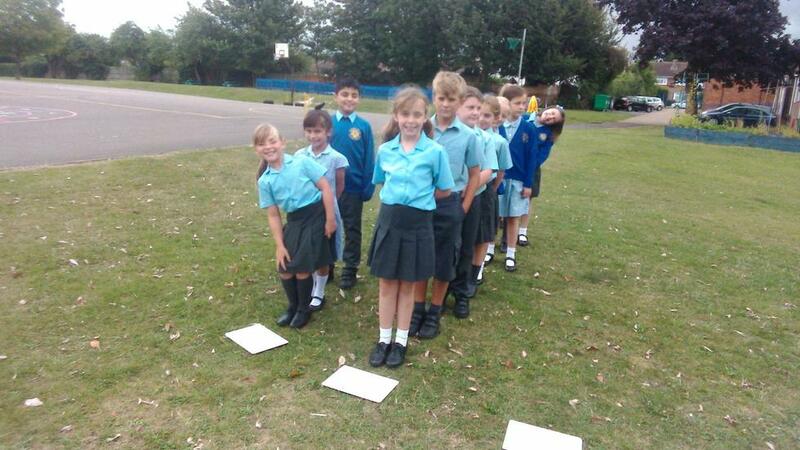 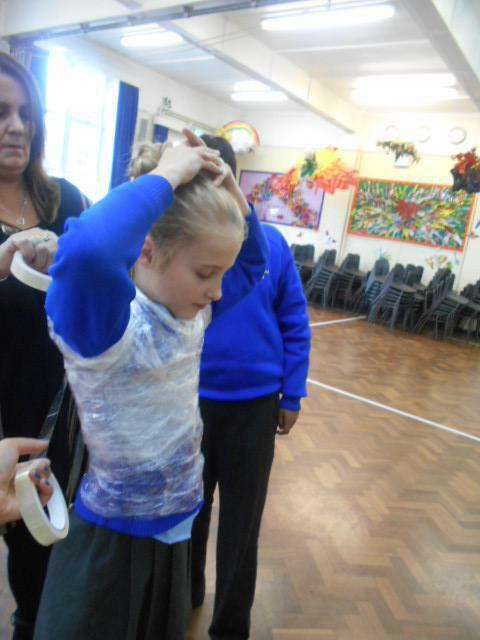 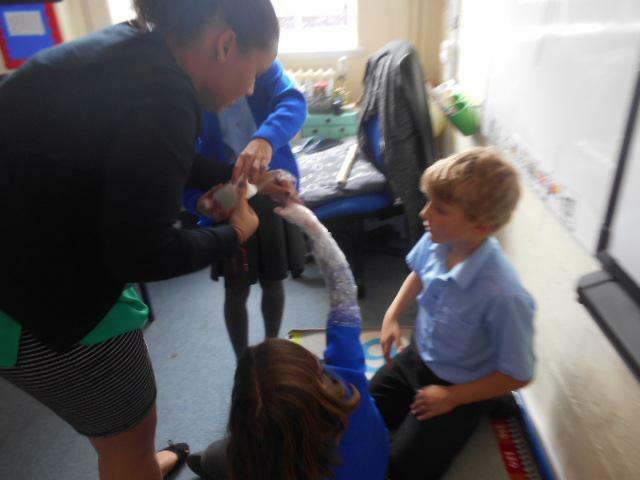 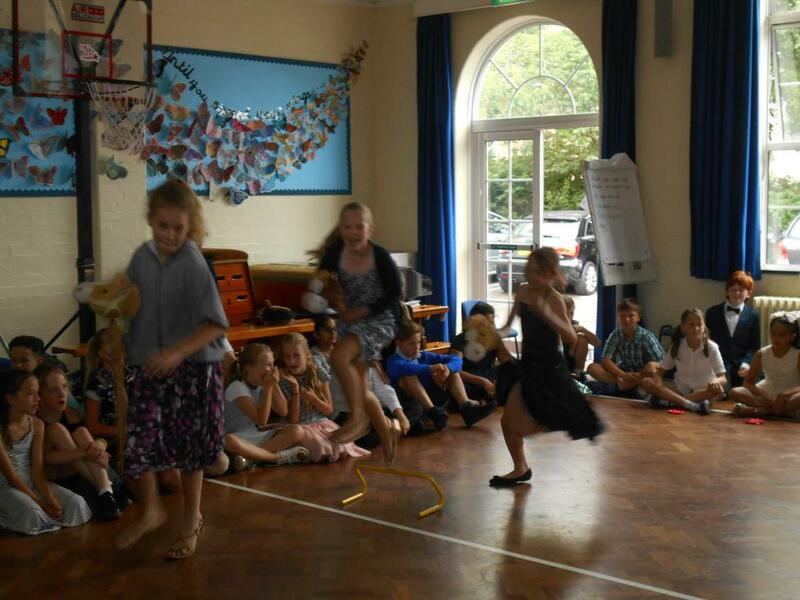 We have made some life sized sculptures of different dancers using just sellotape, newspaper and cling film. 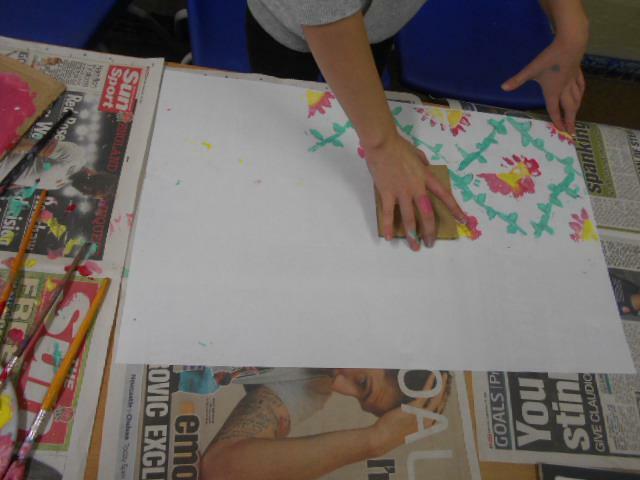 We've experimented with all kinds of different mediums to suss out which one would best fit the piece we are trying to create. 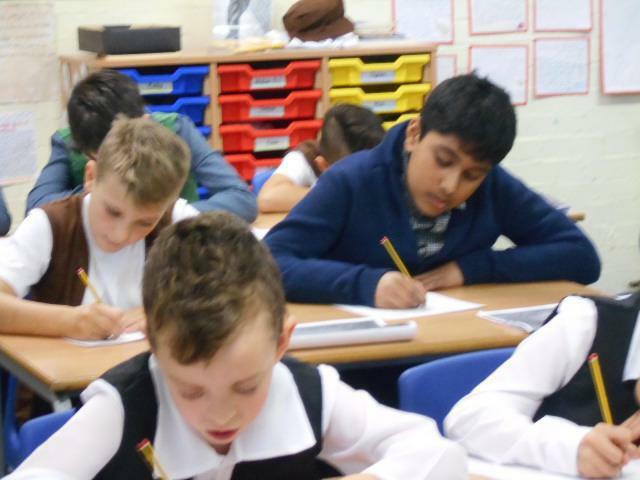 And lastly, we've use our learning of the proportions of the face to create a proportional sketch of our learning partners. 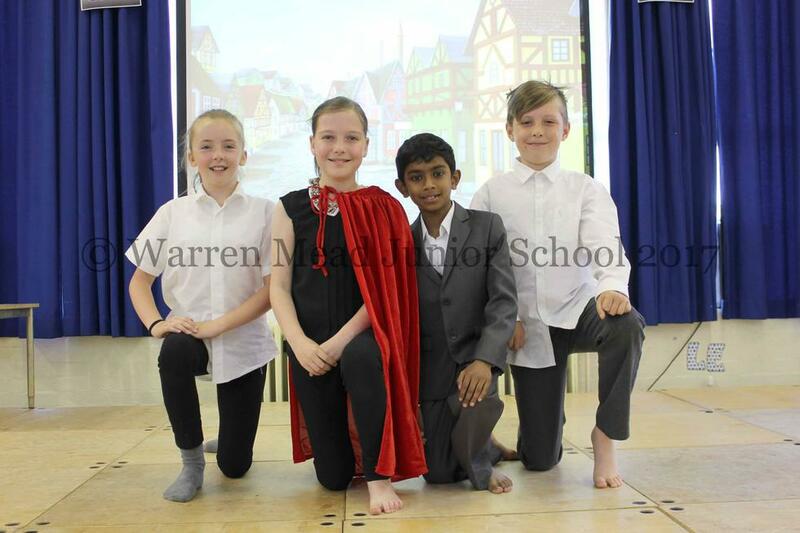 All in all, a brilliant week. 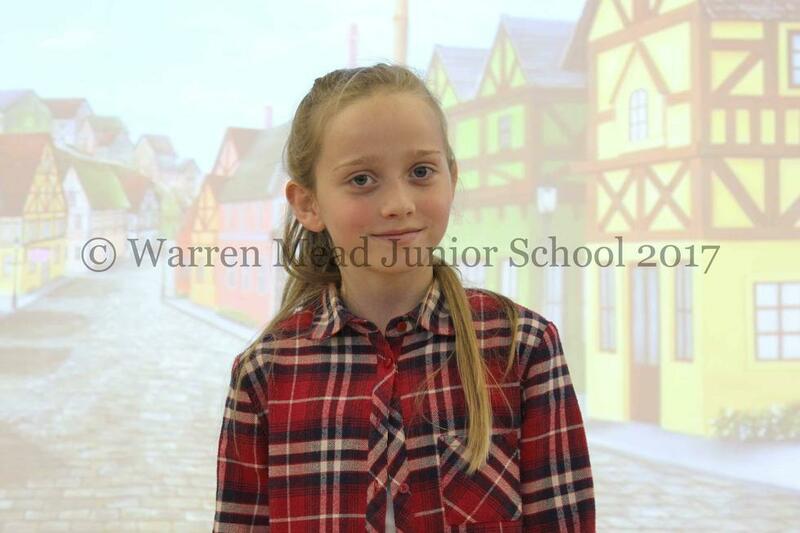 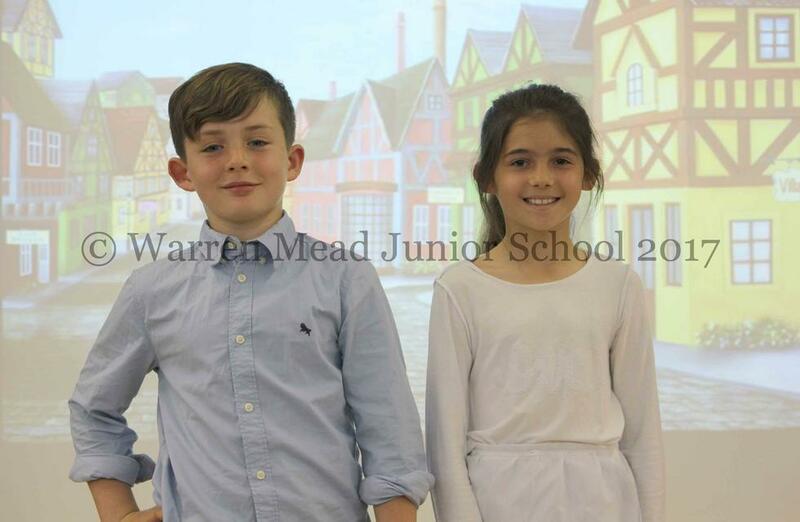 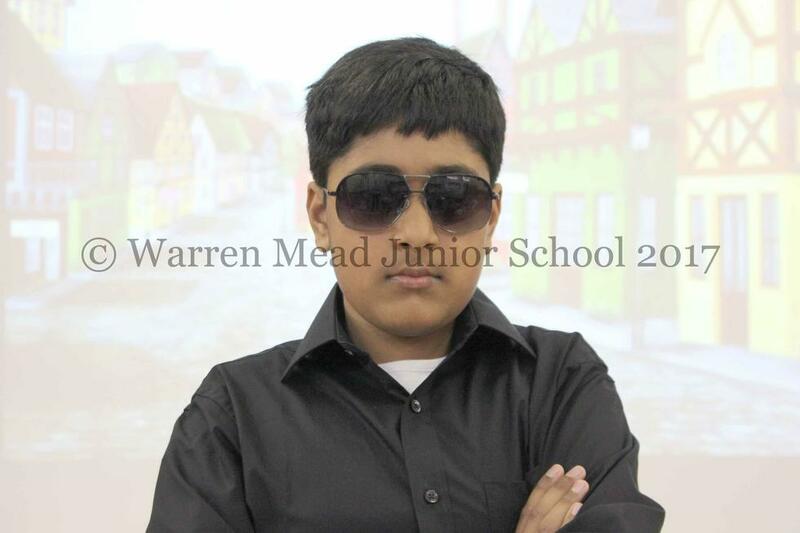 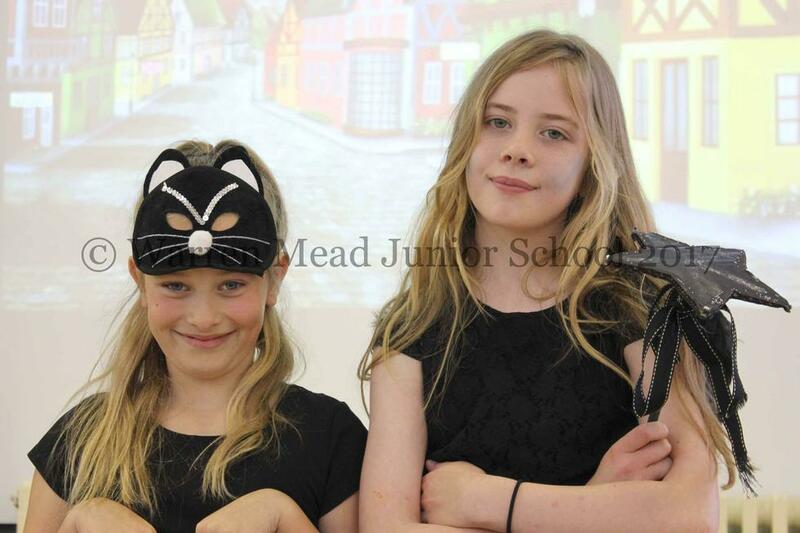 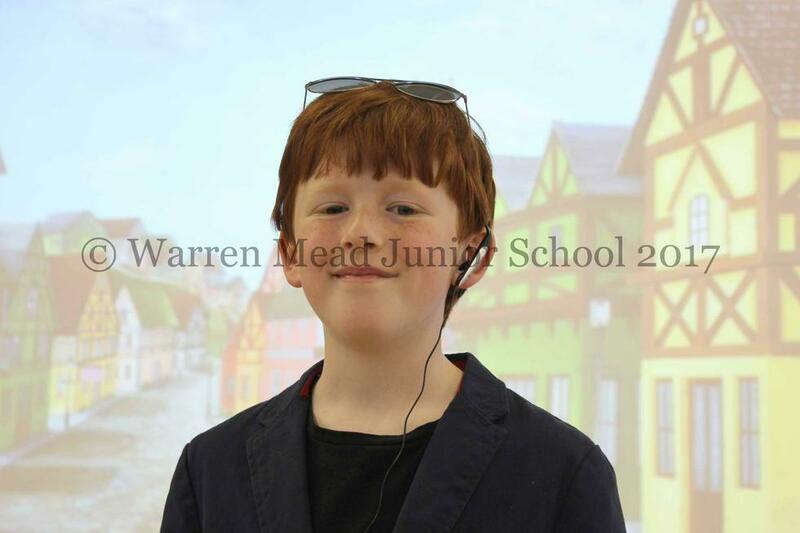 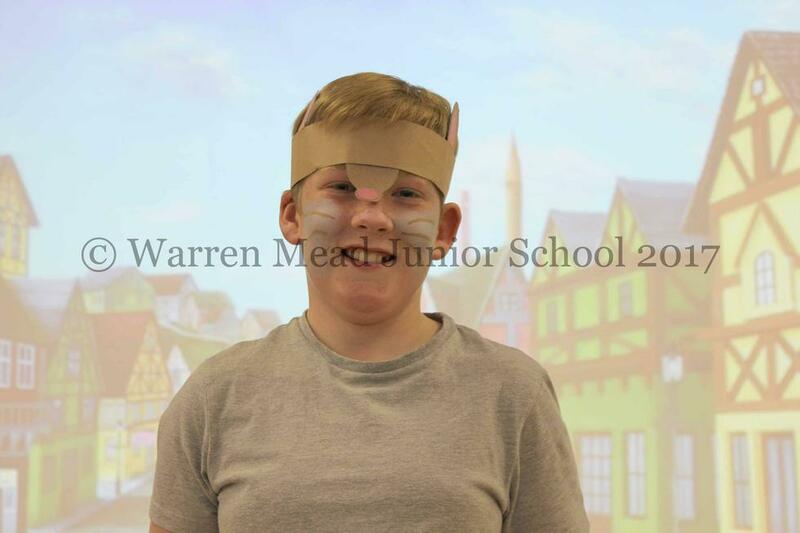 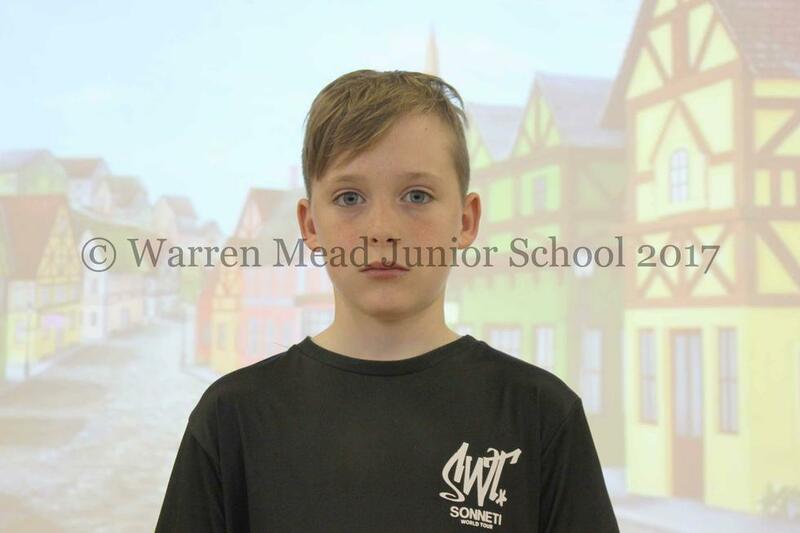 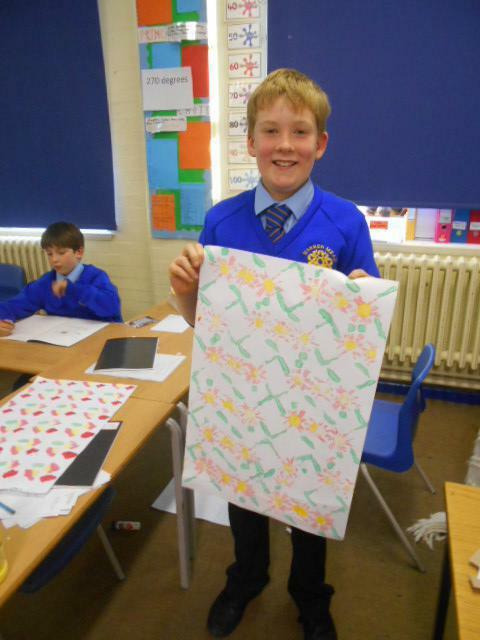 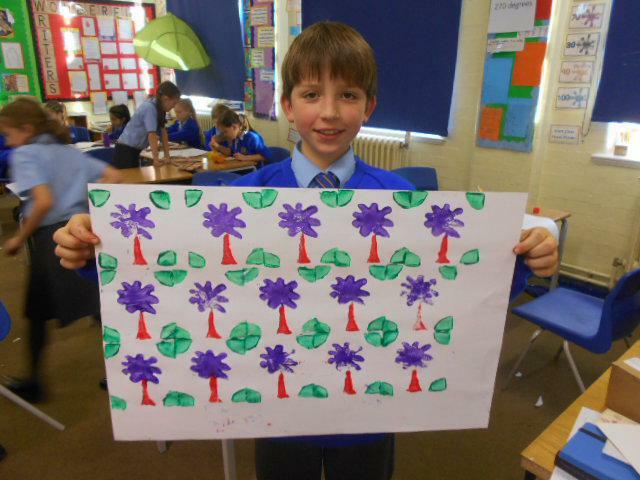 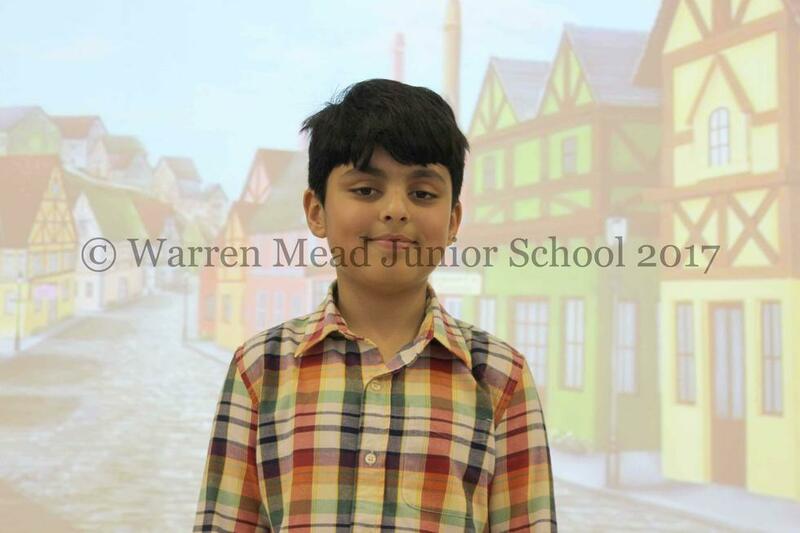 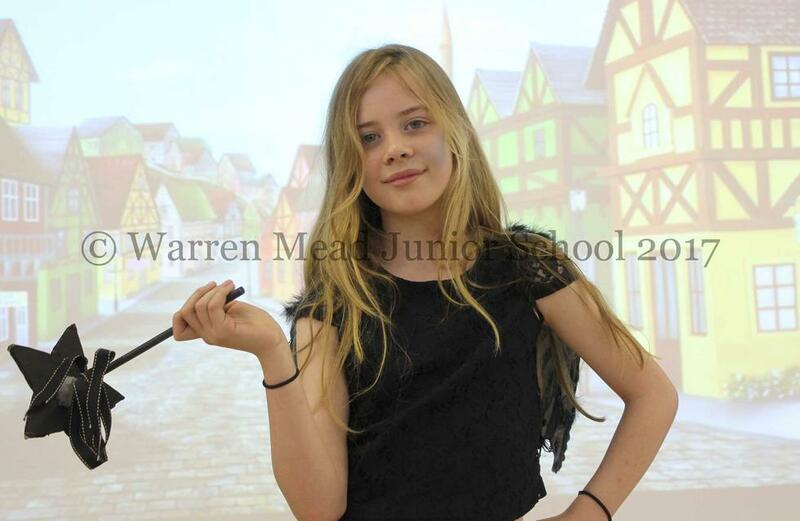 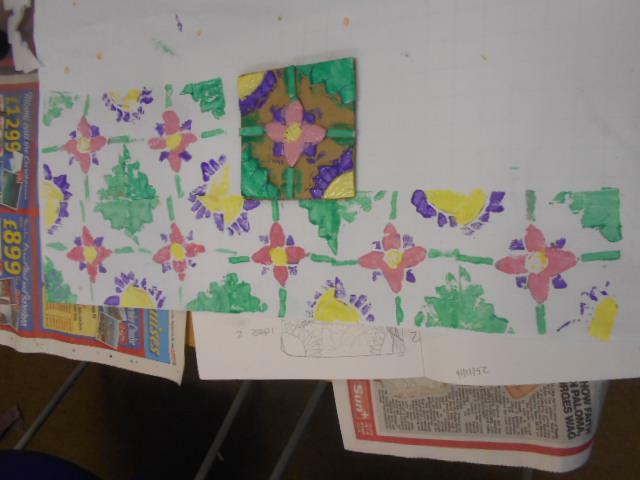 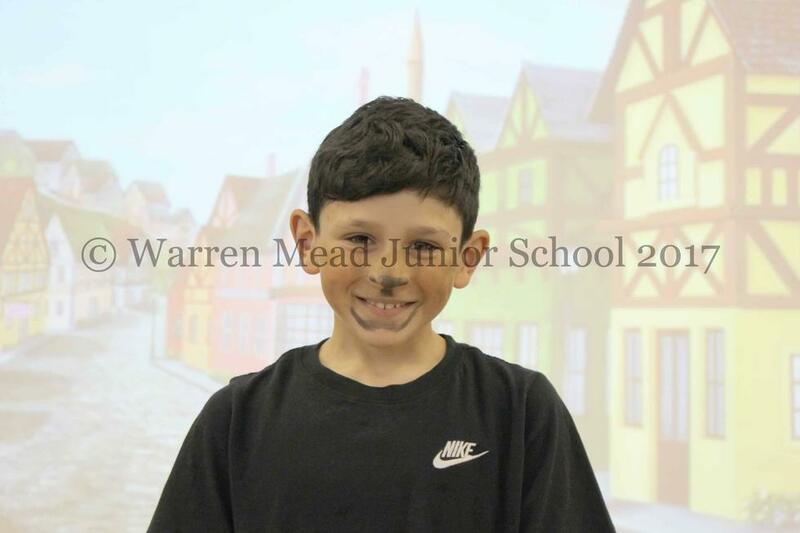 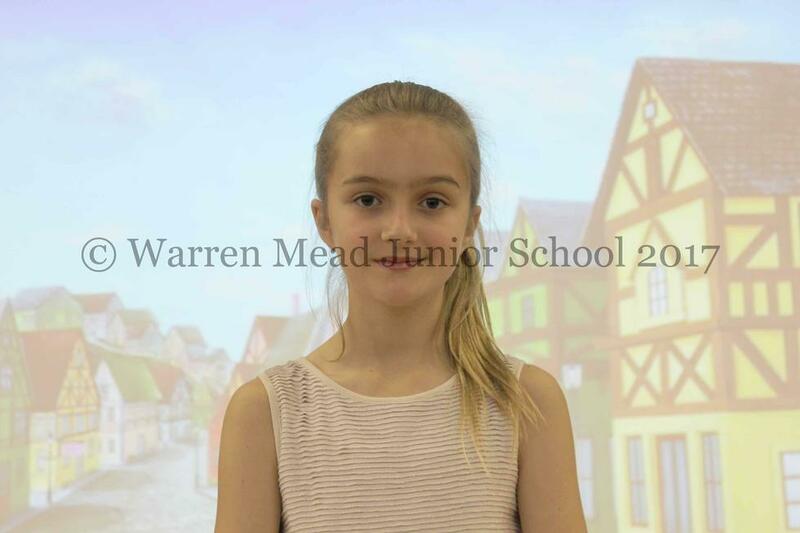 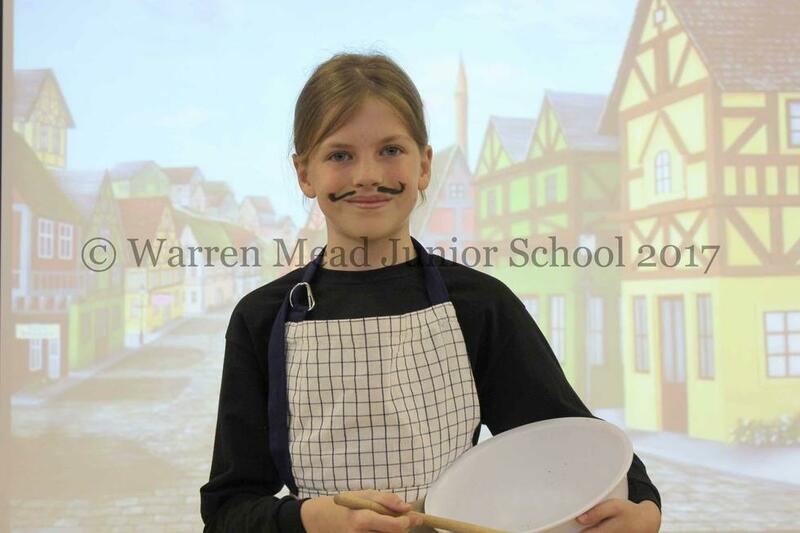 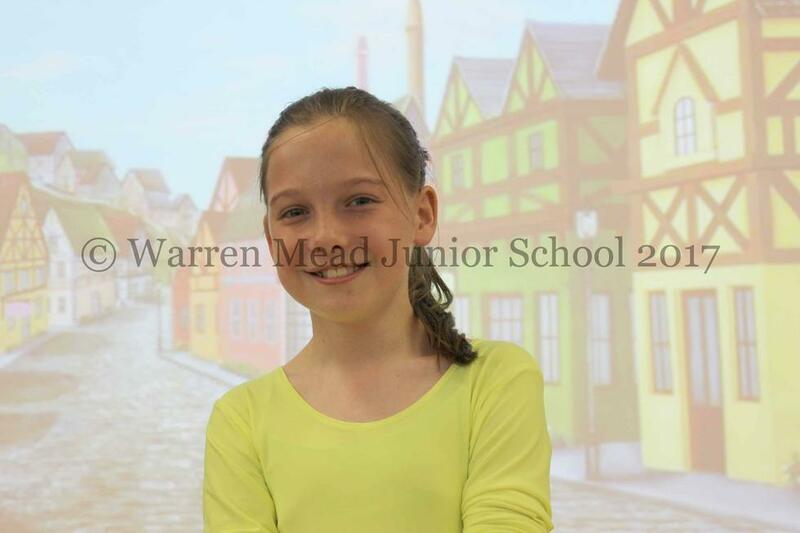 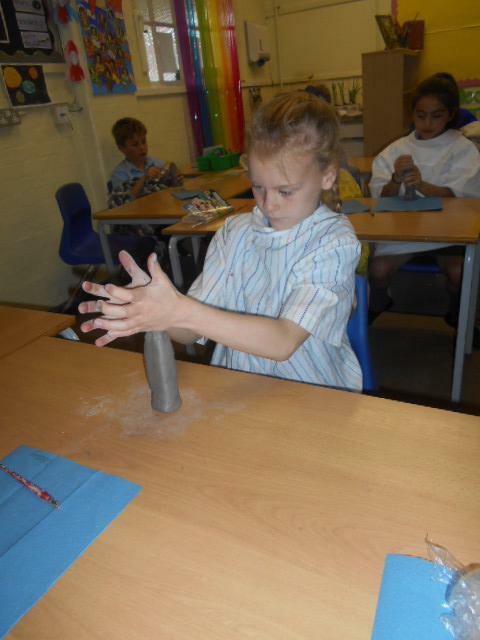 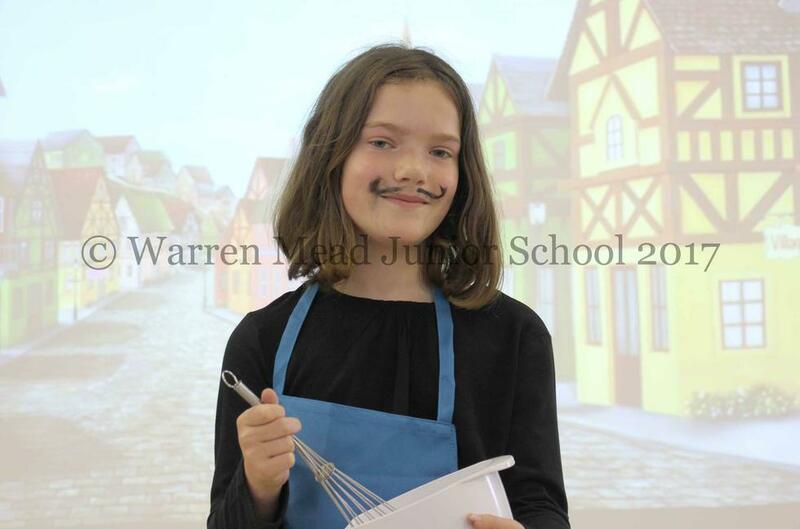 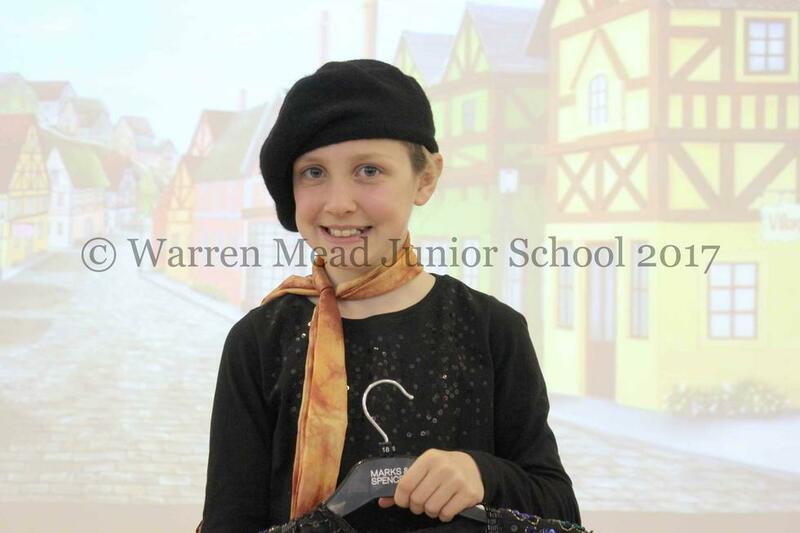 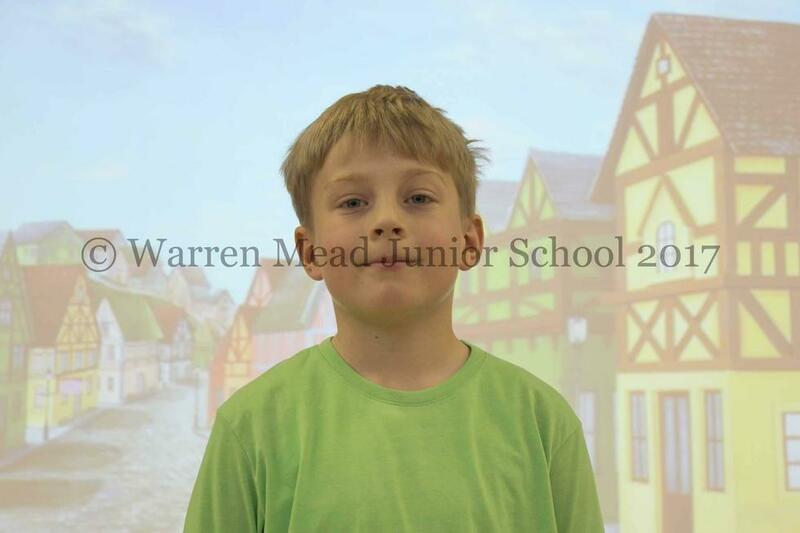 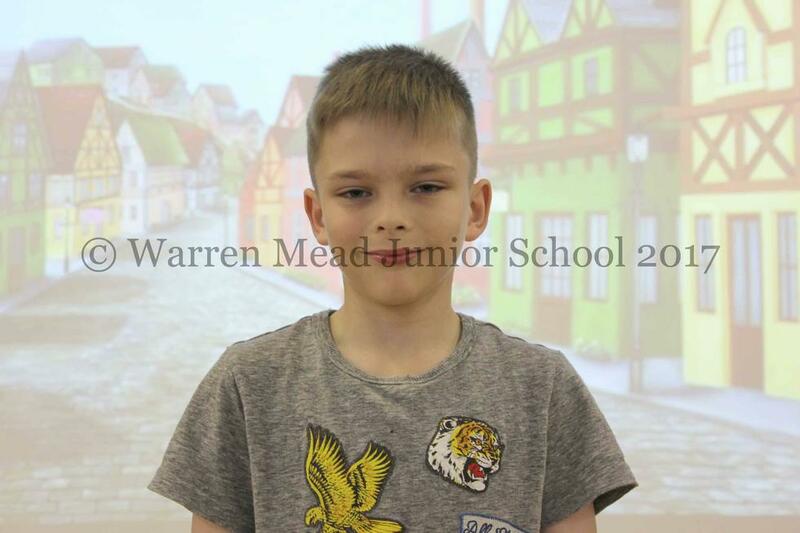 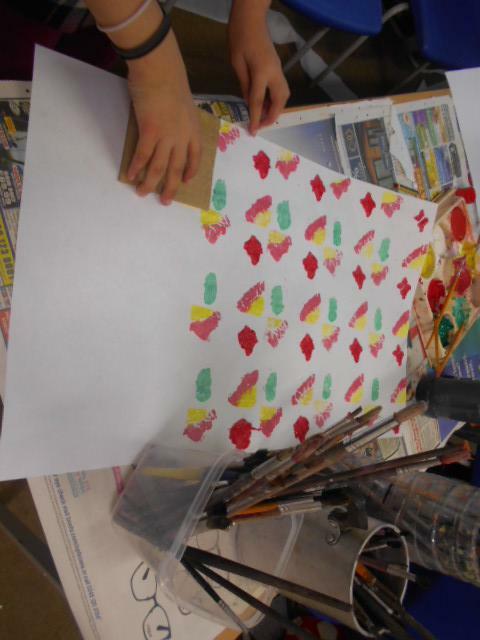 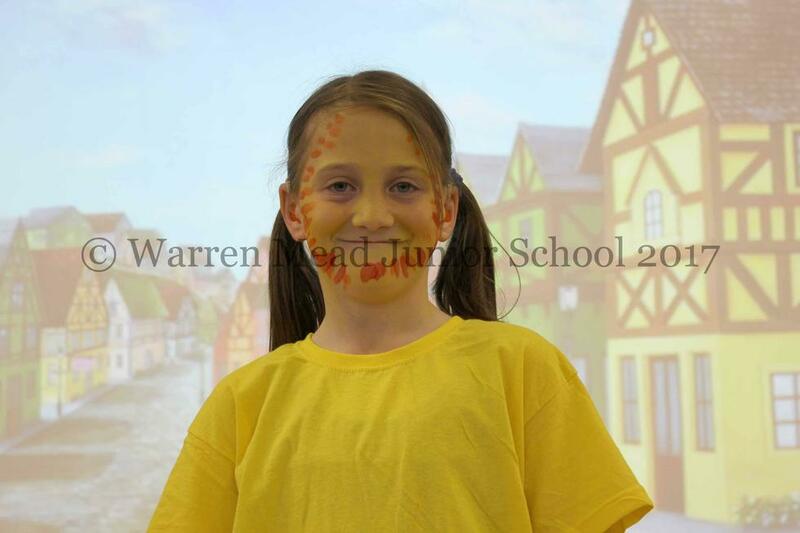 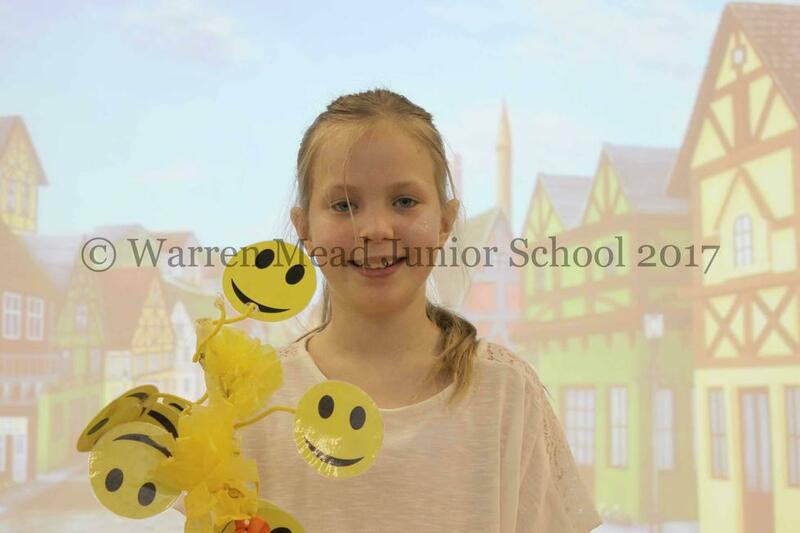 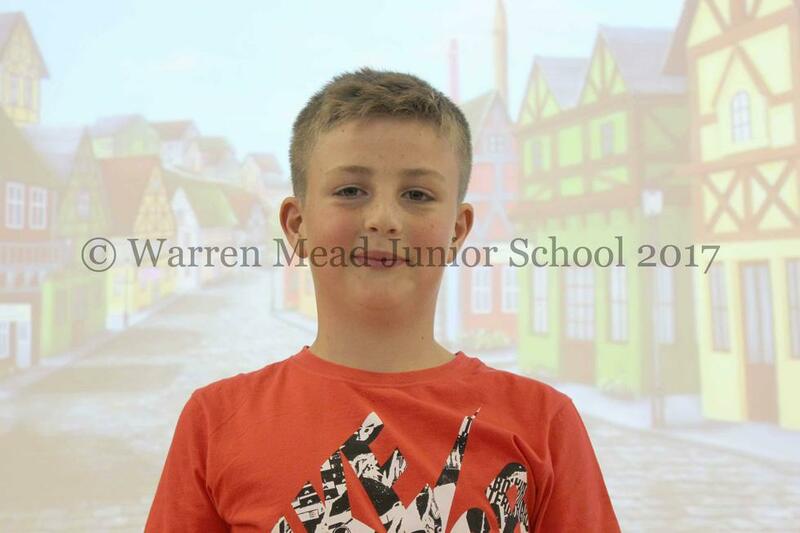 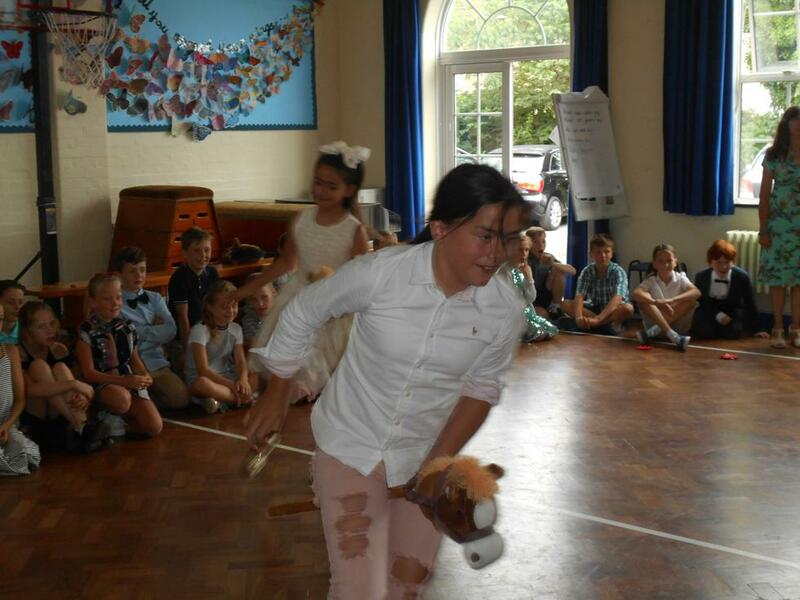 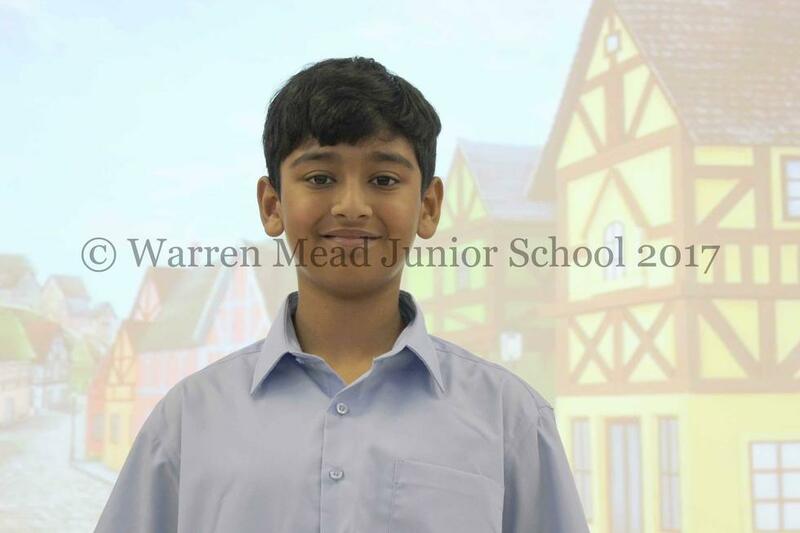 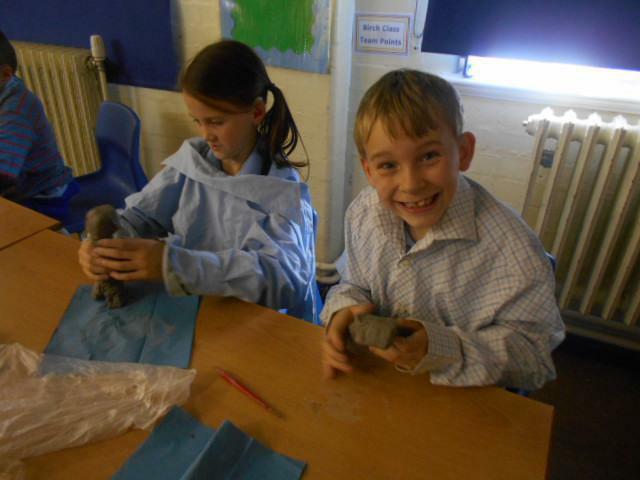 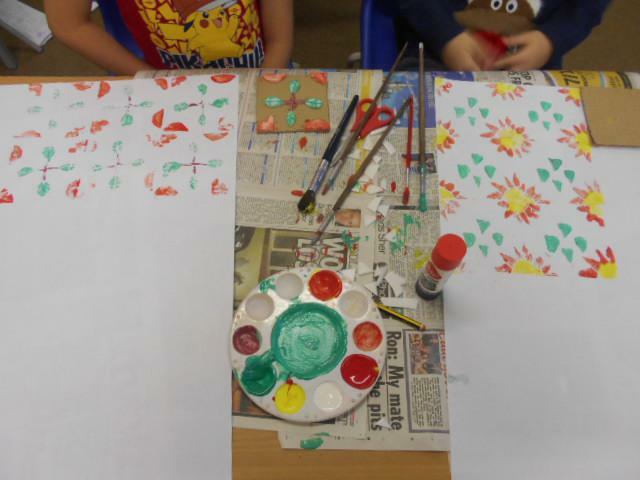 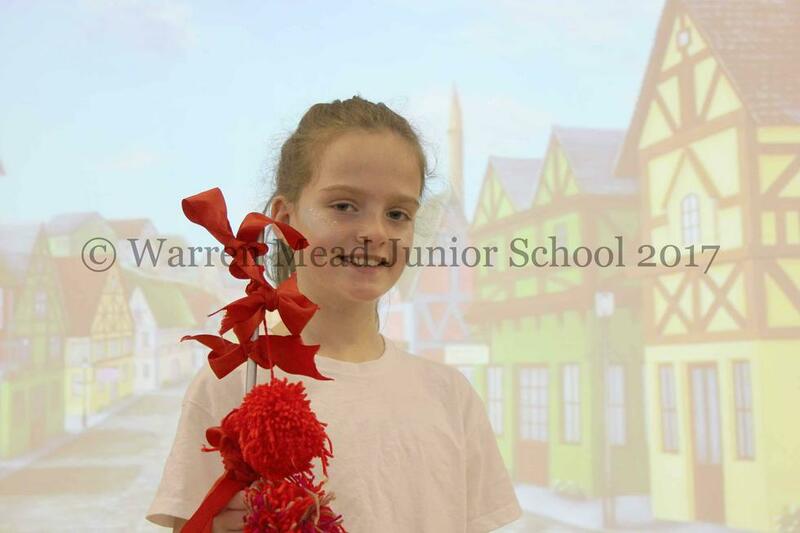 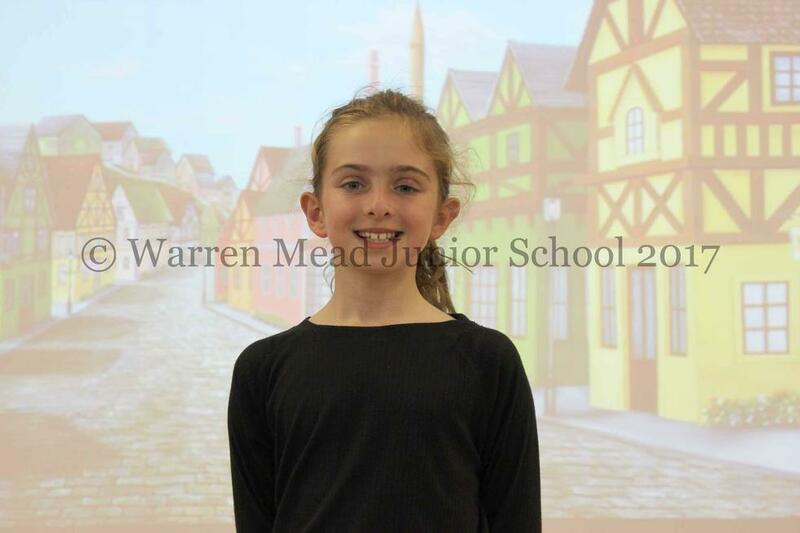 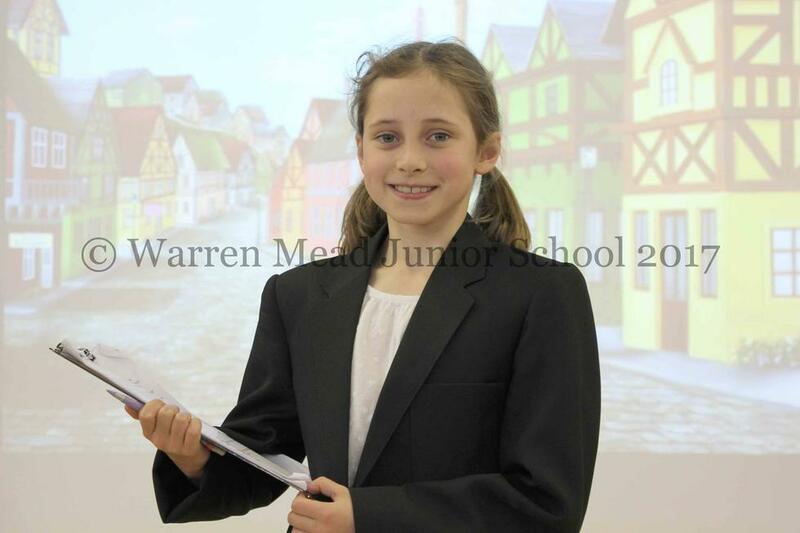 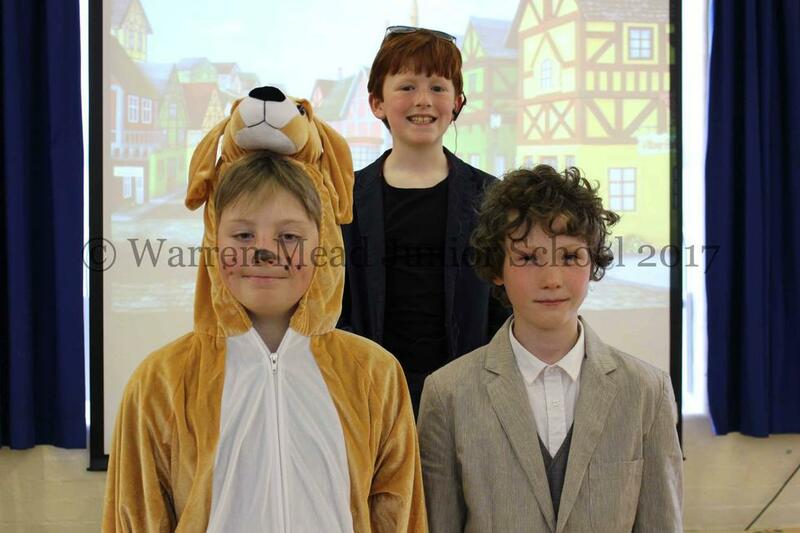 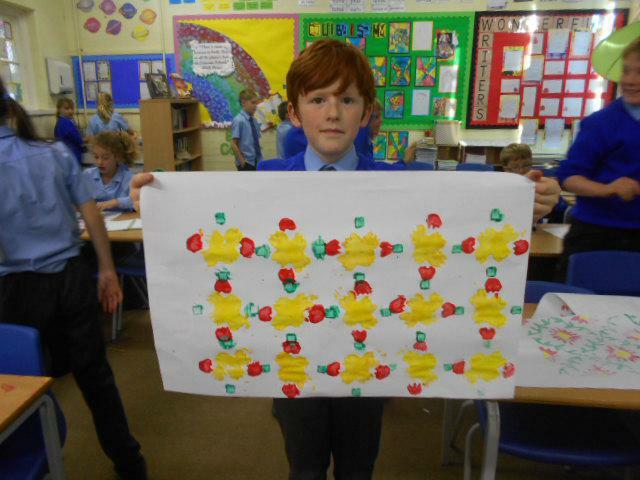 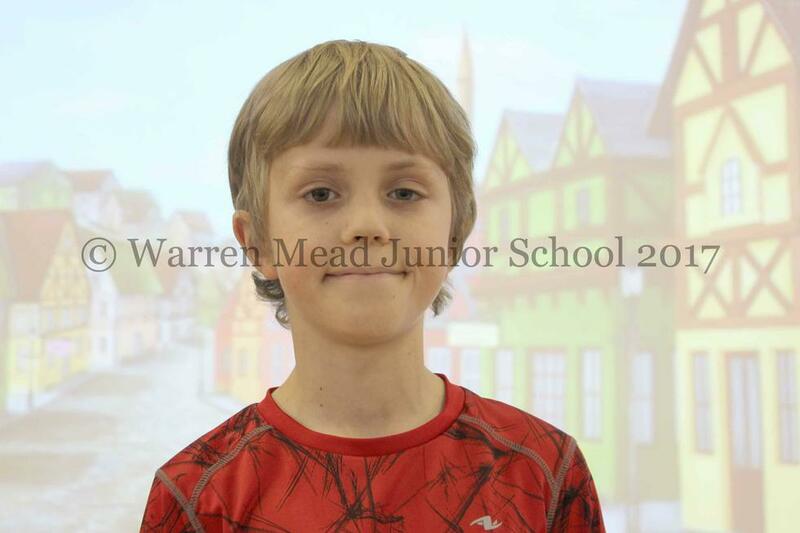 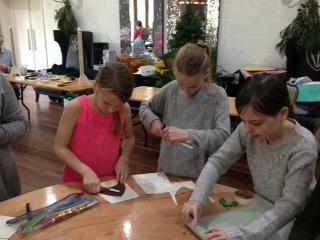 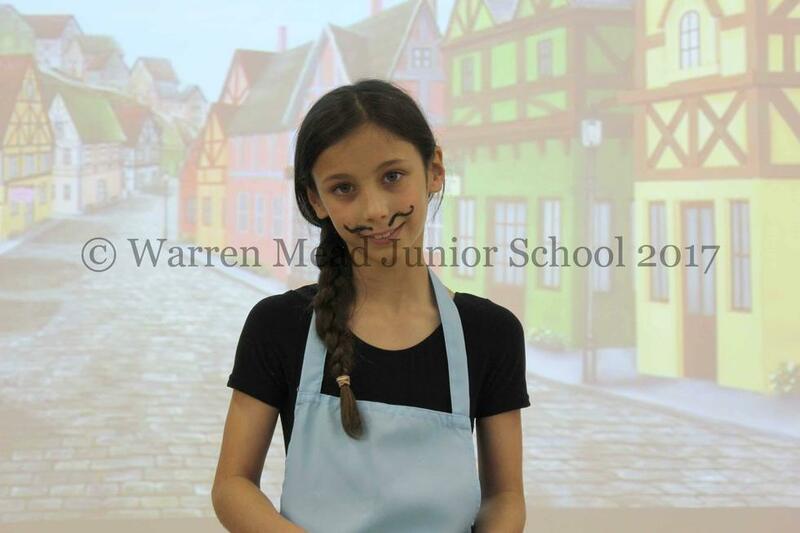 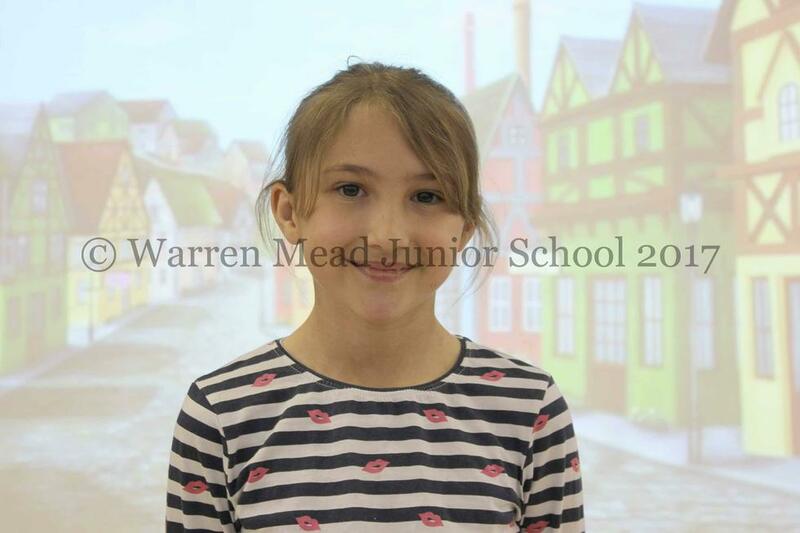 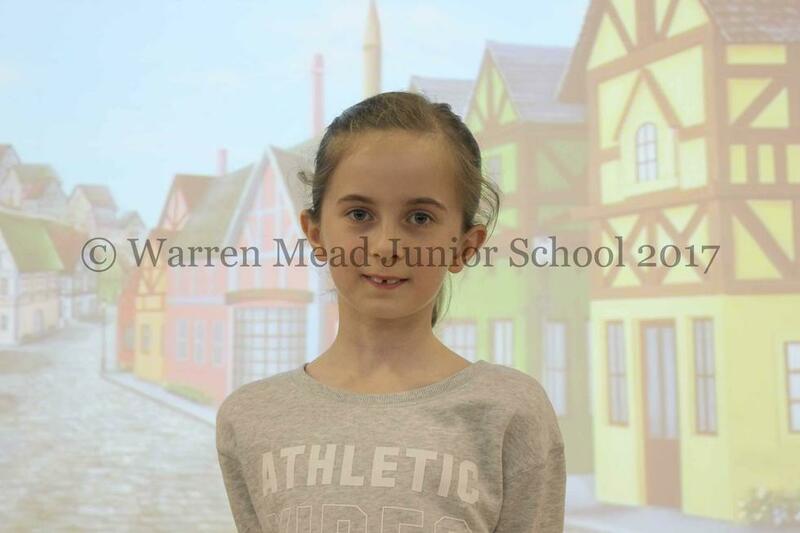 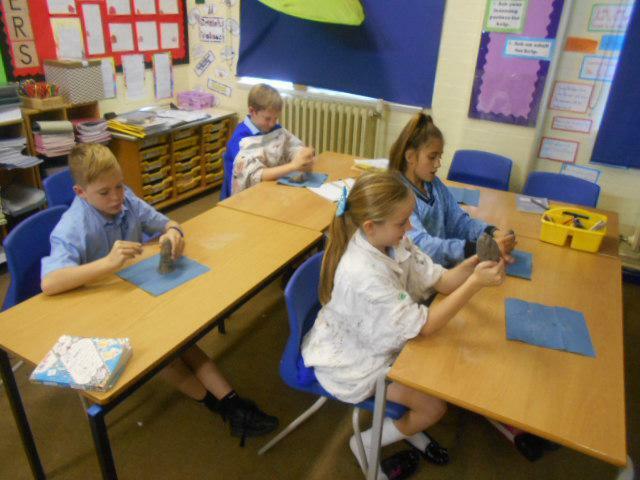 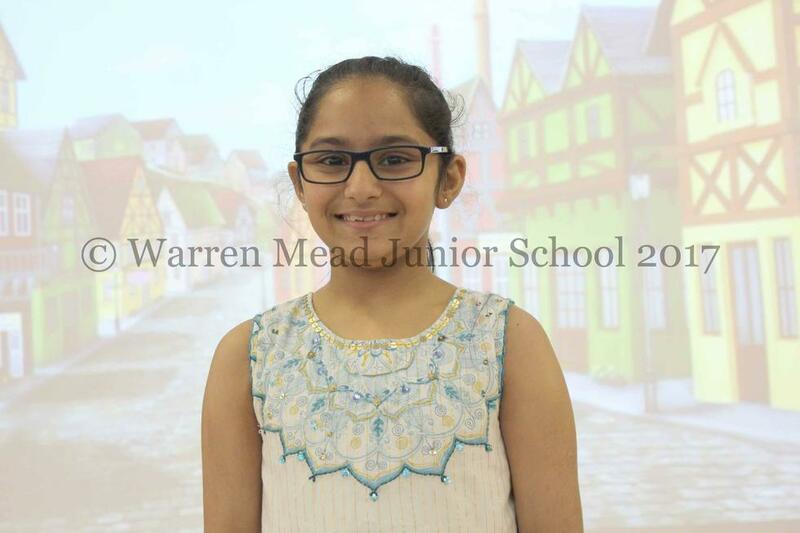 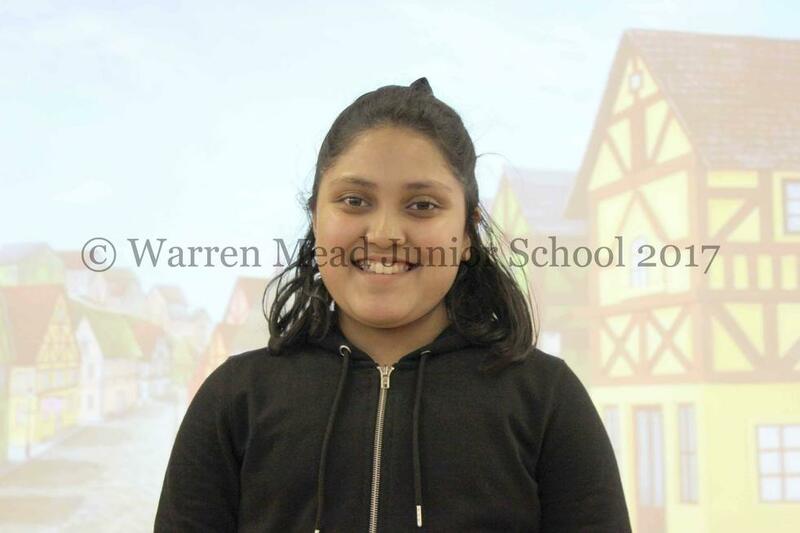 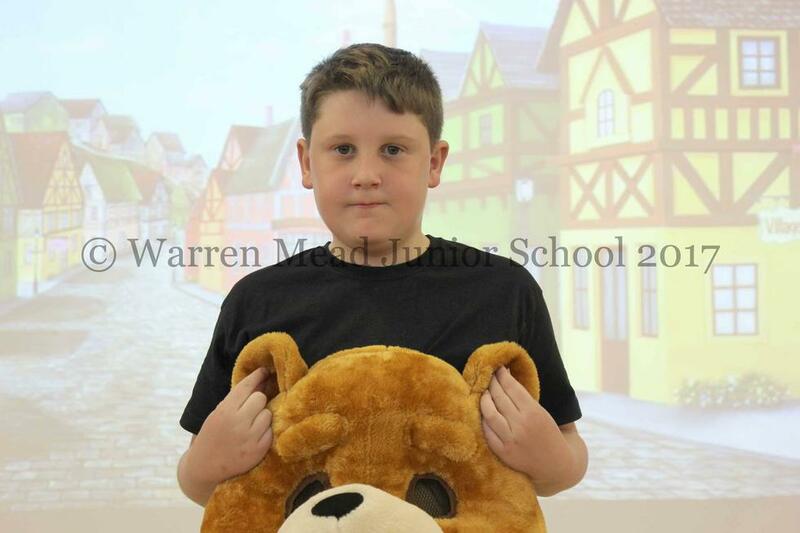 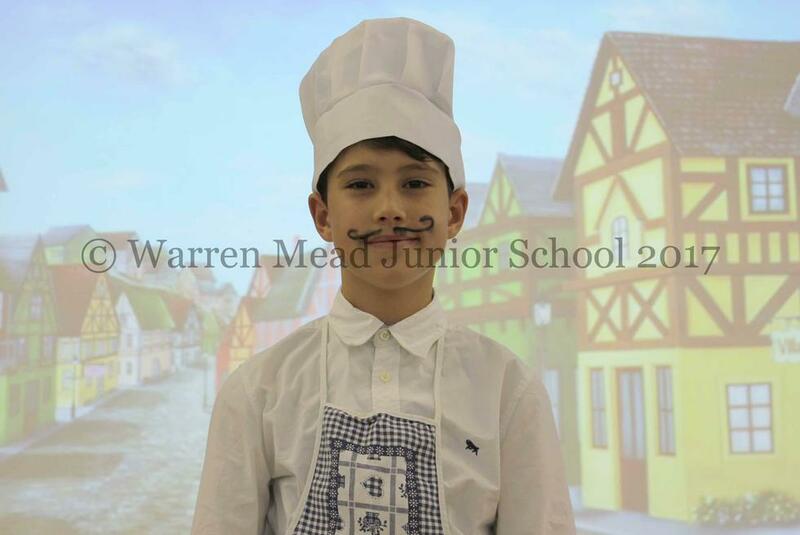 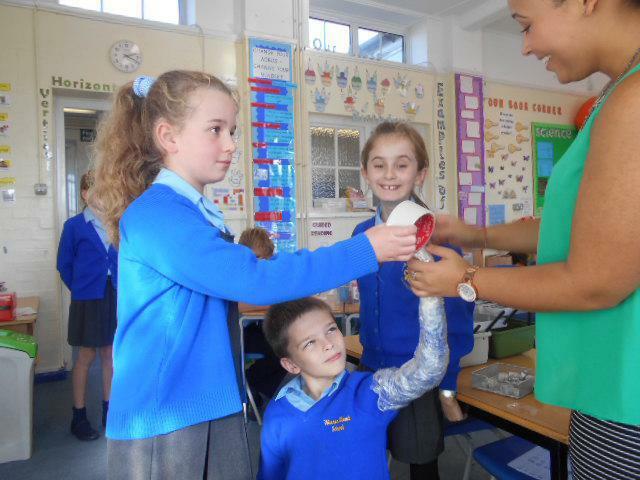 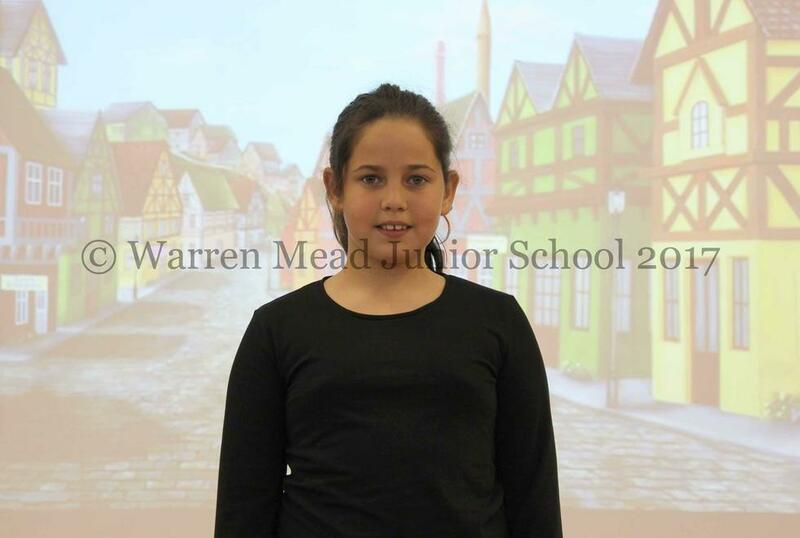 Have a look at all the pictures of Art week below. 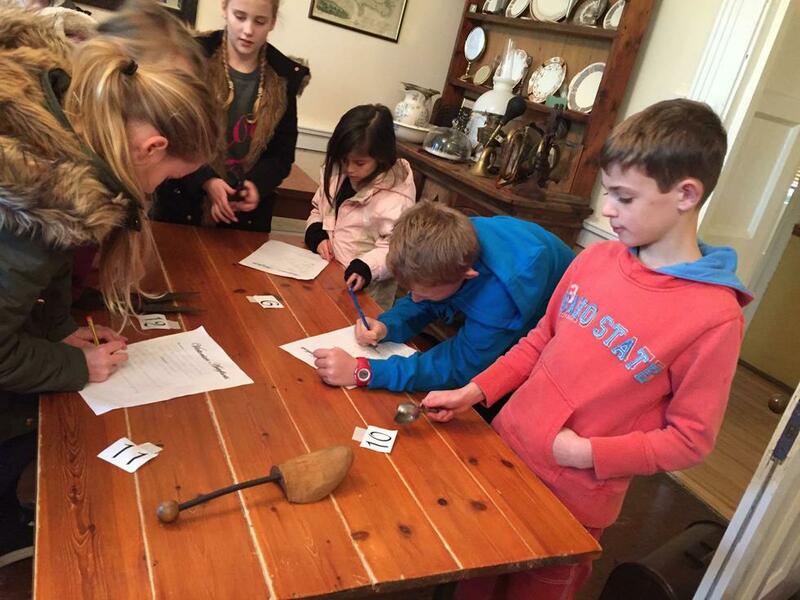 A Kit list for our trip to Hooke court in December. 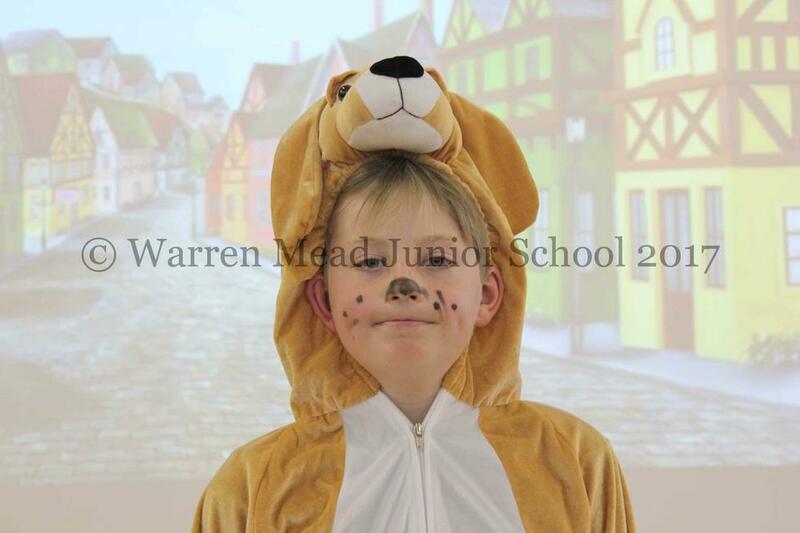 Get those costumes ready! 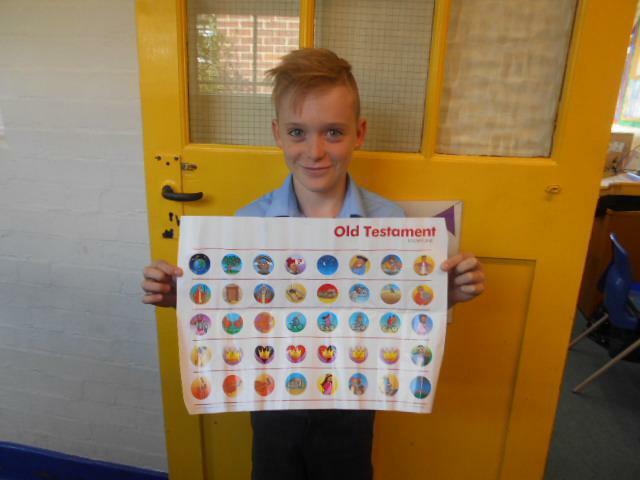 As we come to the end of our OT mini learning with Cathy, we're reflecting on the past 6 weeks of hearing stories and exploring the Old Testament complete with actions. 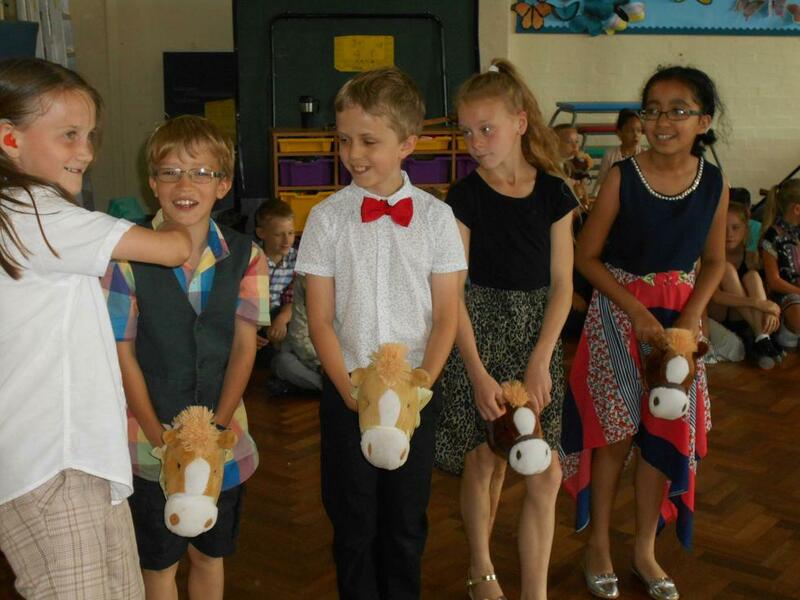 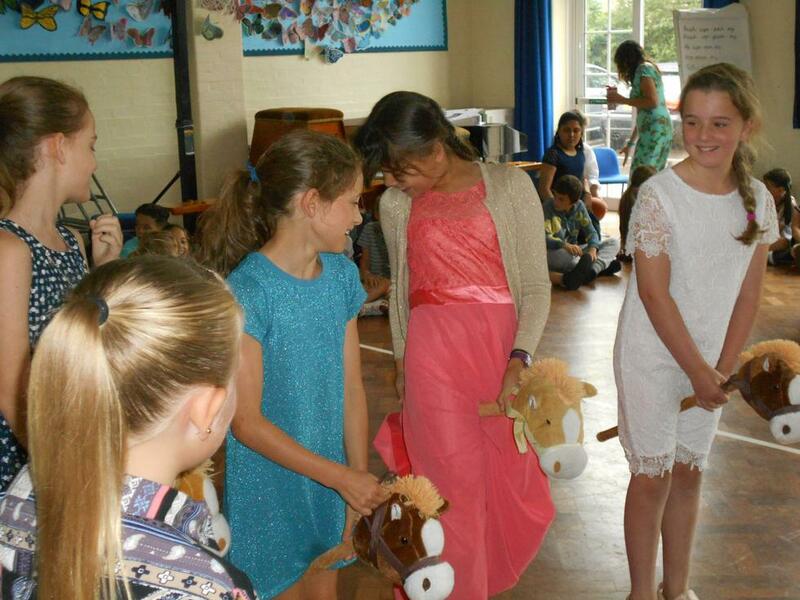 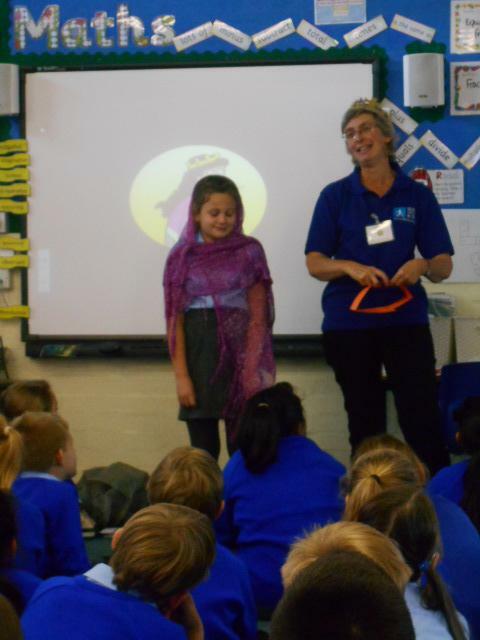 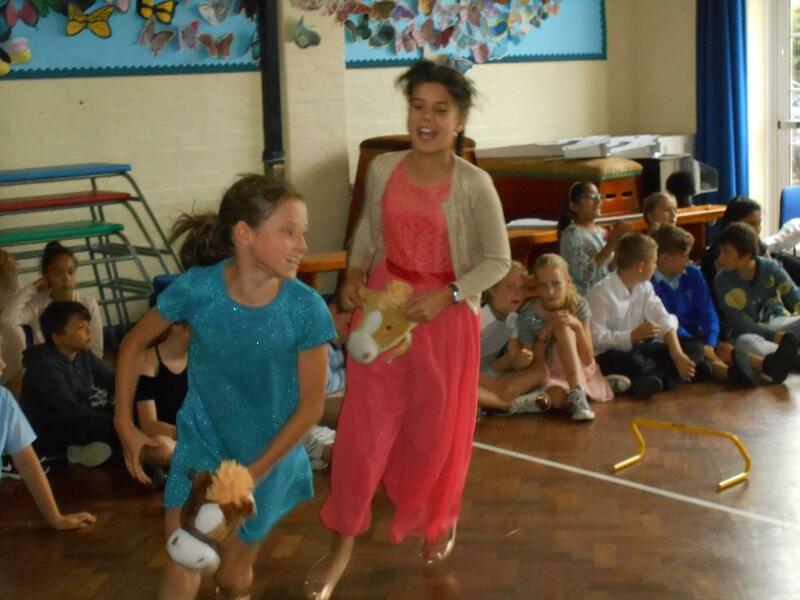 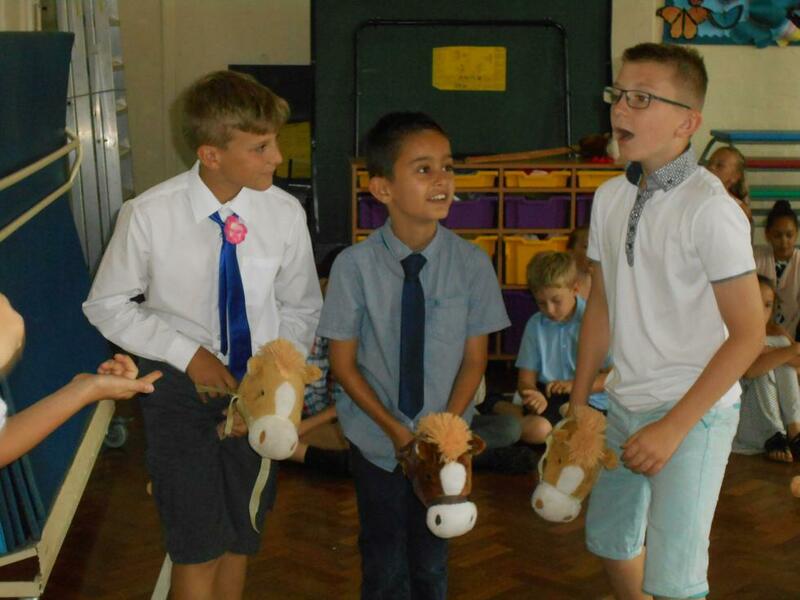 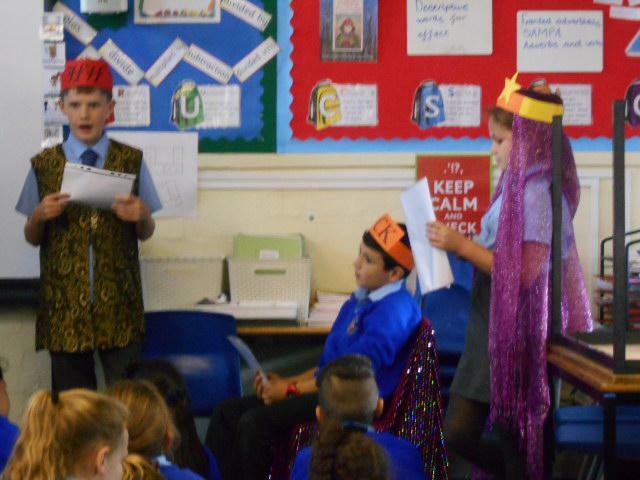 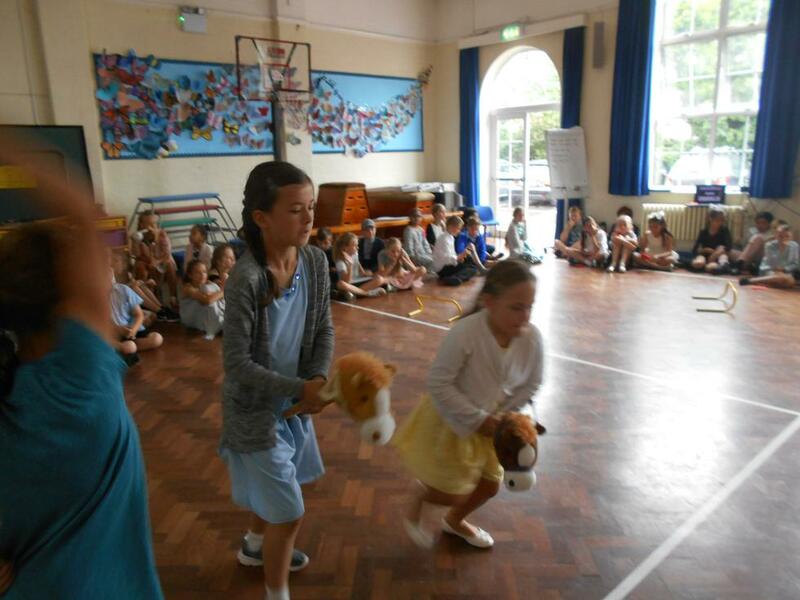 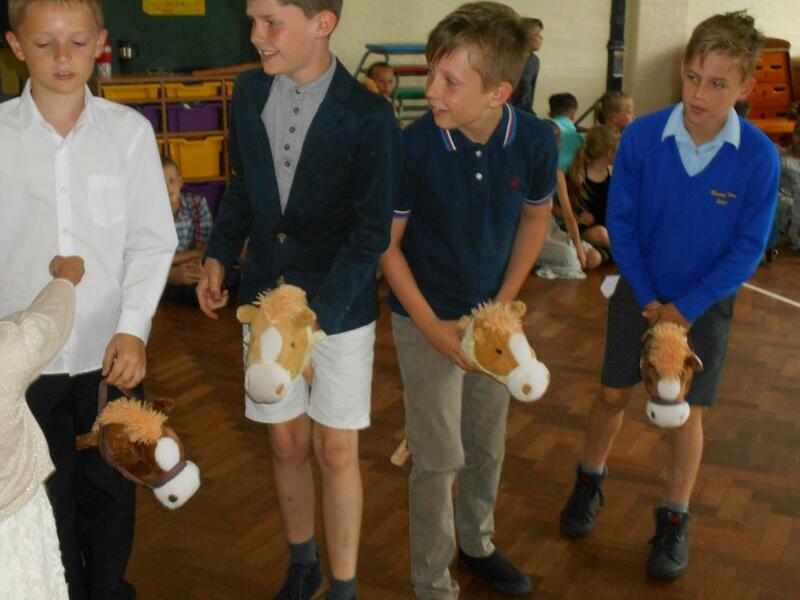 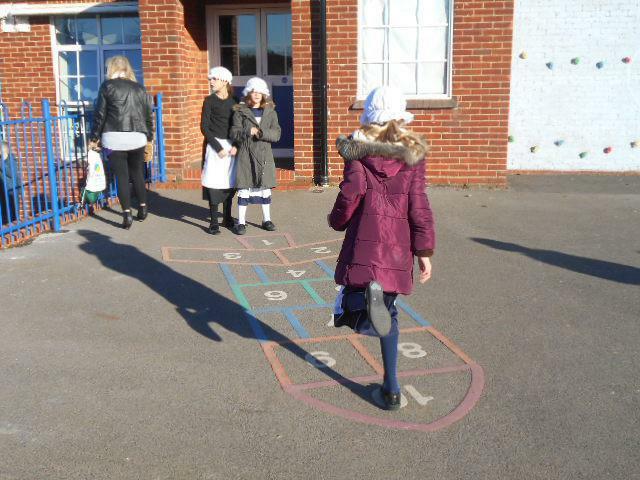 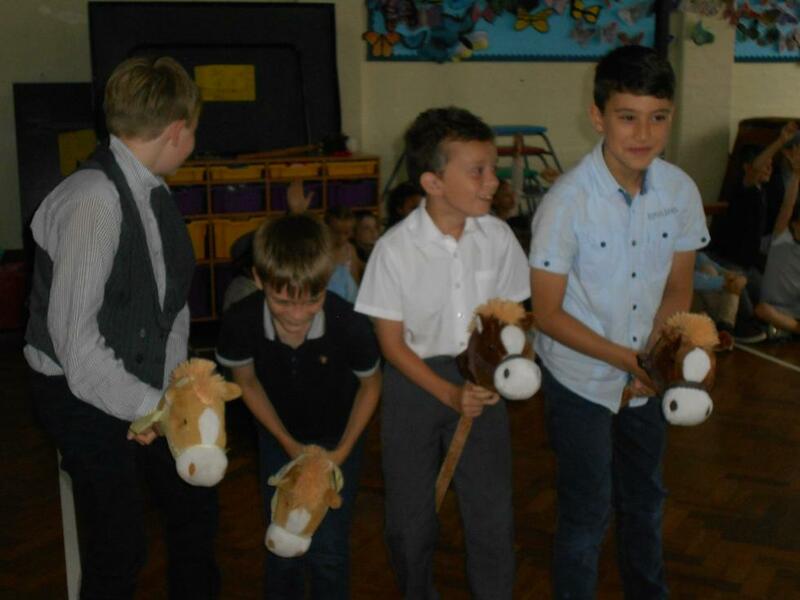 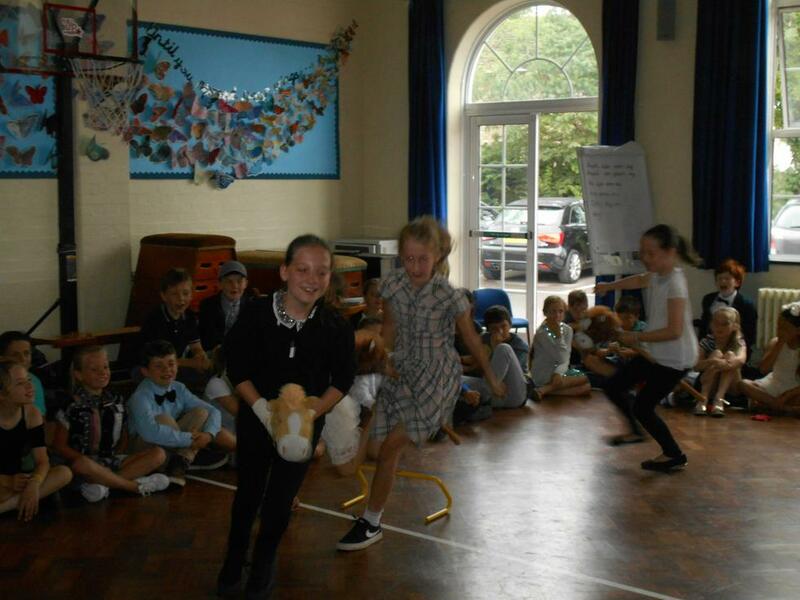 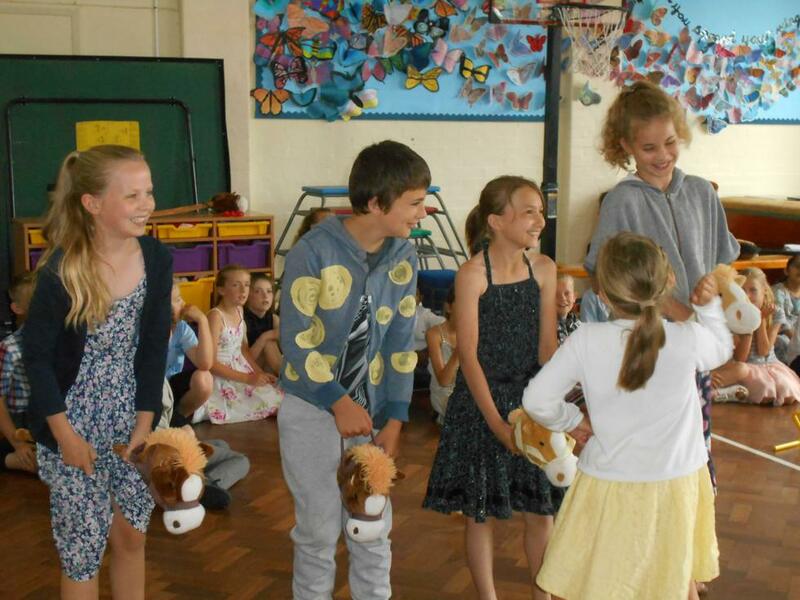 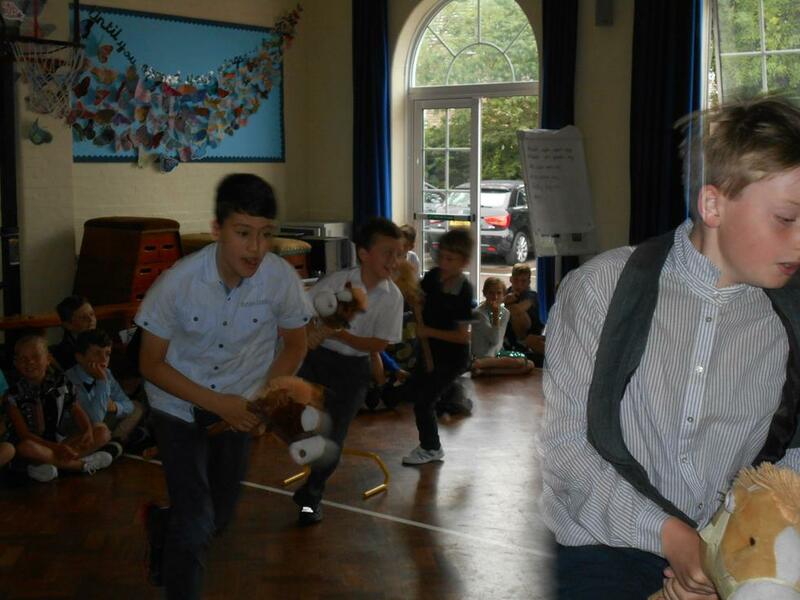 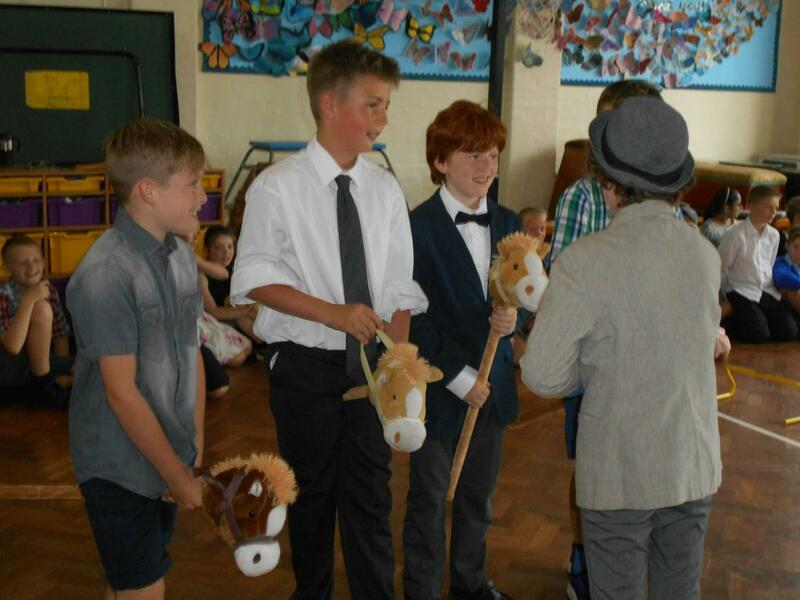 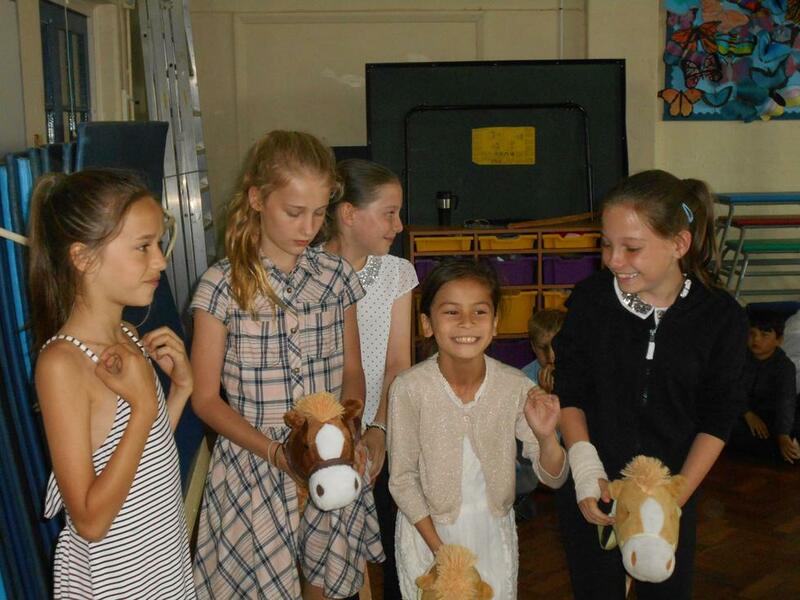 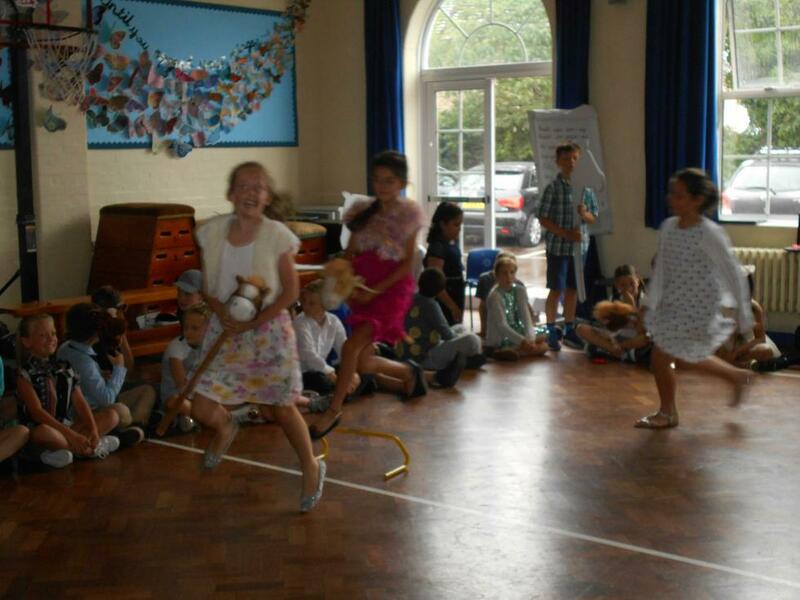 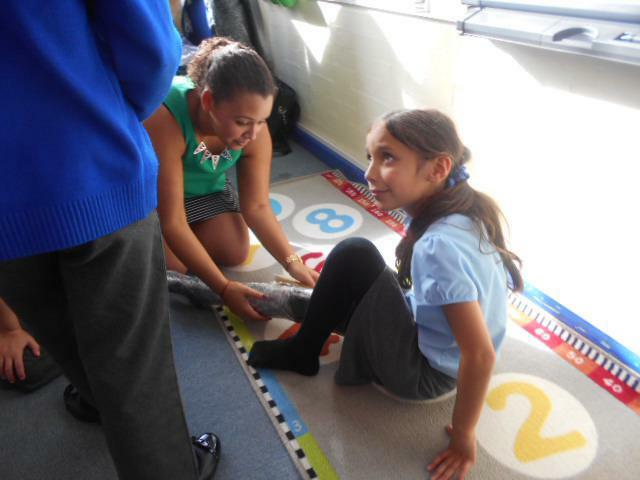 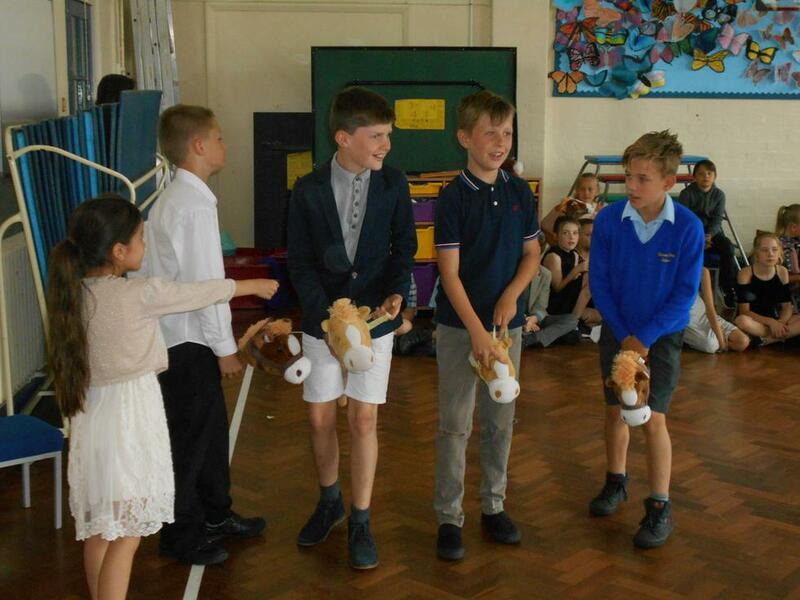 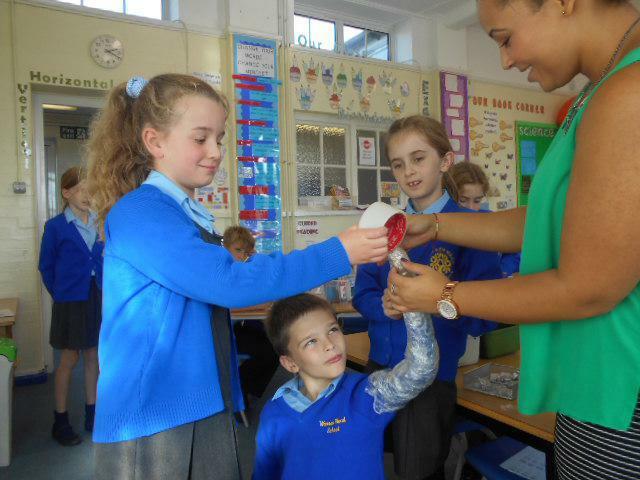 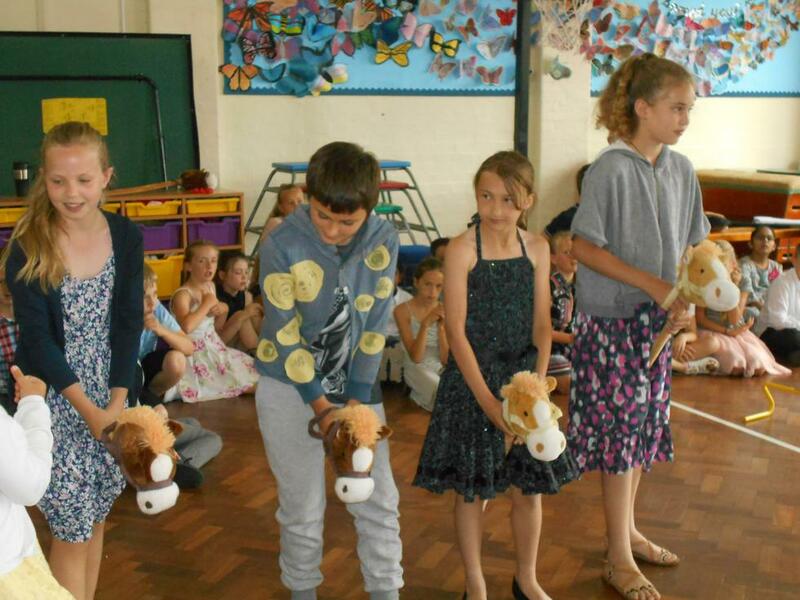 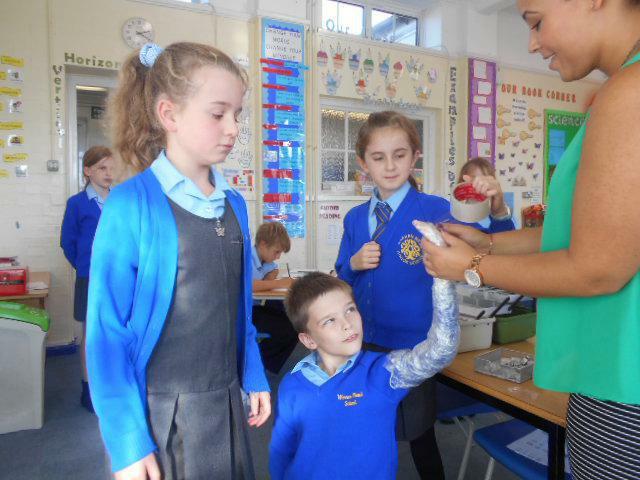 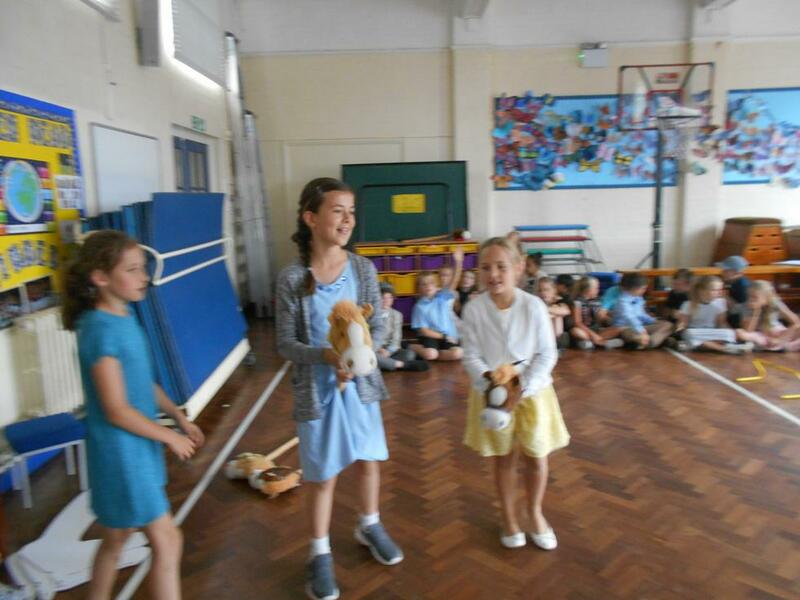 We've enjoyed getting involved with dressing up and playing the different people within the stories. 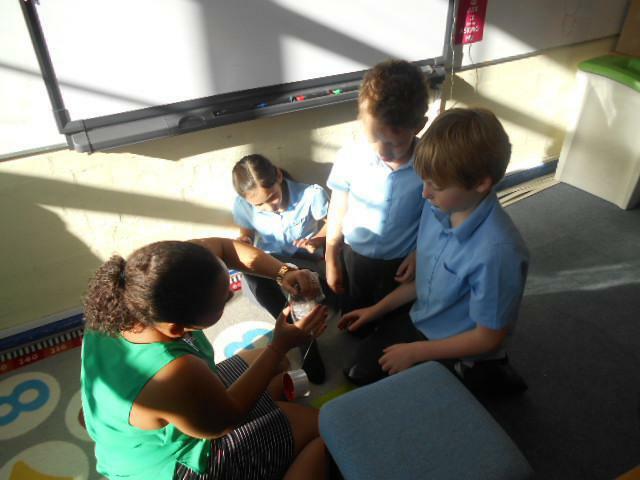 Cathy has made the stories come alive as we learnt new stories each week and how they connect to one another and our lives today. 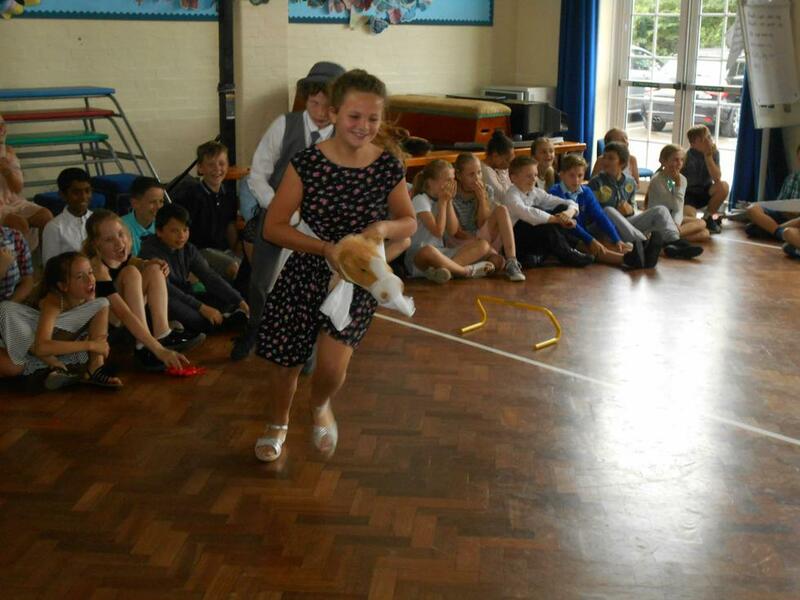 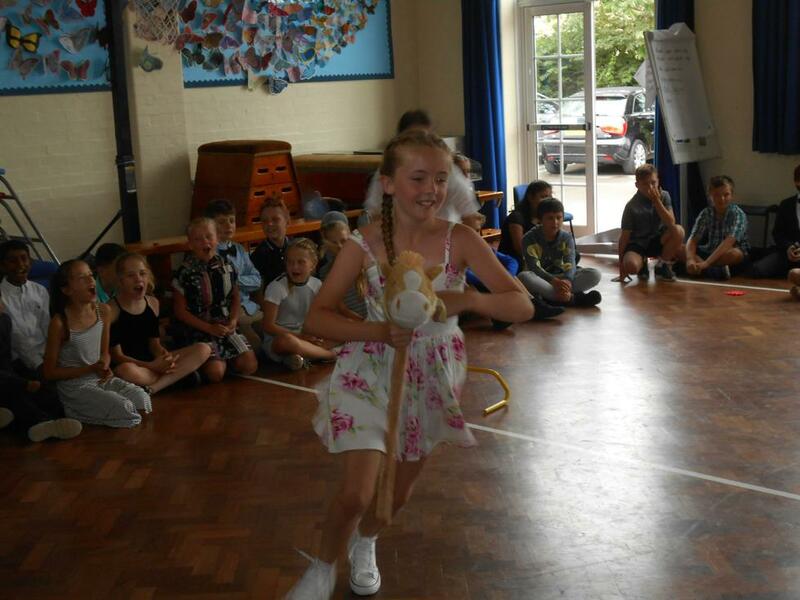 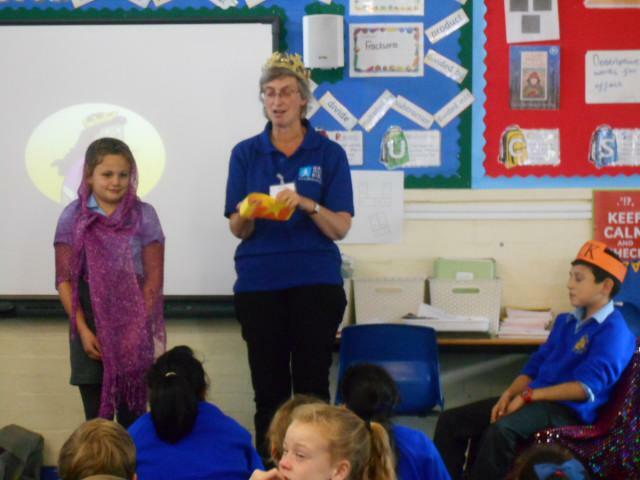 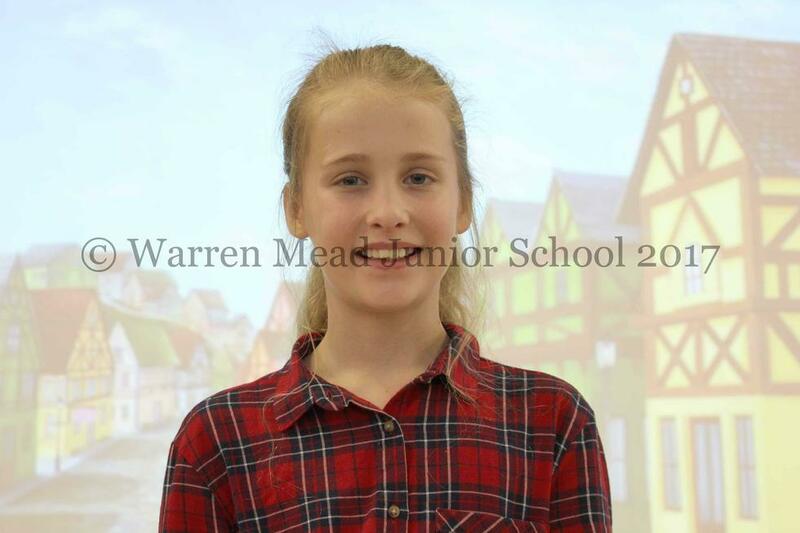 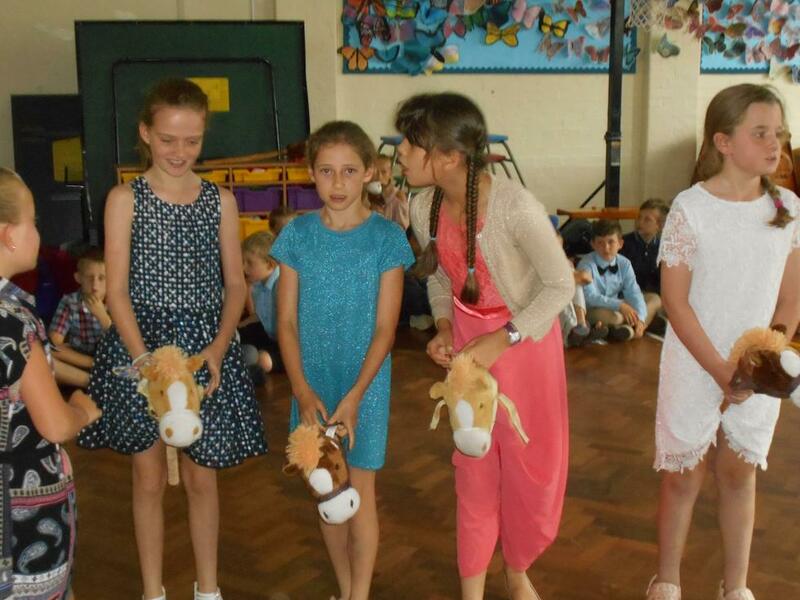 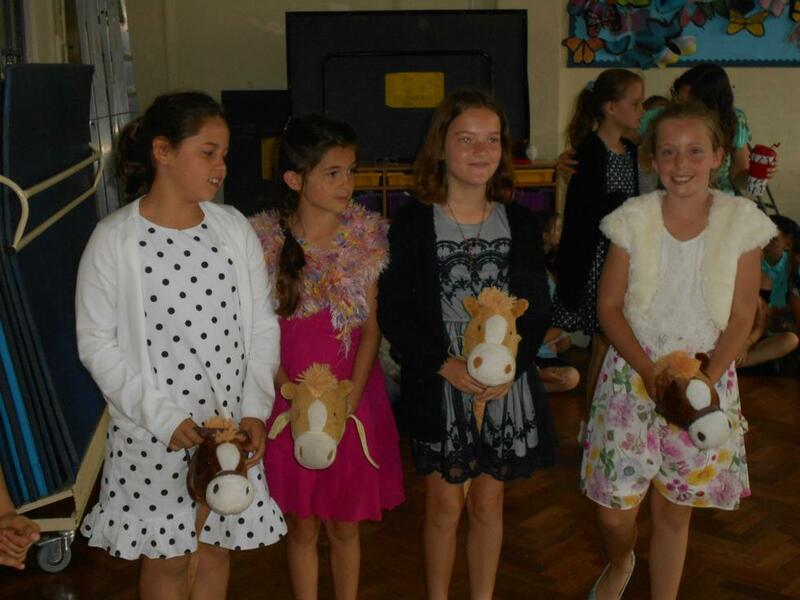 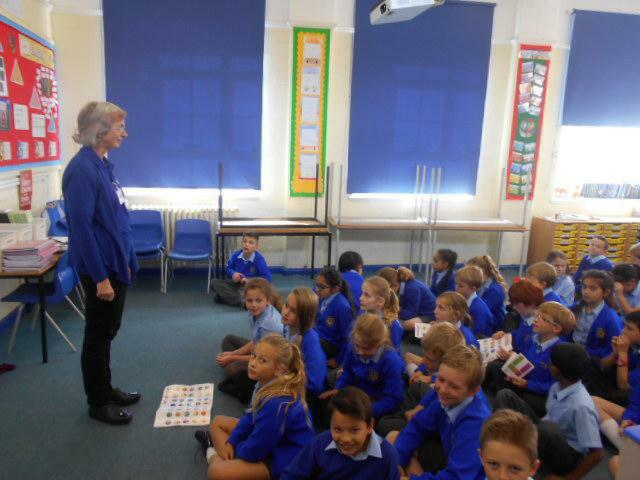 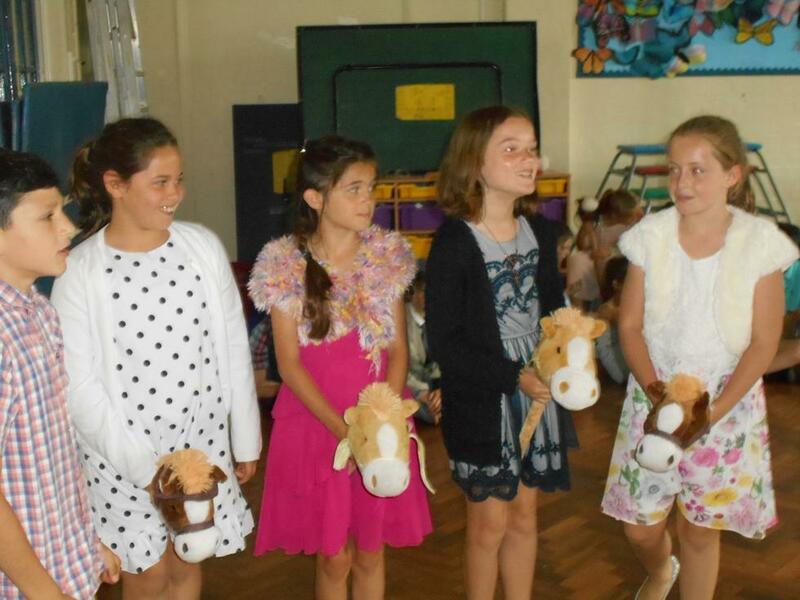 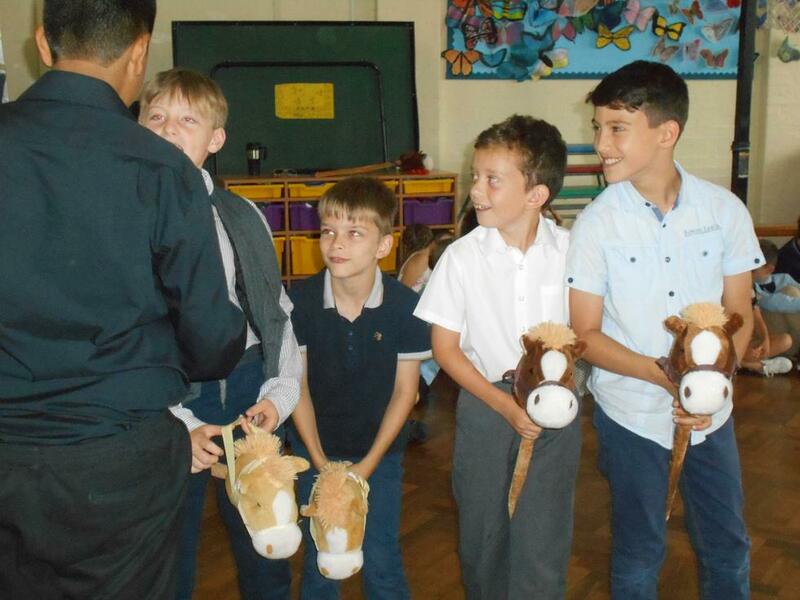 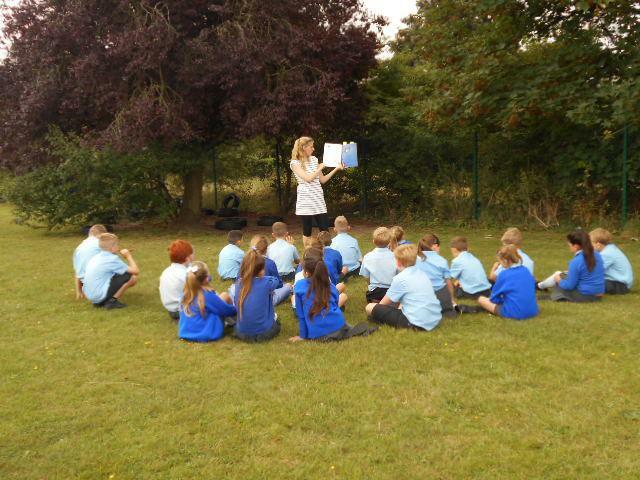 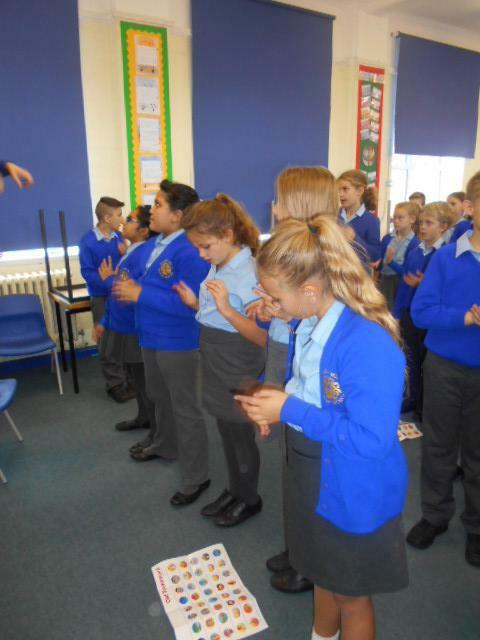 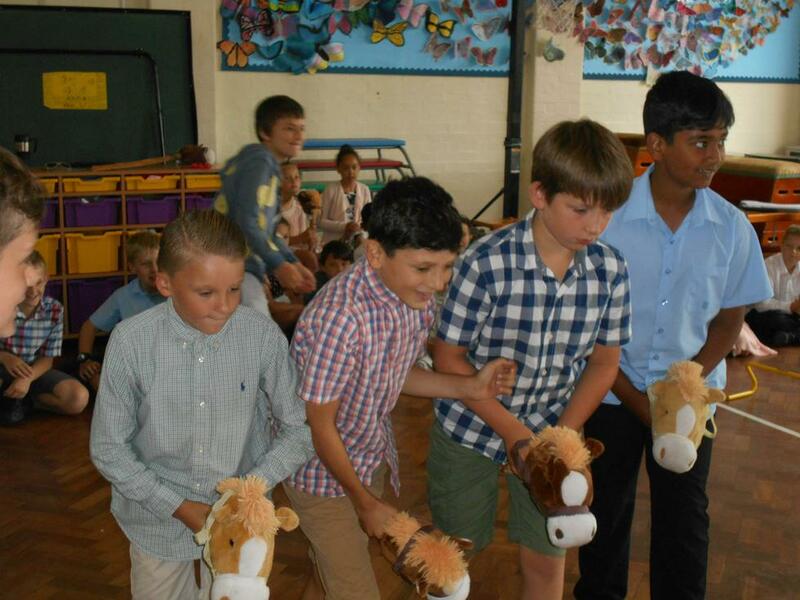 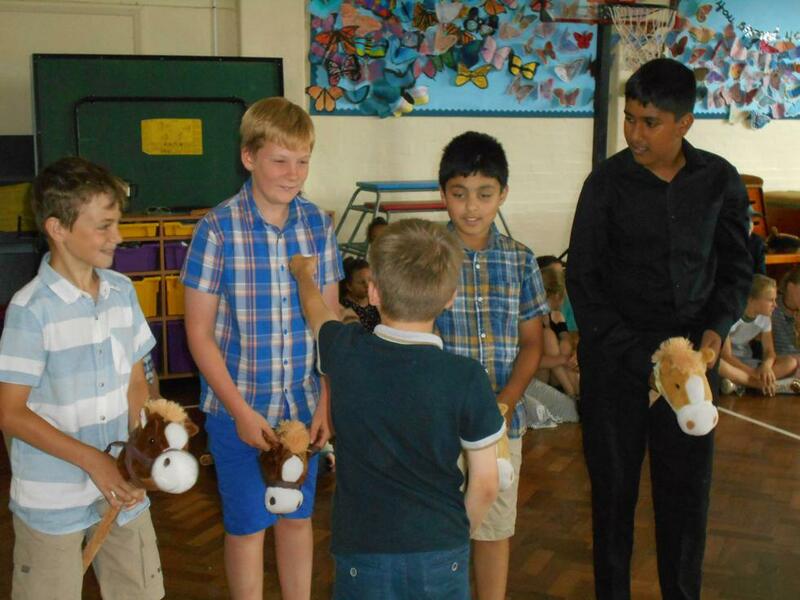 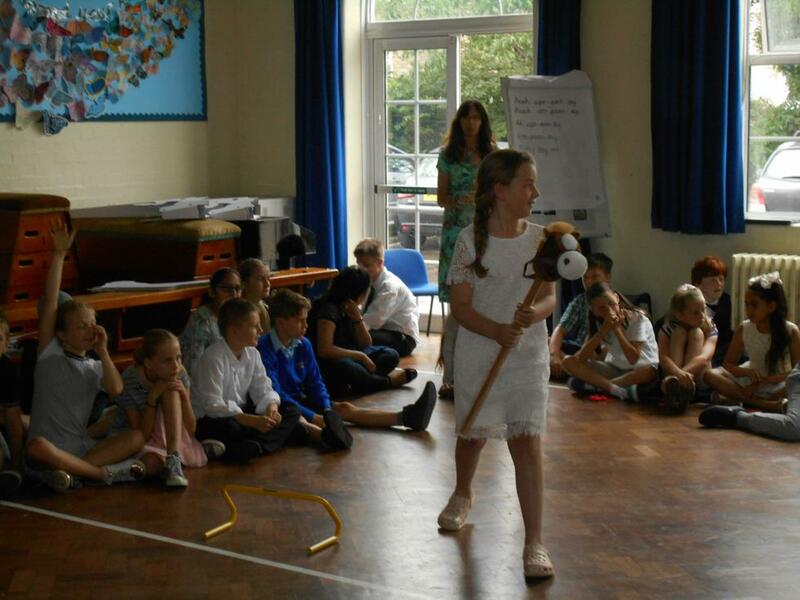 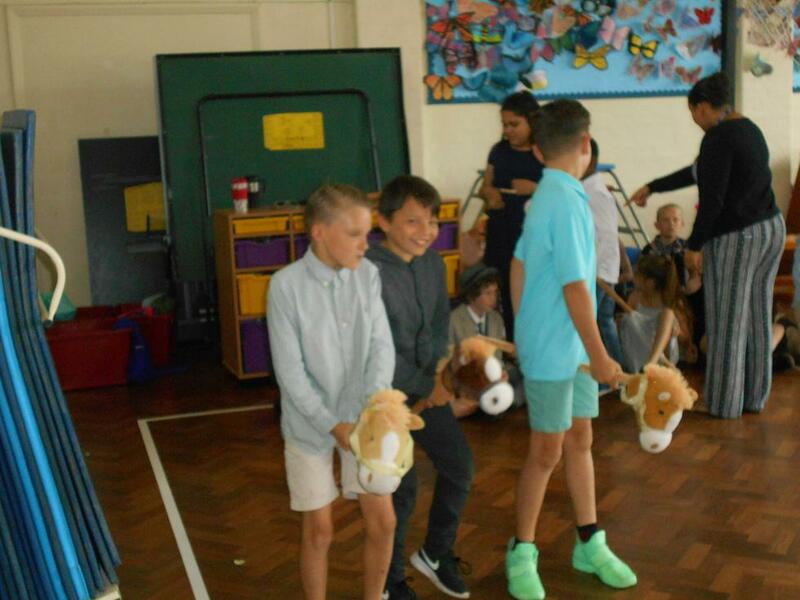 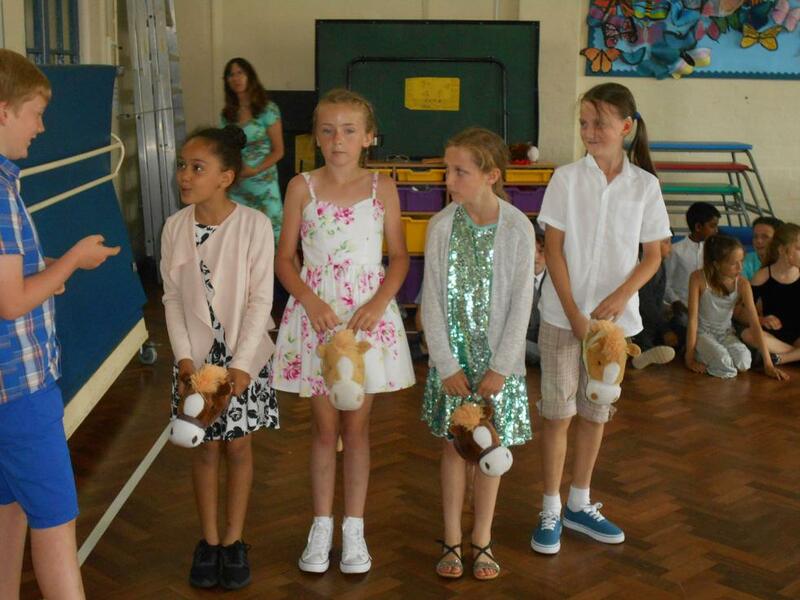 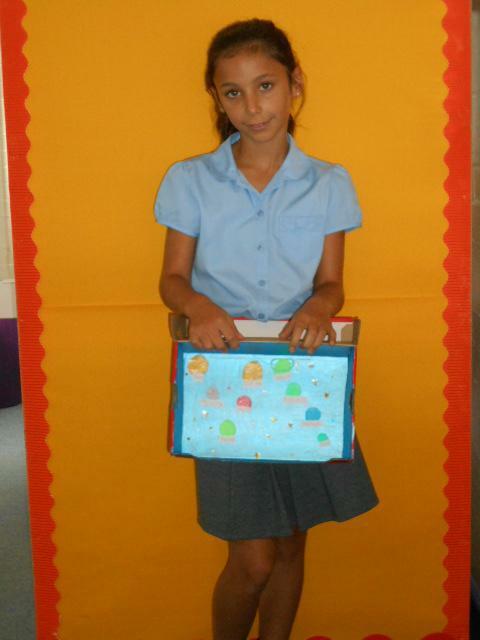 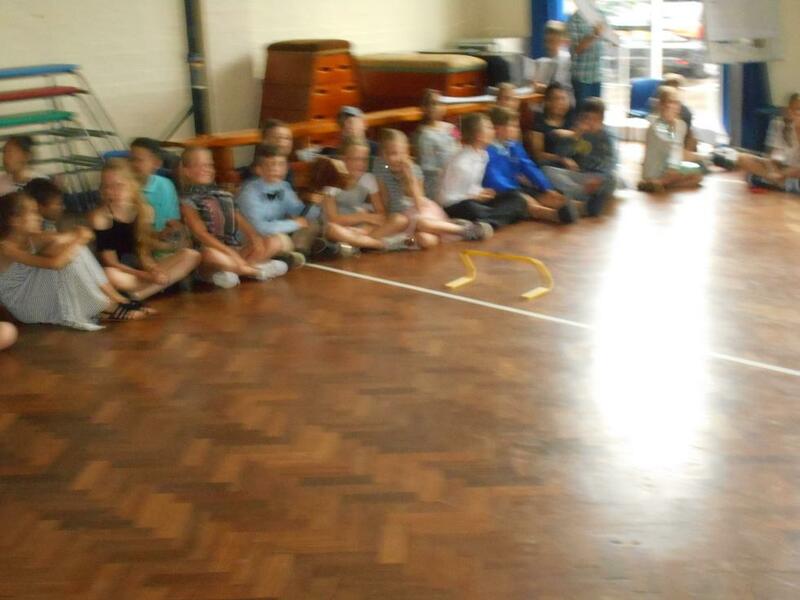 We would like to say a massive "Thank You" to Cathy for dedicating her time to Year 5. 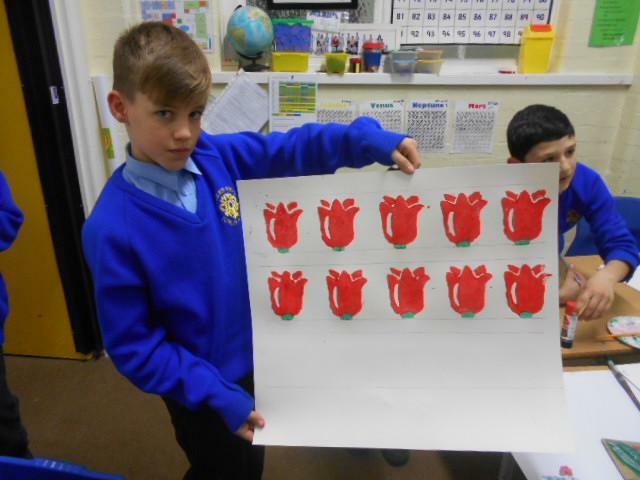 Can you remember all 40 actions? 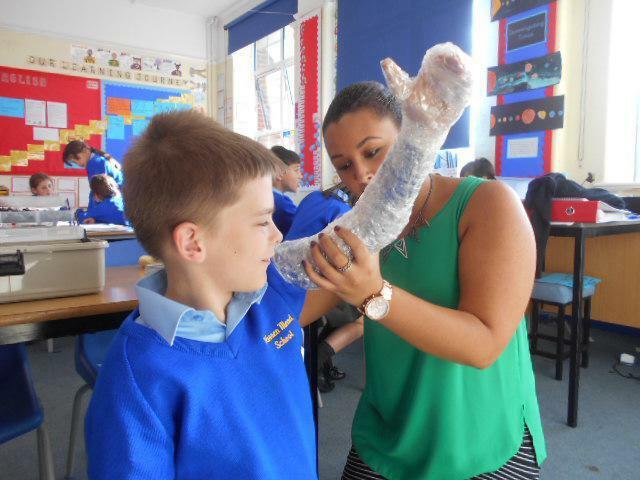 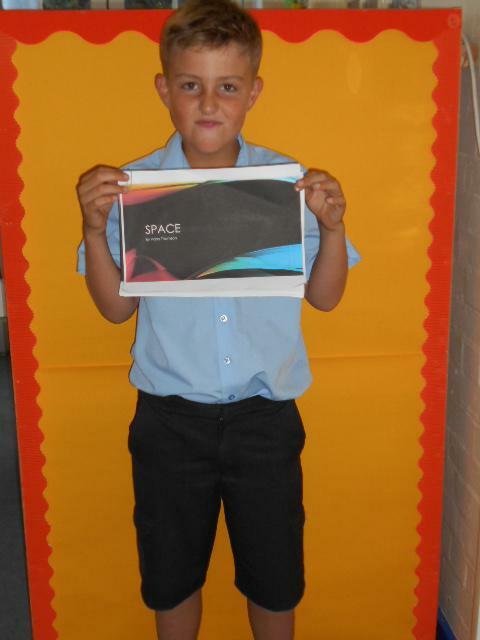 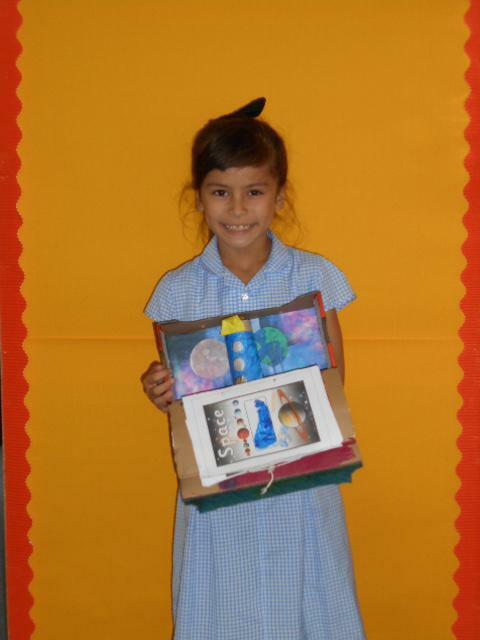 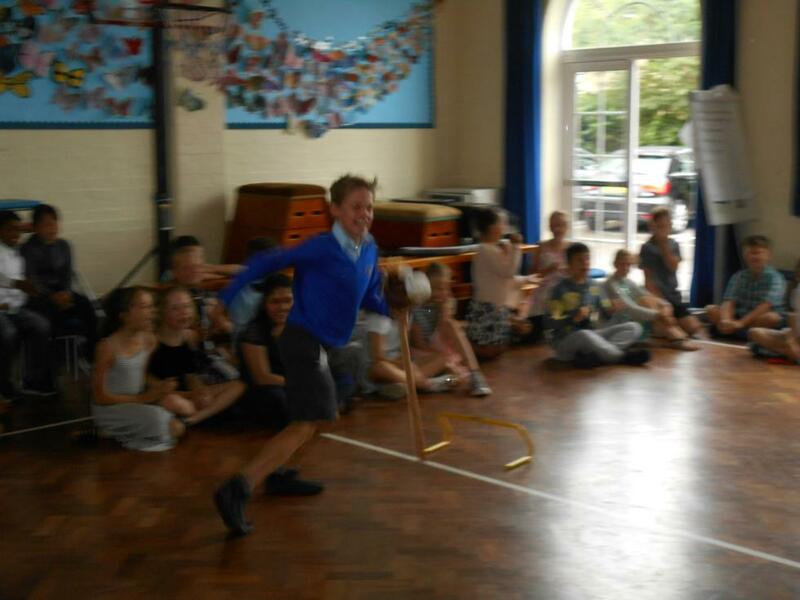 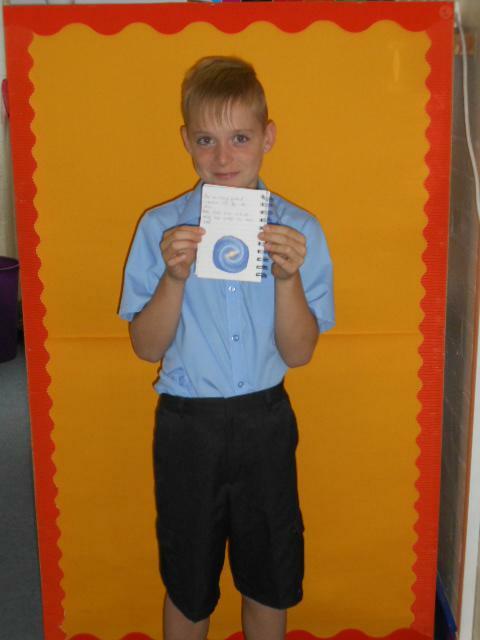 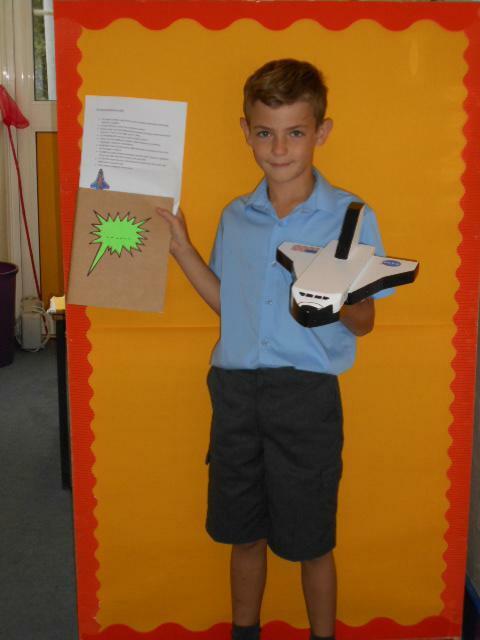 What a wonderful start back for our "Space Explorer" Year 5s! 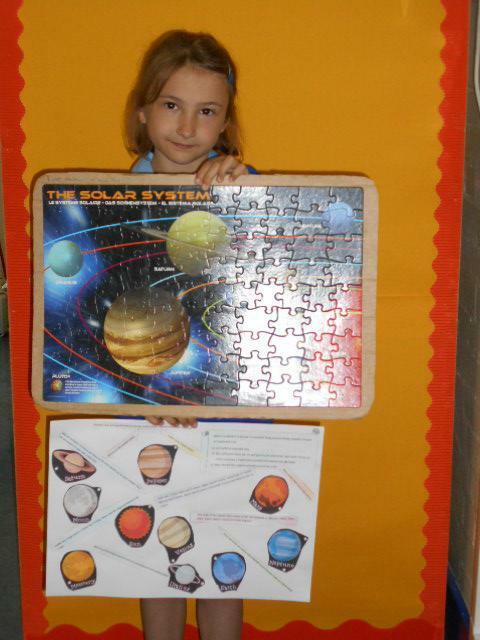 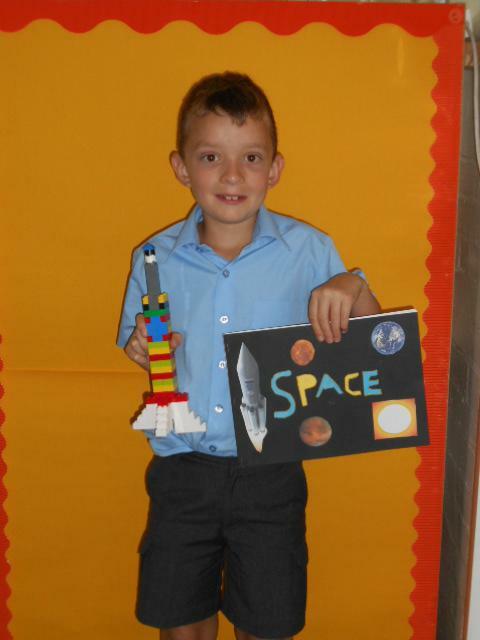 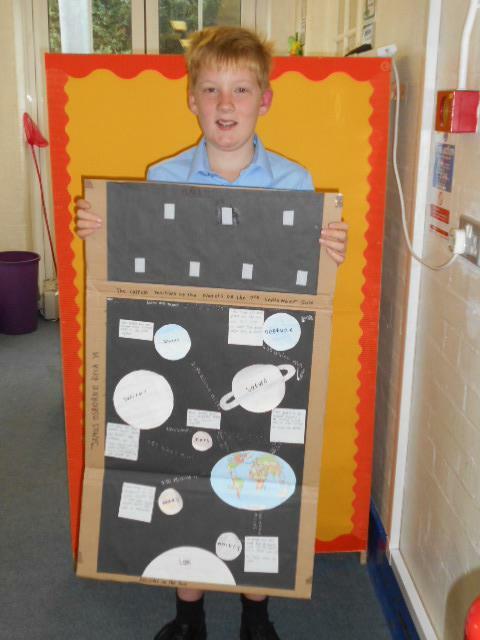 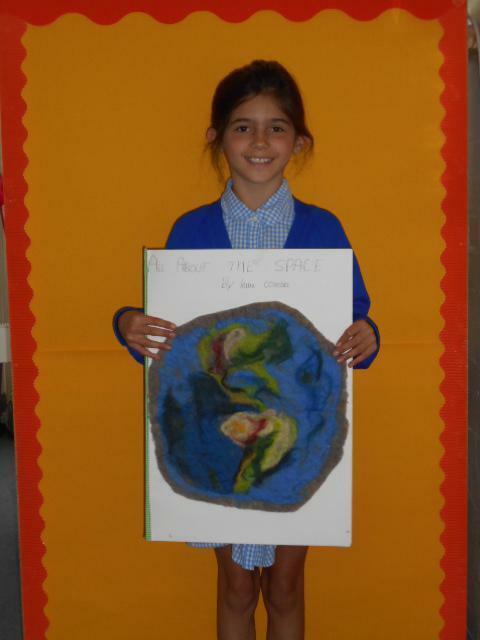 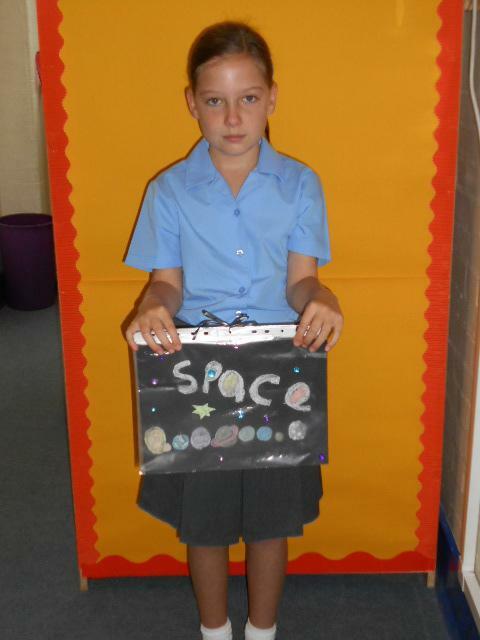 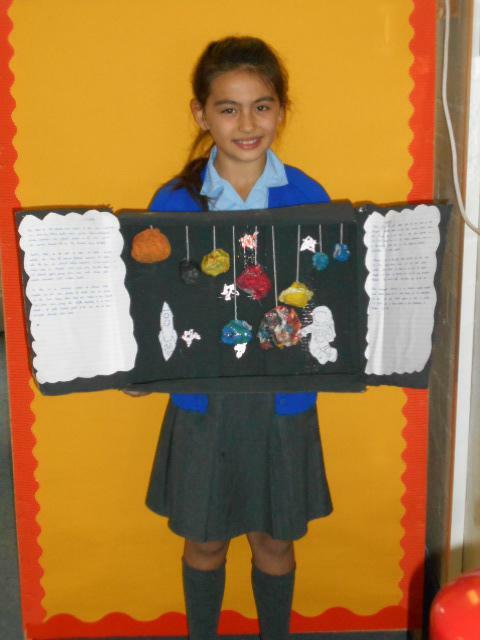 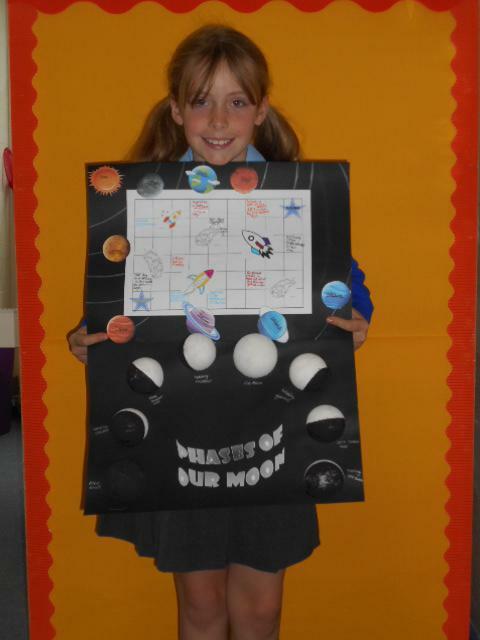 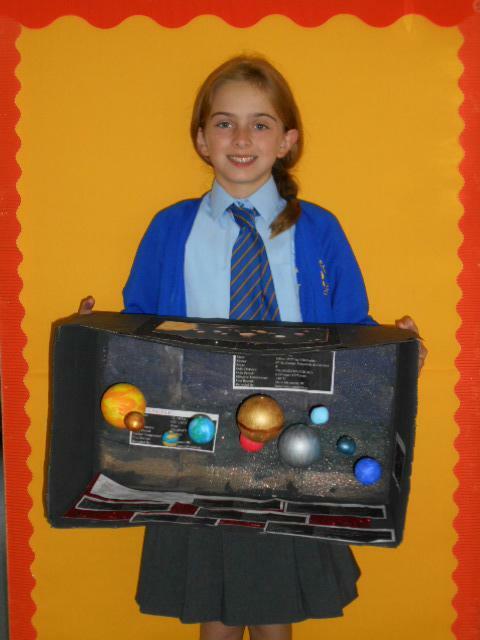 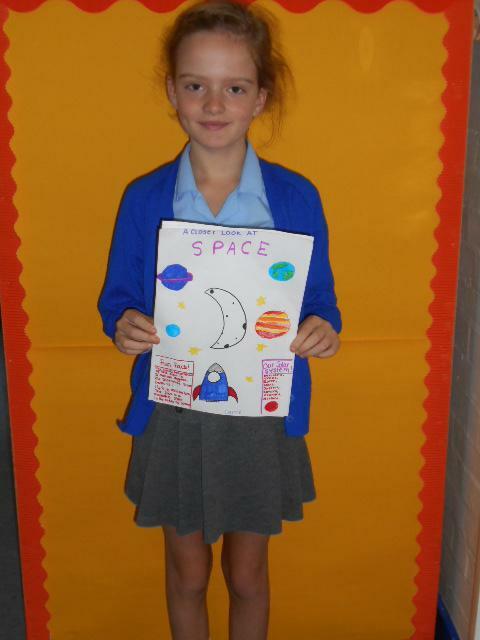 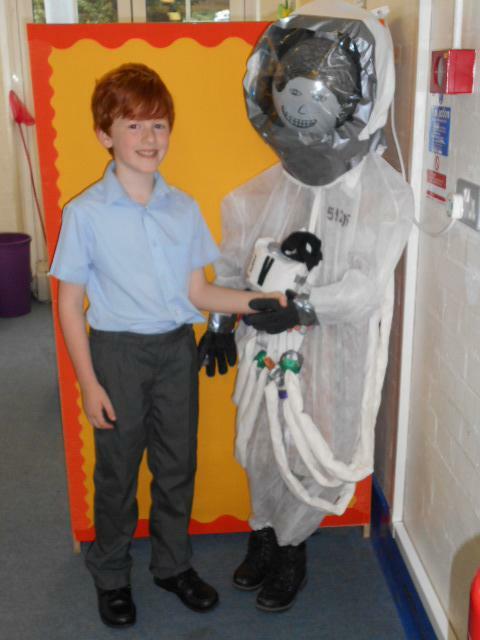 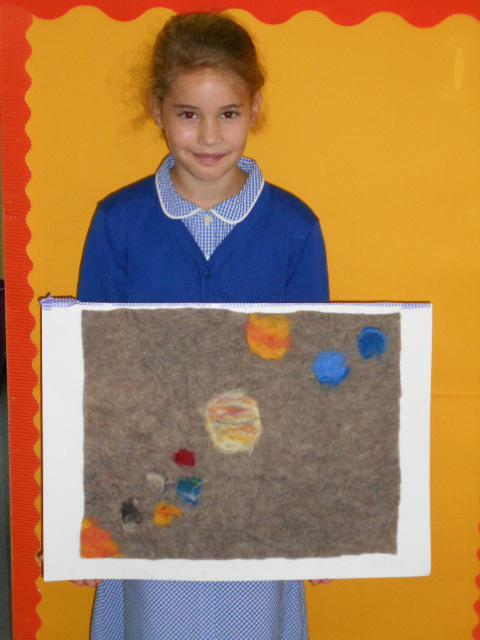 We've had some wonderful Space projects presented to our new classes. 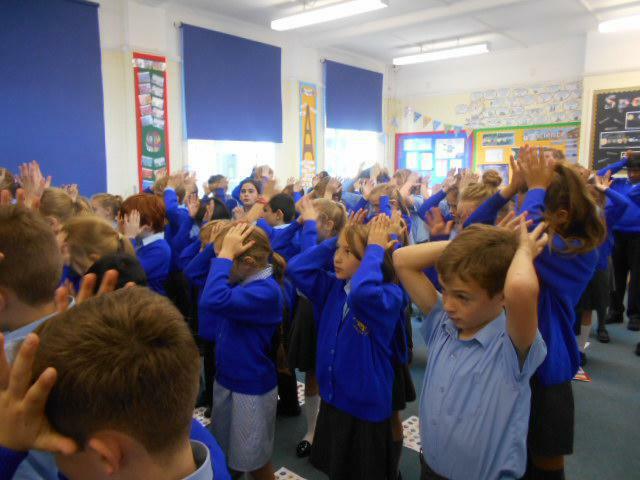 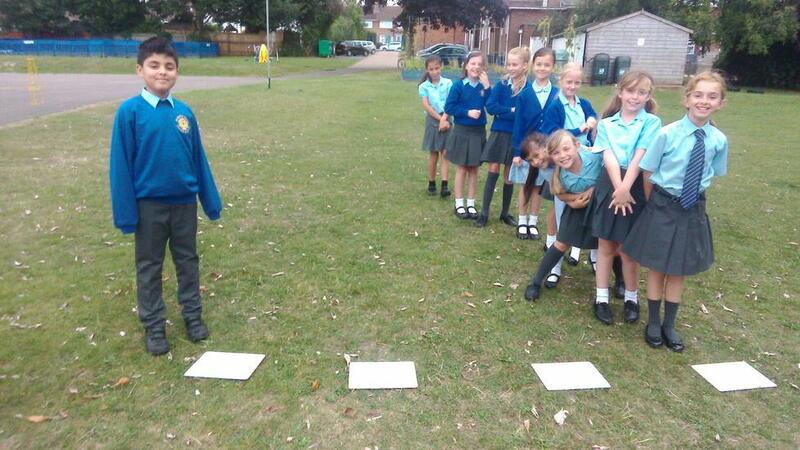 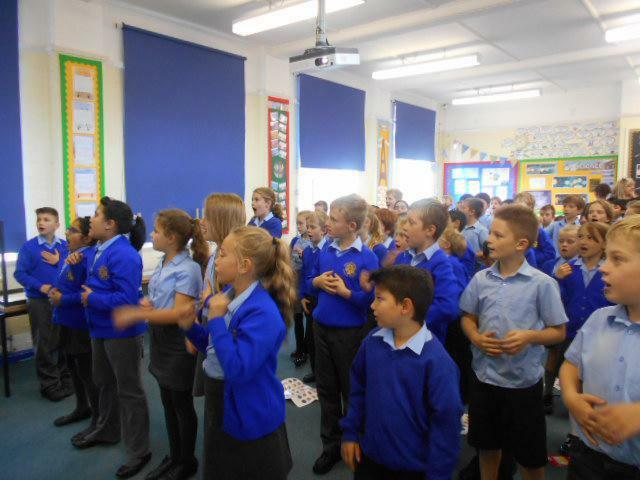 a great way to kick-start our new topic. 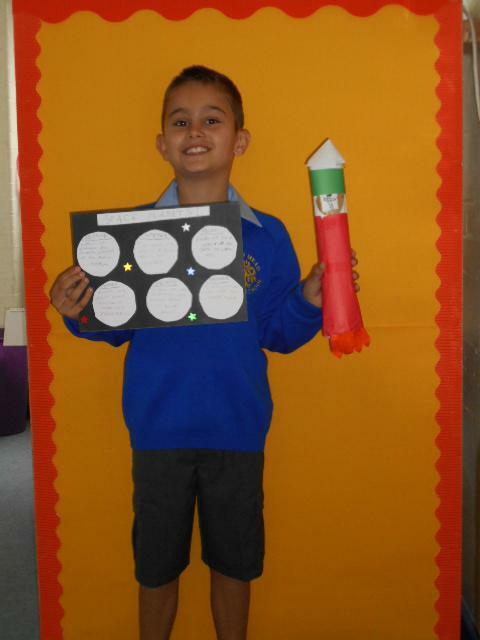 So many wonderful pictures, models, facts and even a life-size astronaut! 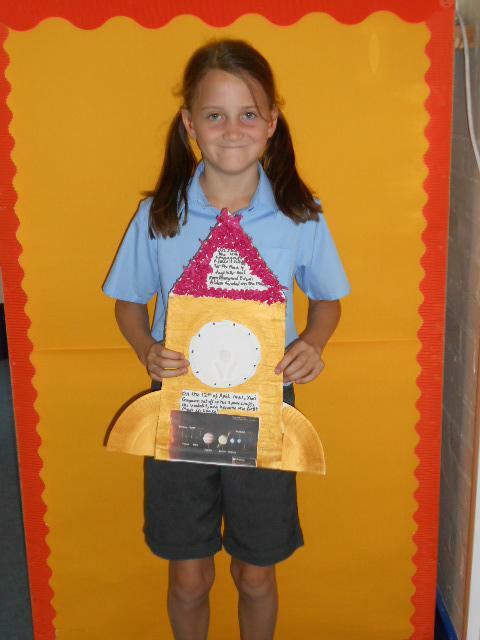 We've started reading the book for our new school corridor display "The Lost Happy Endings" by Carol Anne Duffy. 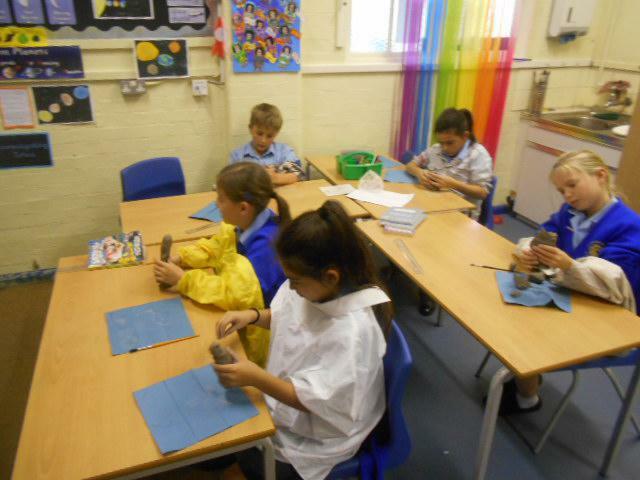 Watch this space for some fantastic writing and artwork. 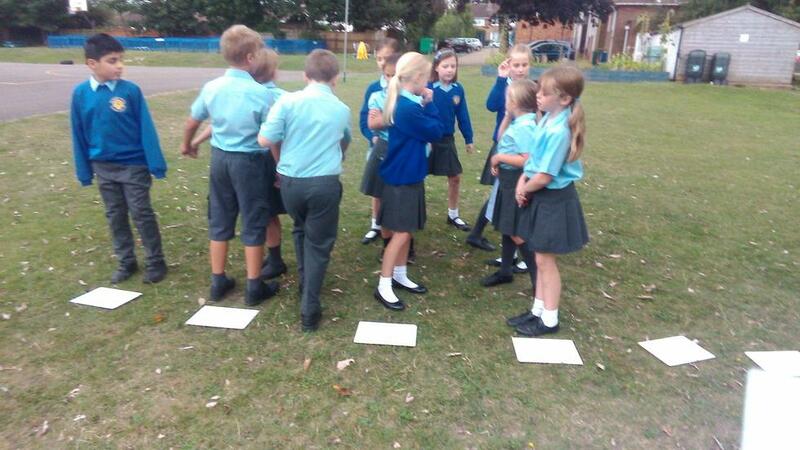 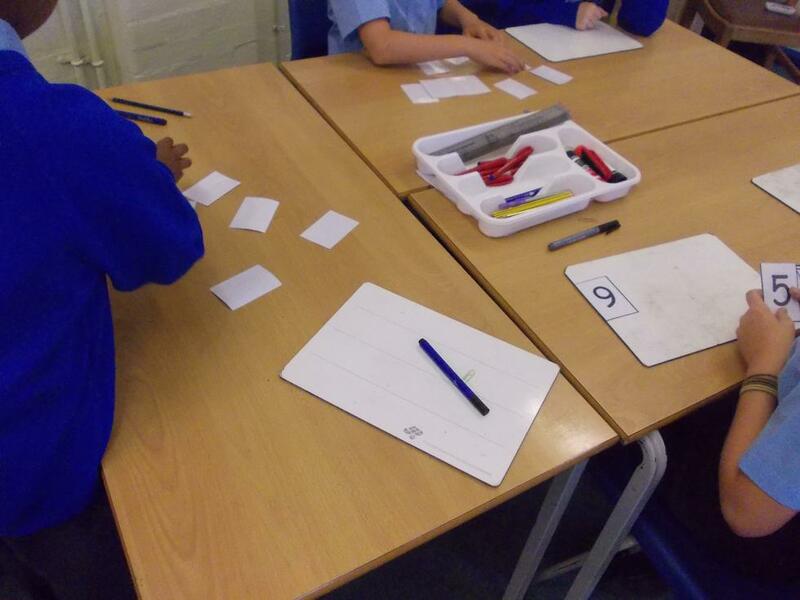 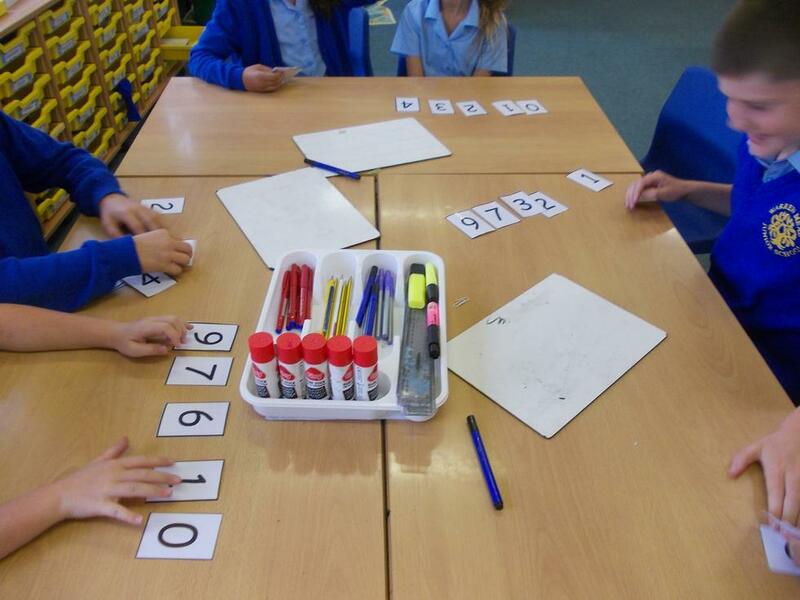 Maths has been an active investigation of place value and converting digits to words and words to digits. 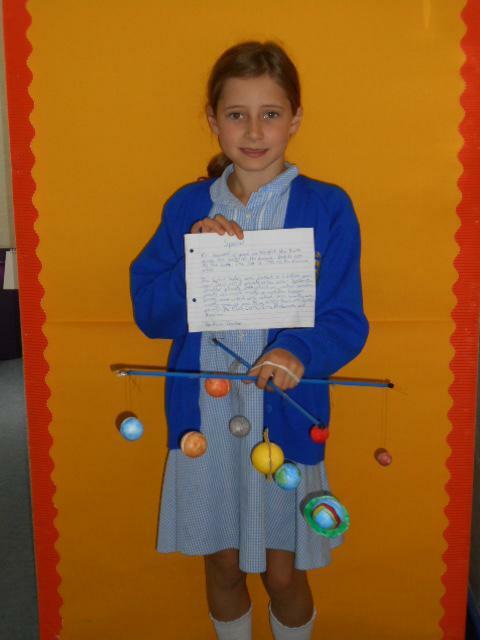 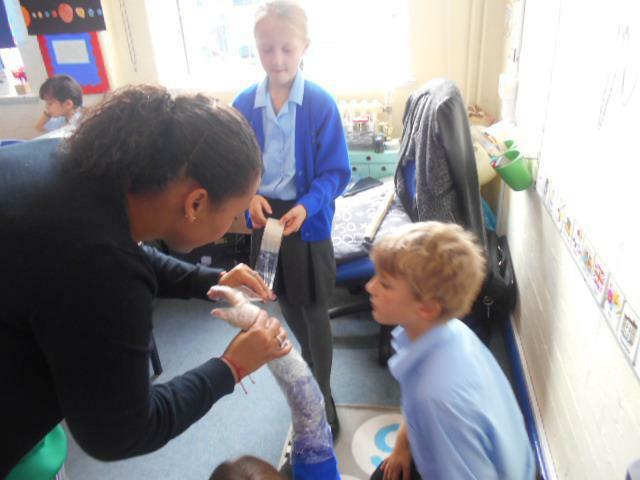 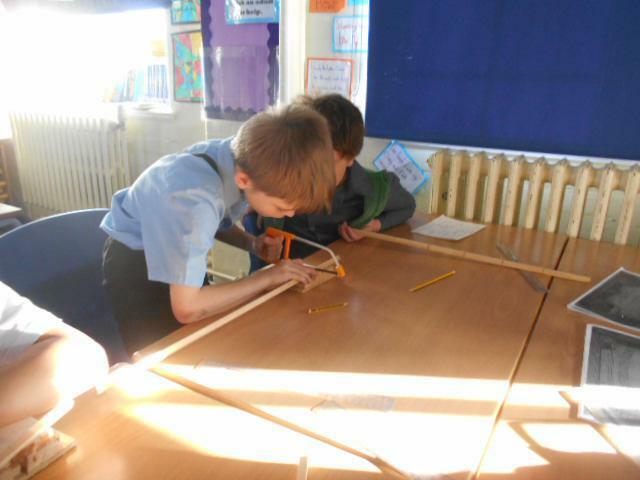 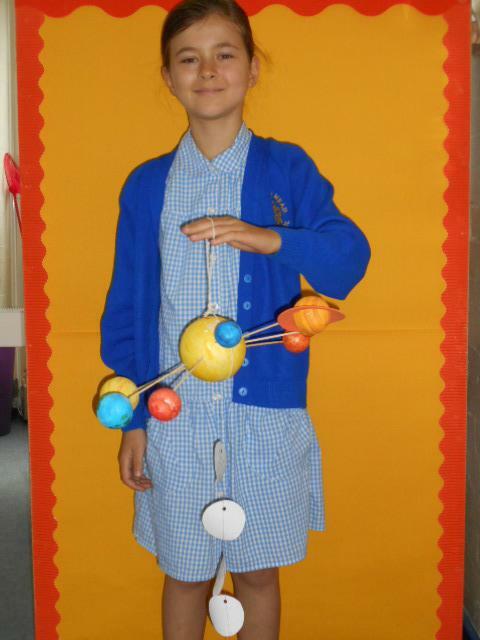 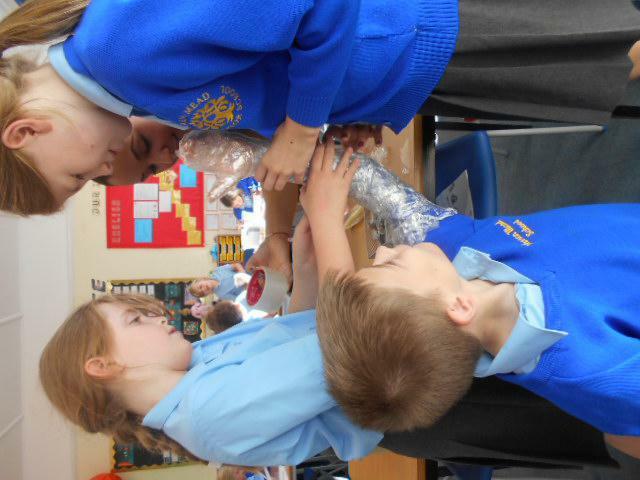 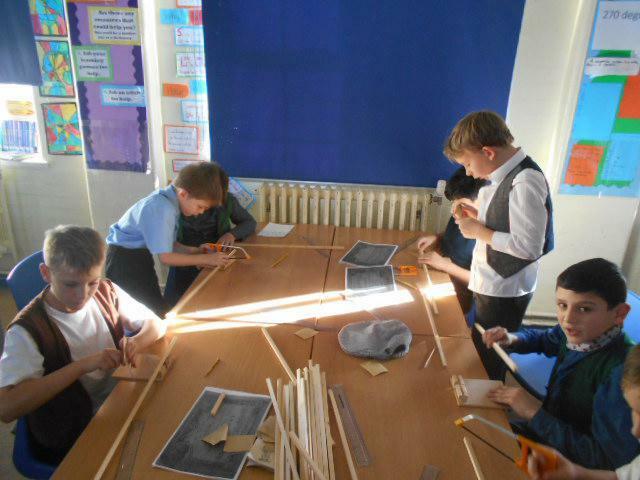 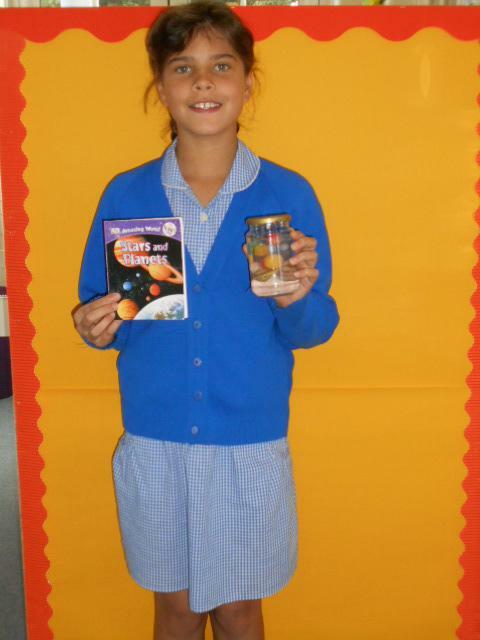 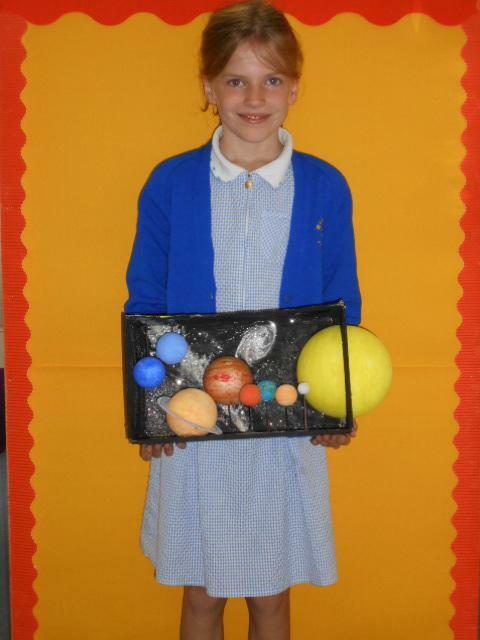 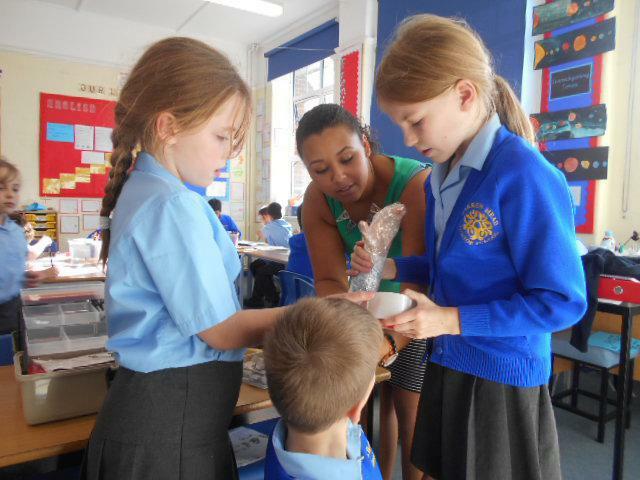 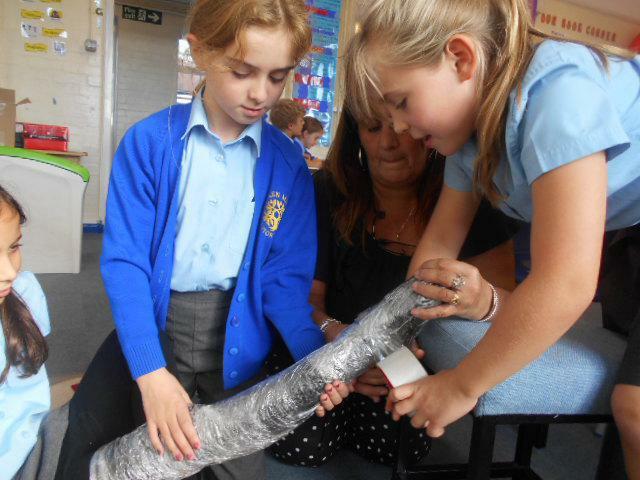 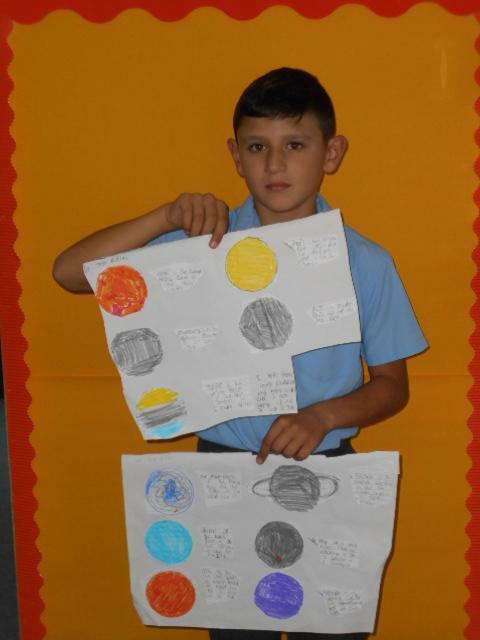 We're looking forward to getting stuck into our Space topic and learning all there is to know about our universe. 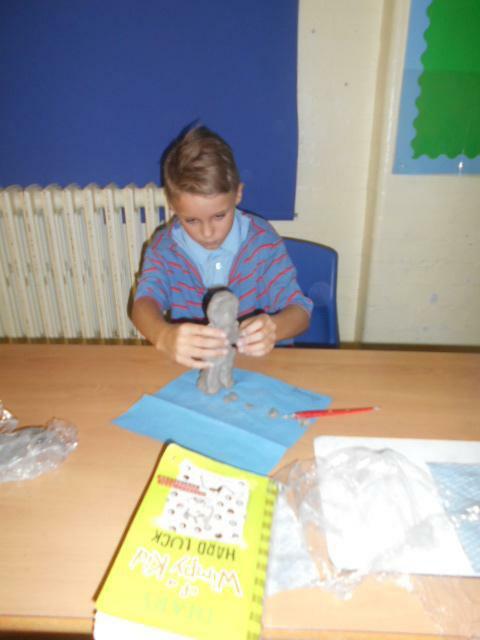 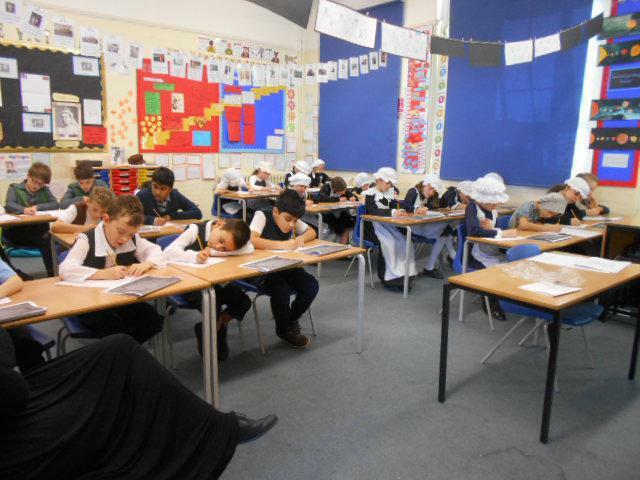 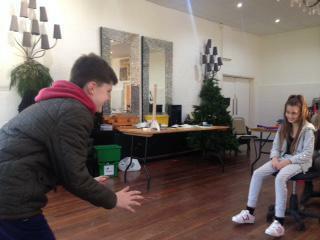 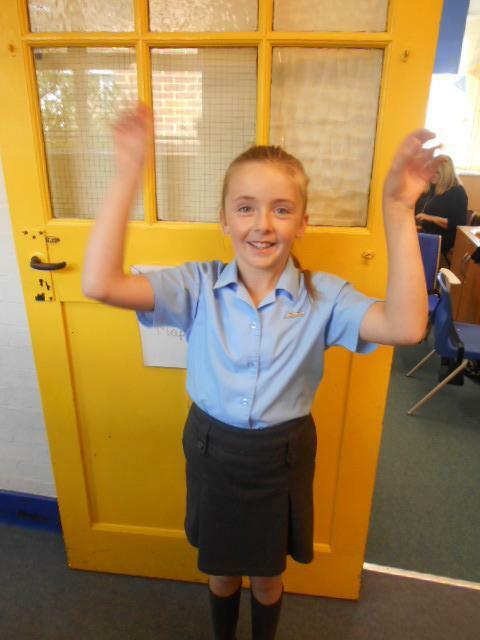 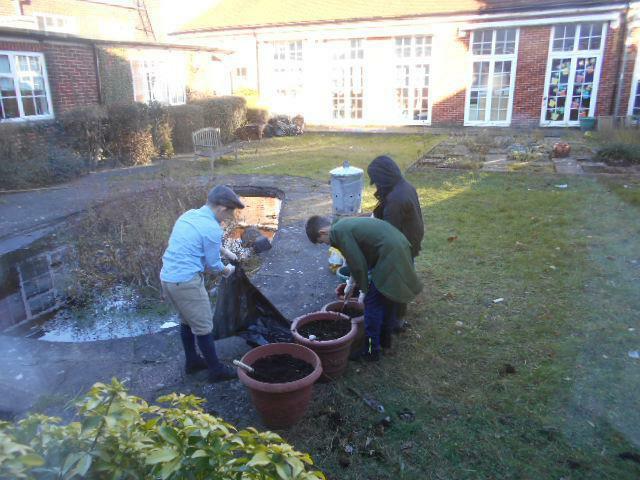 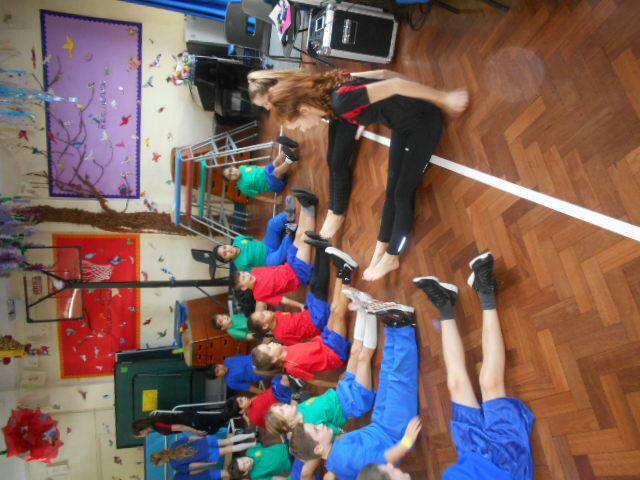 Below are some pictures of our first week back!